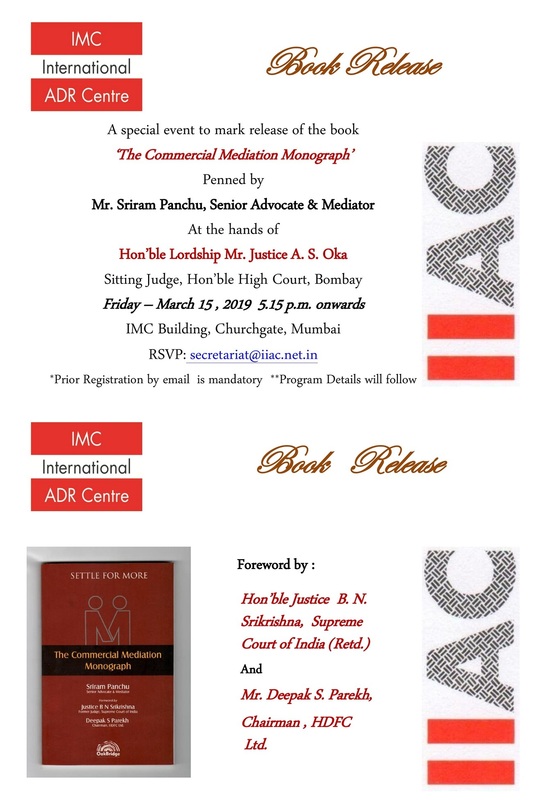 The Mediation & Conciliation Committee of the IMC Chamber of Commerce and Industry is pleased to announce the 13th Interactive Session of its Study Circle series, on “Preparing for Mediation”. 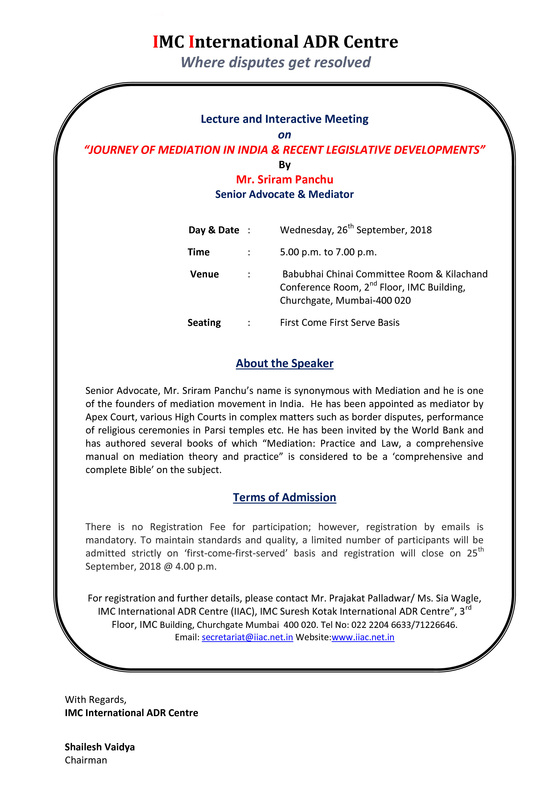 This interactive Session will cover a complete perspective of what a party or lawyer, entering a mediation room, should take care of a priori so as to be prepared for the mediation. 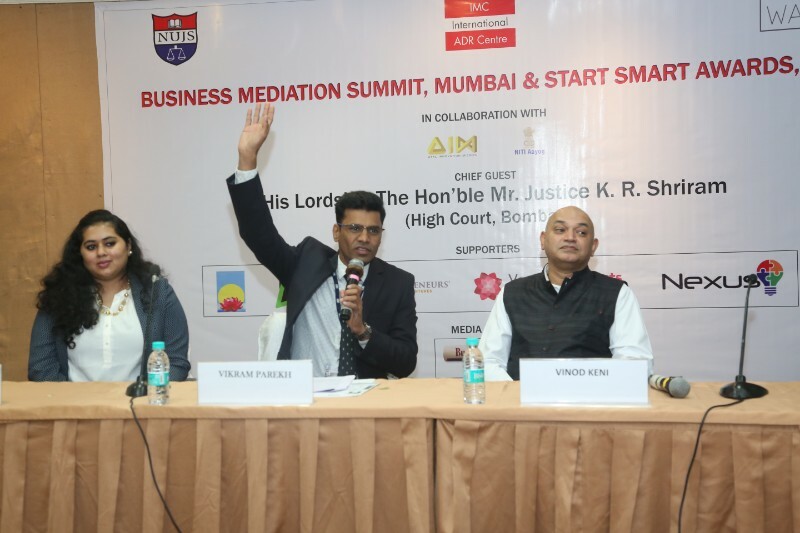 This session will be particularly useful for in-house lawyers, business owners, managers involved in managing business disputes, parties and their representatives who intend or expect to appear before a mediator. 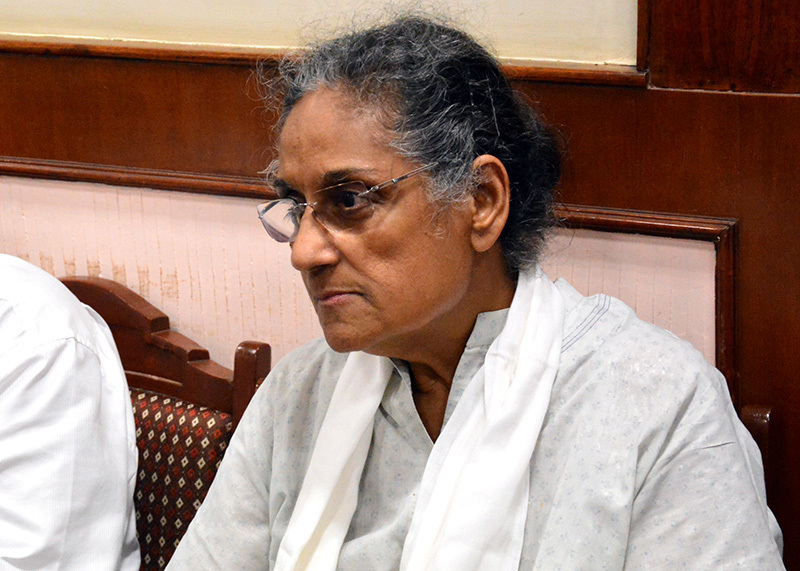 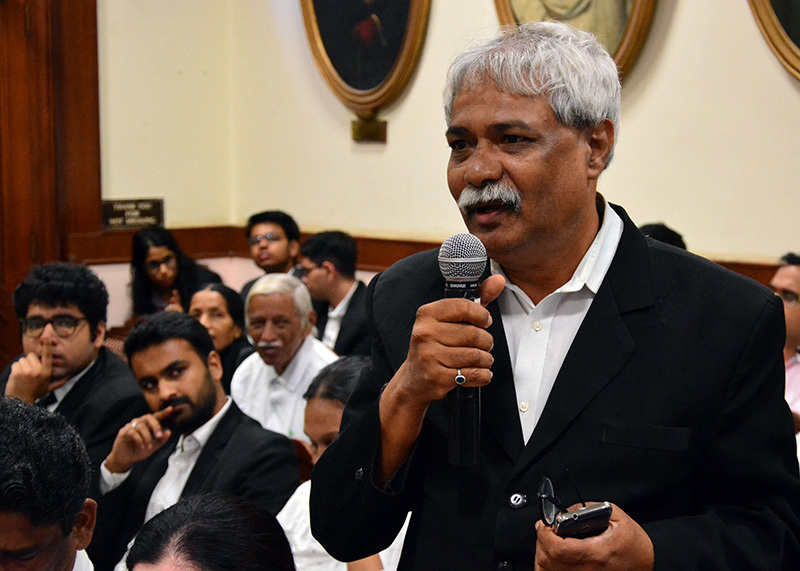 Time : 05:15 p.m. to 07:30 p.m.
Gandha Sahu is a lawyer with a background in litigation, family and corporate law. 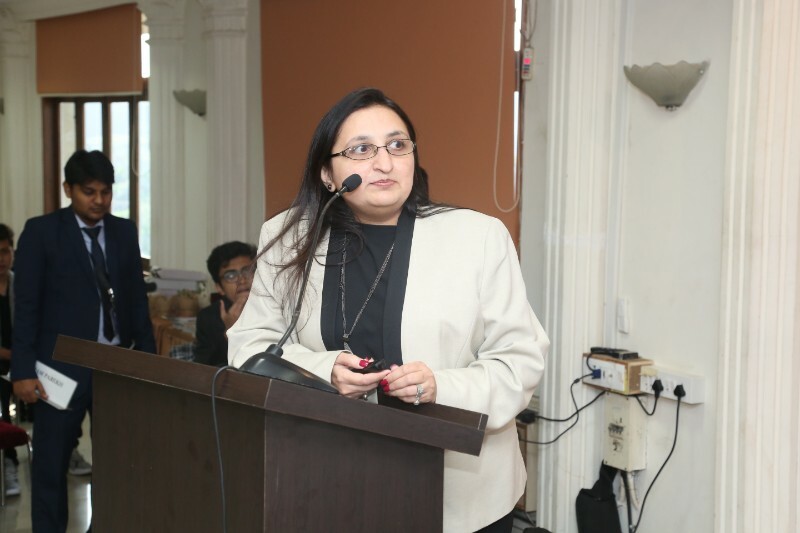 She has an experience of over 15years out of which over a decade has been as an in-house counsel. 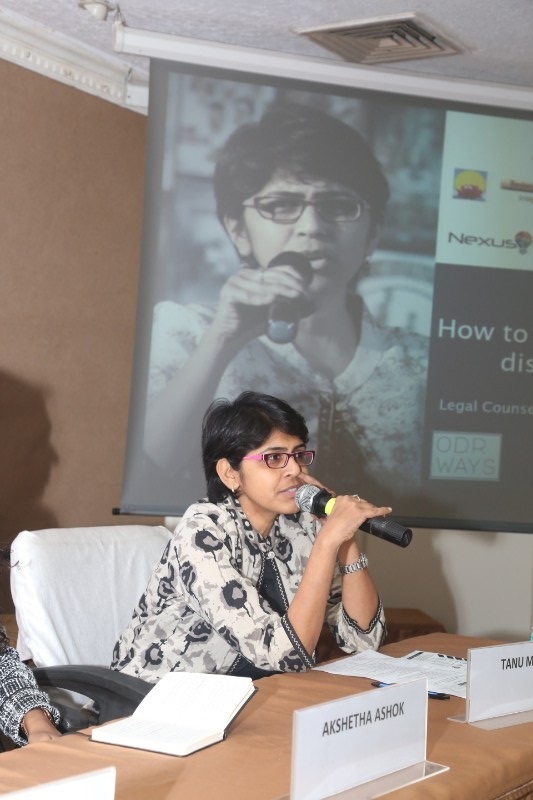 In her role as an In-house counsel, Gandha has focused on commercial contract negotiations both domestic as well as cross-border. 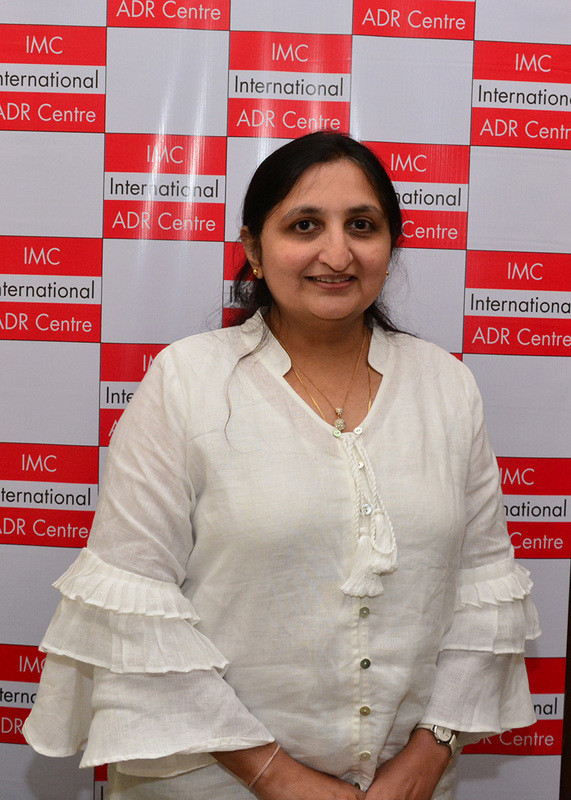 Her ADR experience includes mediation advocacy in international institutional mediations under the LCIA (London), and managing high-value commercial arbitrations under the AAA (New York), ICC (Paris) and LCIA (London). 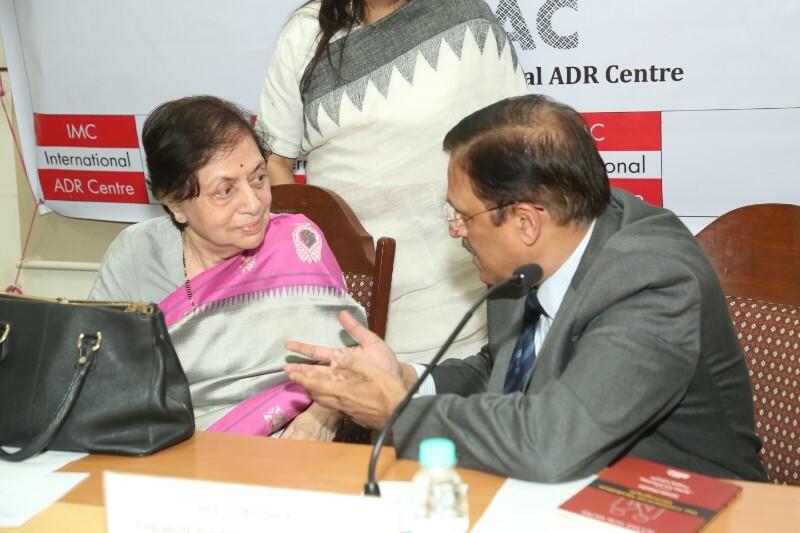 She has also managed ad-hoc domestic arbitrations. 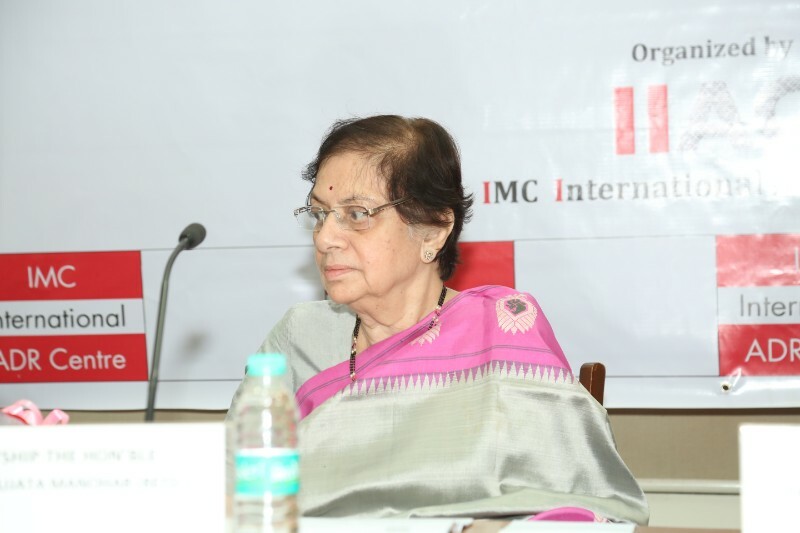 Apart from her practice as a full-time neutral, Gandha currently devotes a substantial amount of time to the social sector in the field of conflict resolution and gender equality. 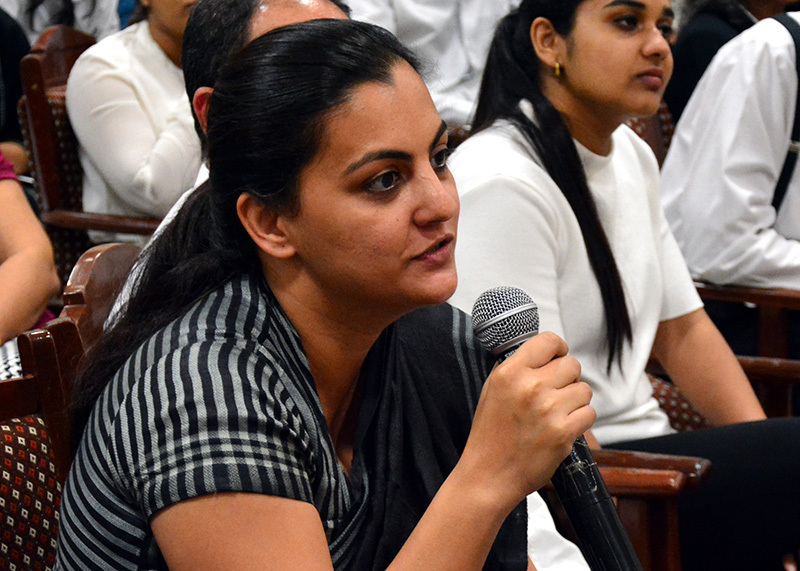 As a neutral, she prefers non-adversarial dispute resolution mechanisms and enjoys exploring the dynamic potential of facilitated dialogue in finding creative solutions. 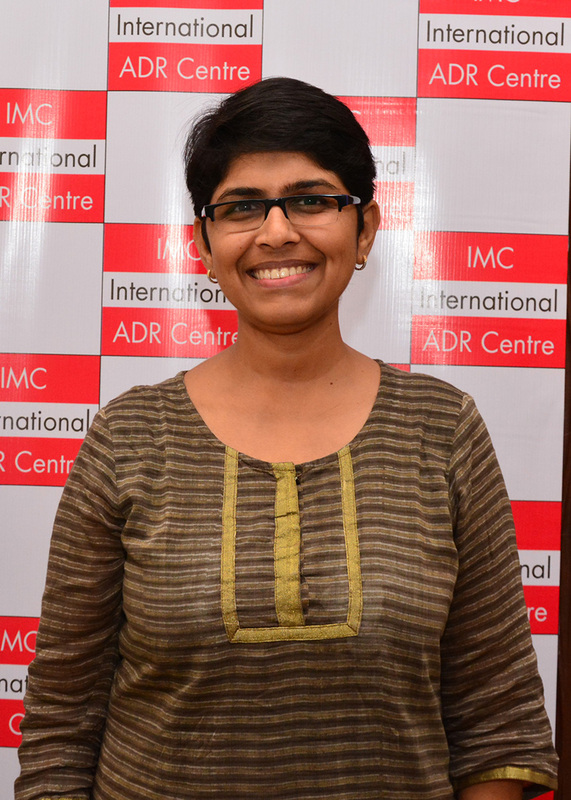 She has successfully mediated commercial, property and family disputes. 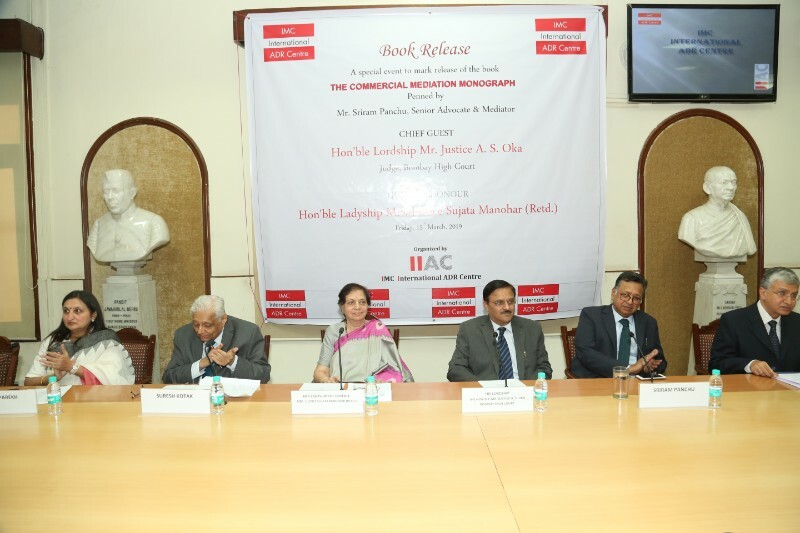 The enclosed Registration Form, duly filled and signed must be delivered to the Legal Department, IMC Chamber of Commerce and Industry along with payment of Registration fee in Cash or by Cheque (drawn in favour of “IMC Chamber of Commerce and Industry”) or by direct online bank transfer, at the earliest to avoid disappointment. 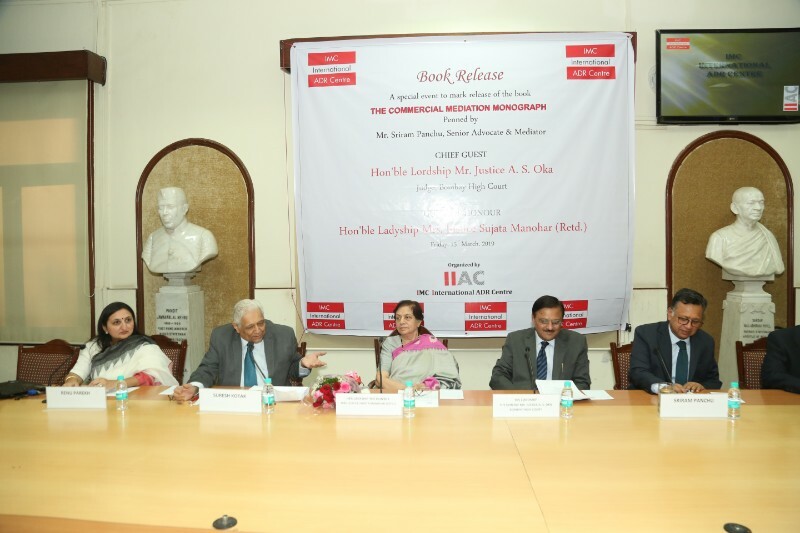 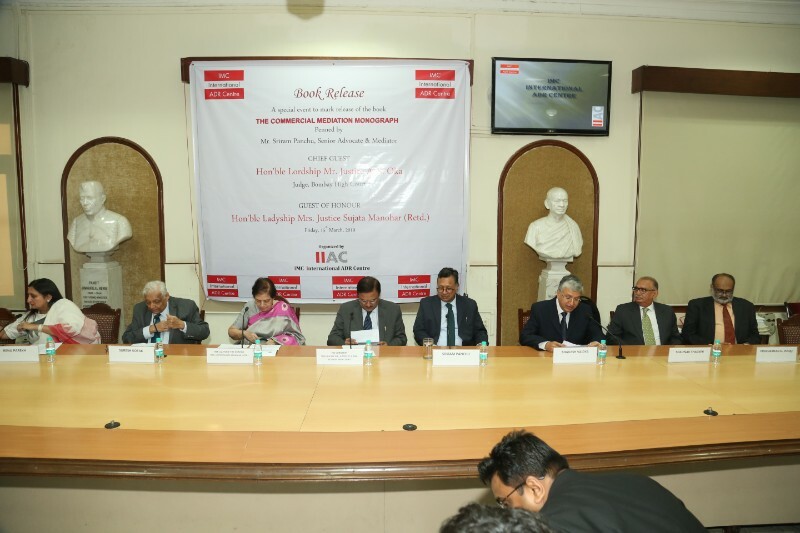 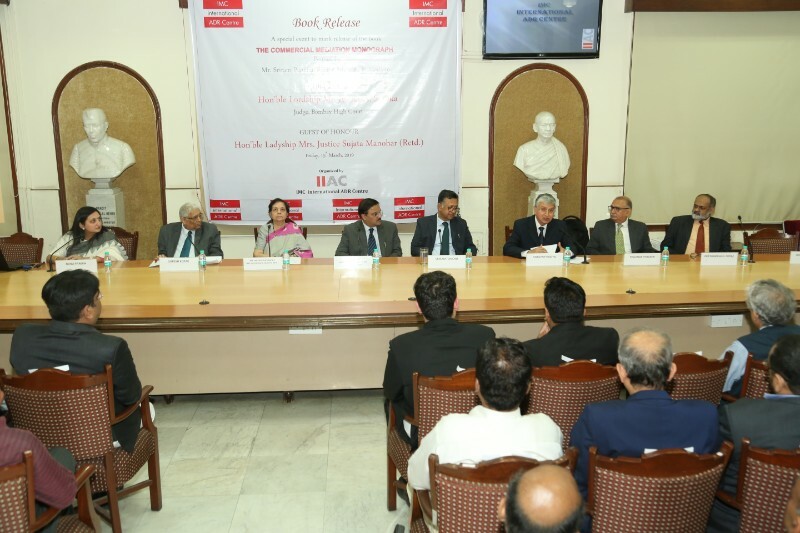 IIAC held a seminar on ‘Business Mediation Summit’ on Friday, December 14, 2018 under the aegis of India Mediation Week. 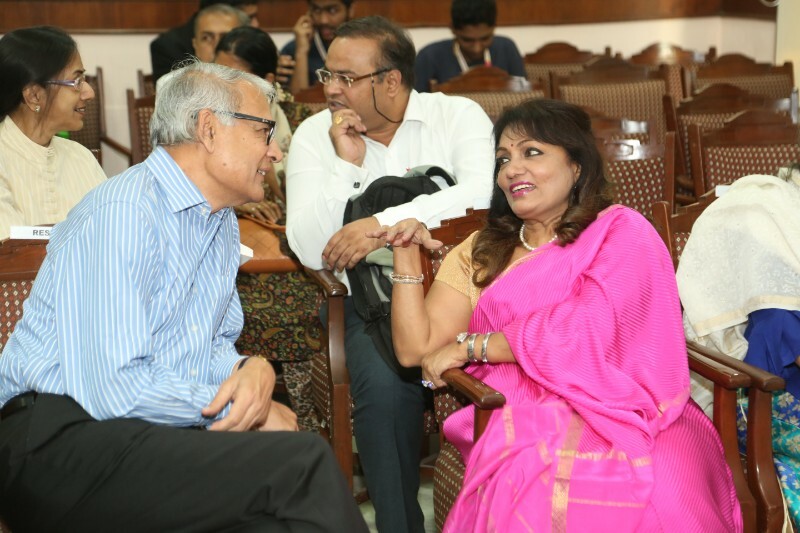 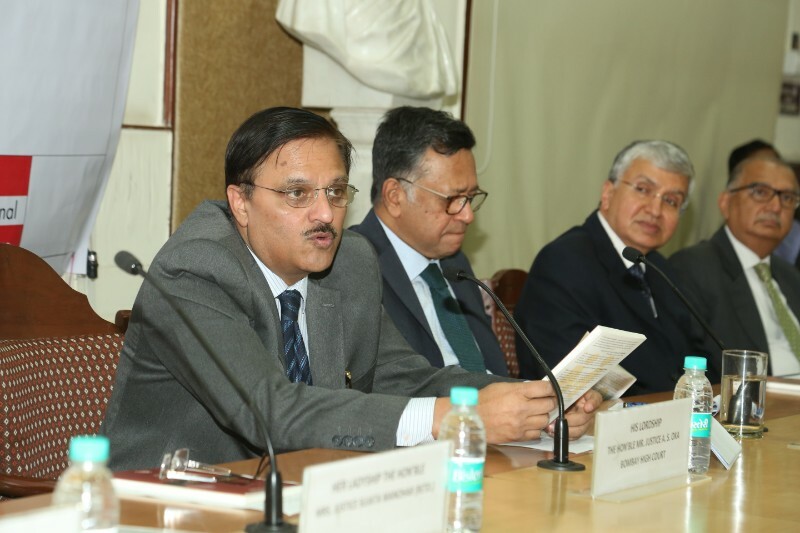 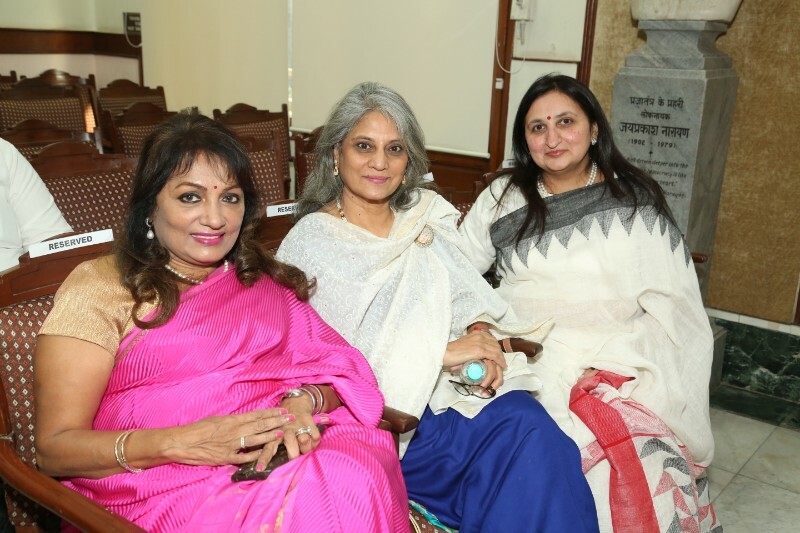 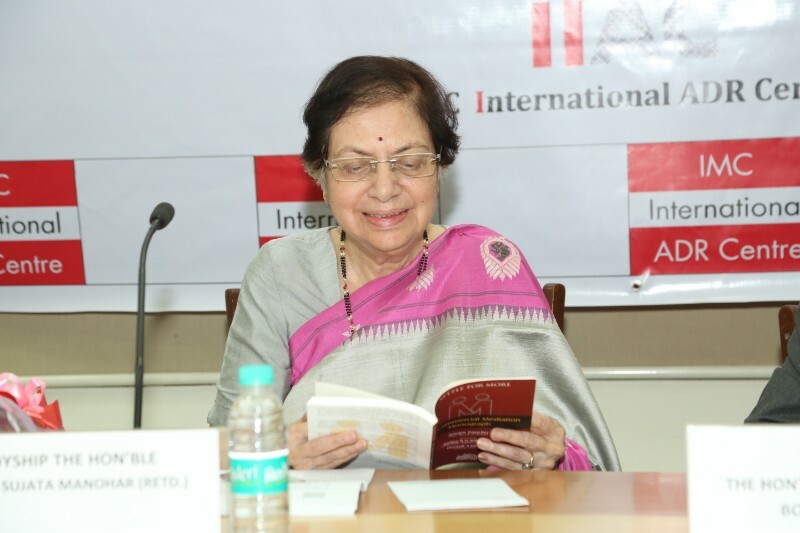 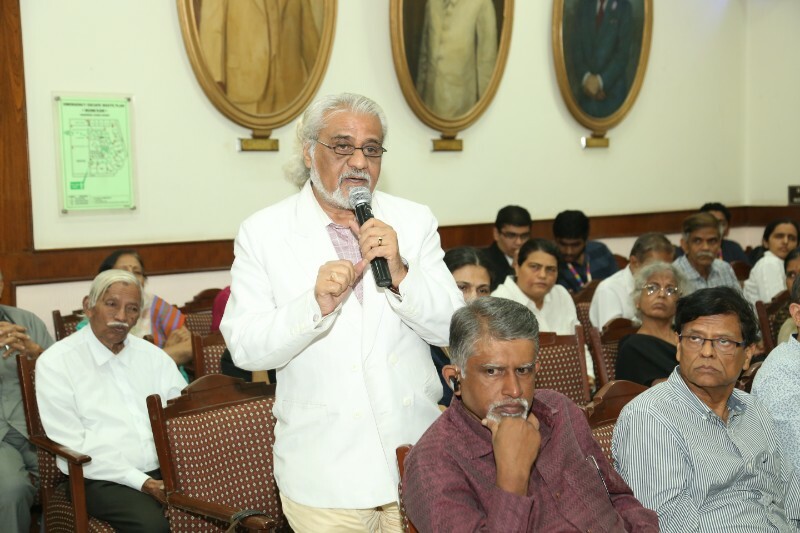 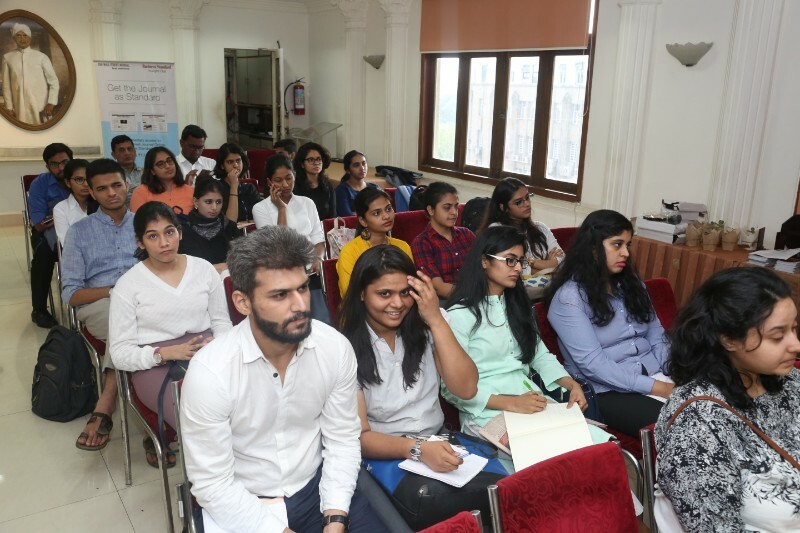 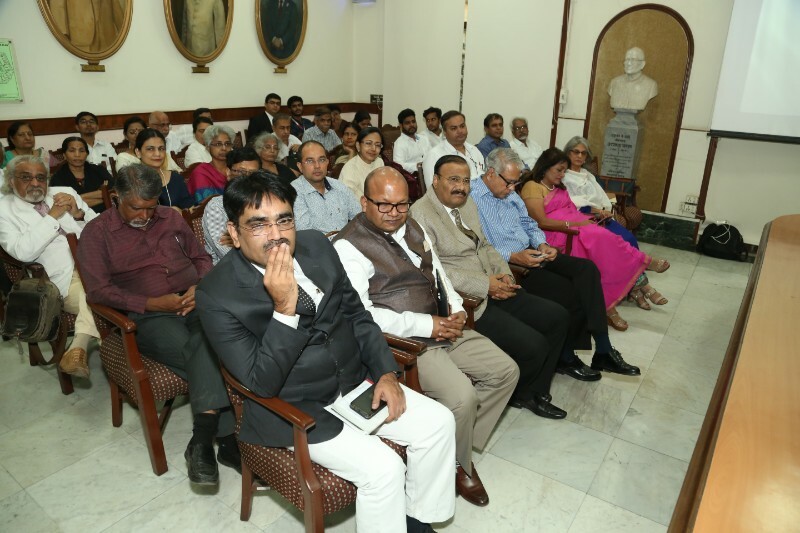 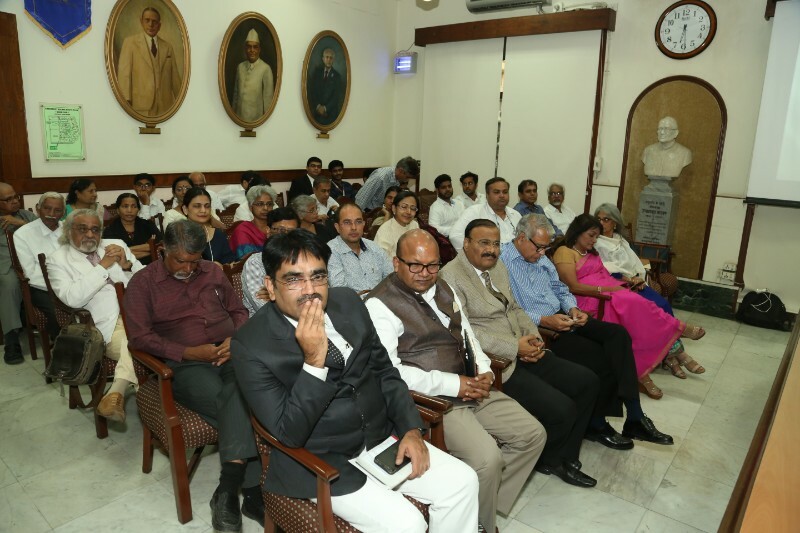 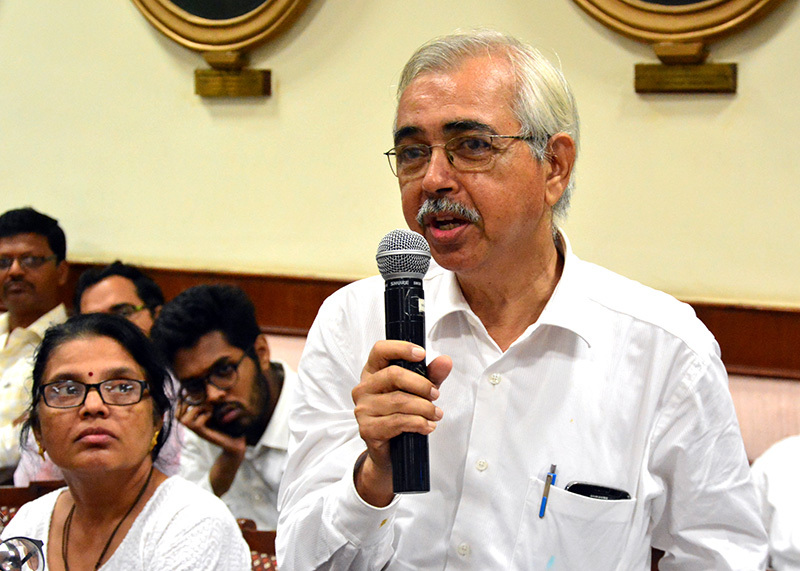 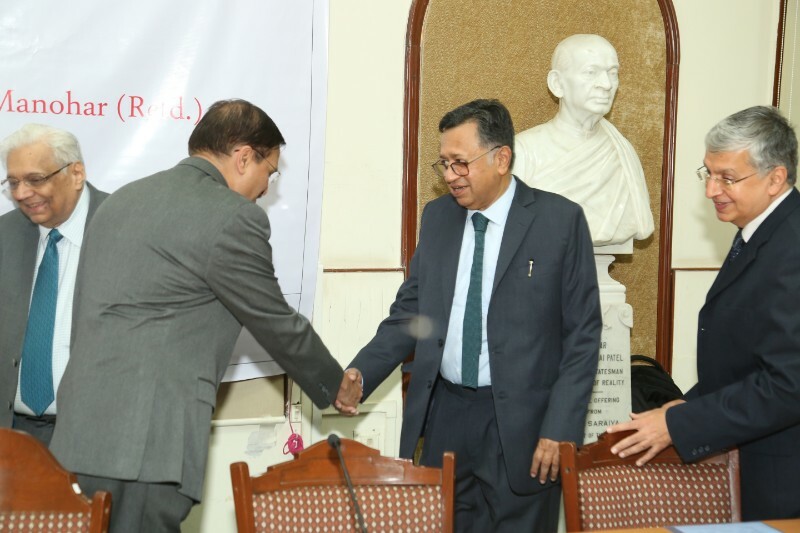 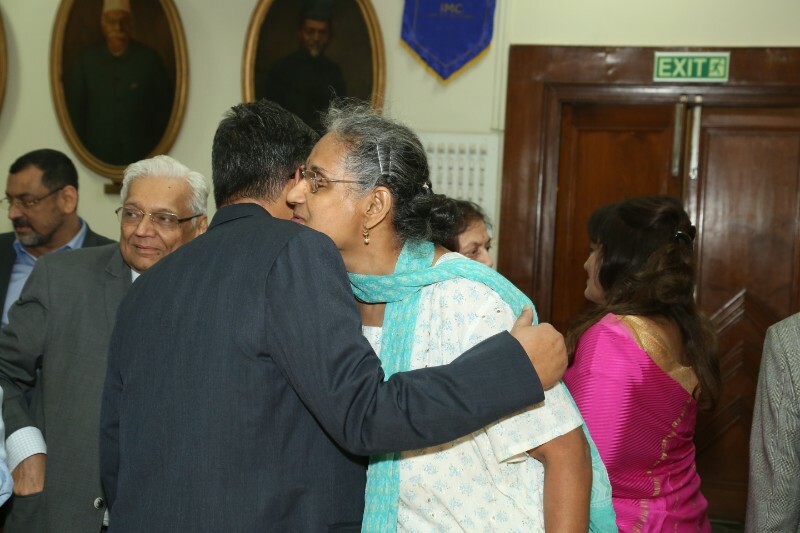 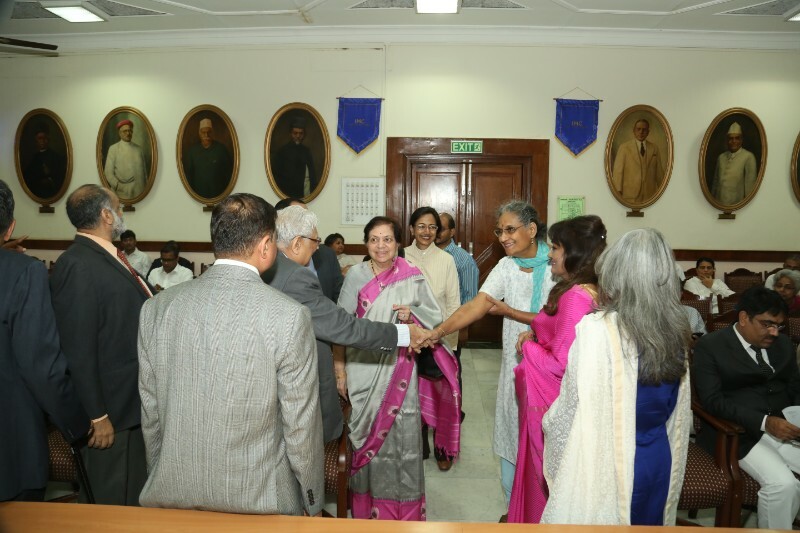 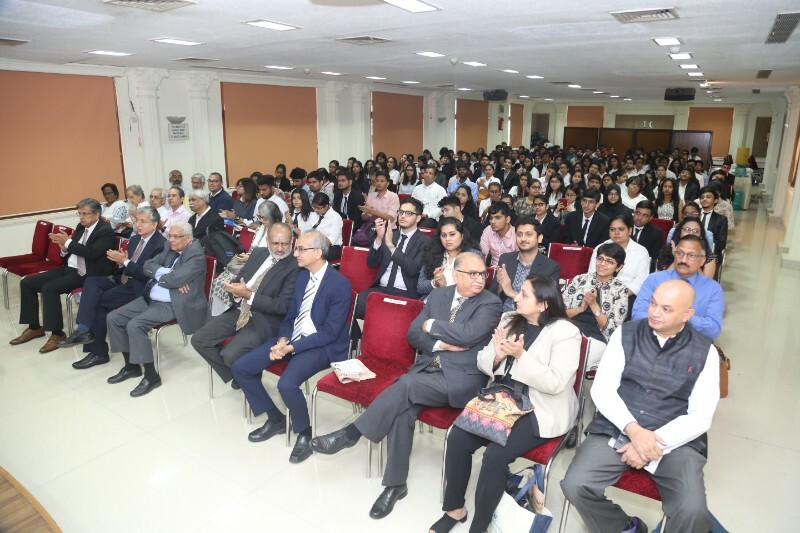 This event was organized jointly with NITI Aayog, Government of India and National University of Juridical Sciences, (NUJS), Kolkata; the event being part of the series hosted in four cities namely Kolkata, Chennai, New Delhi and Mumbai. 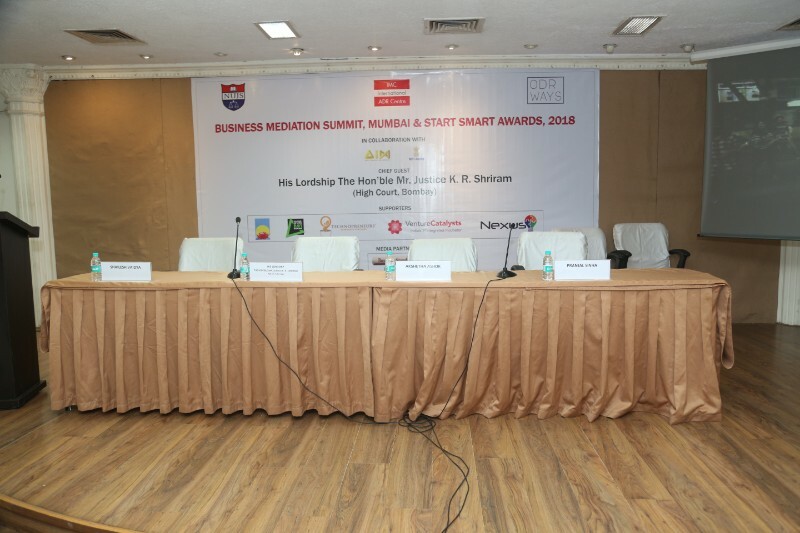 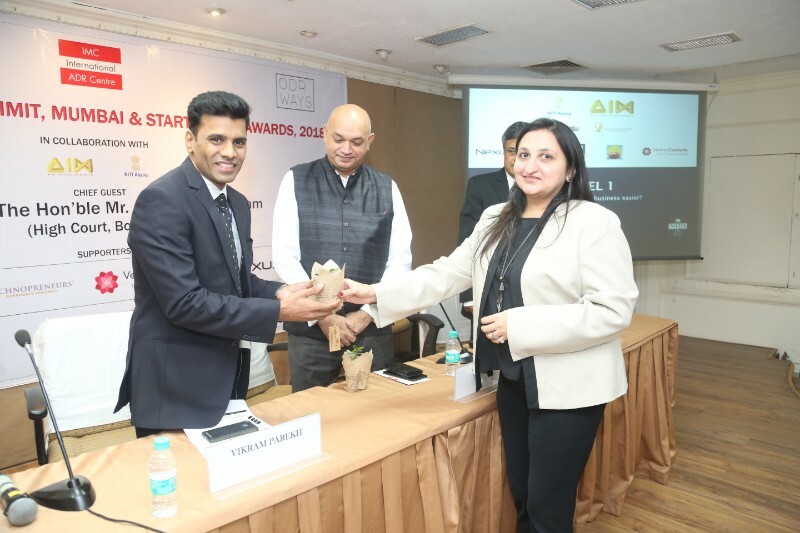 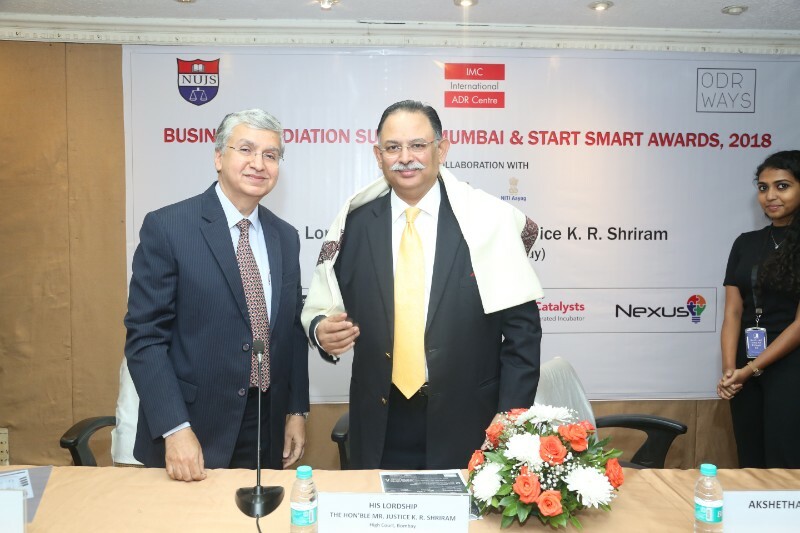 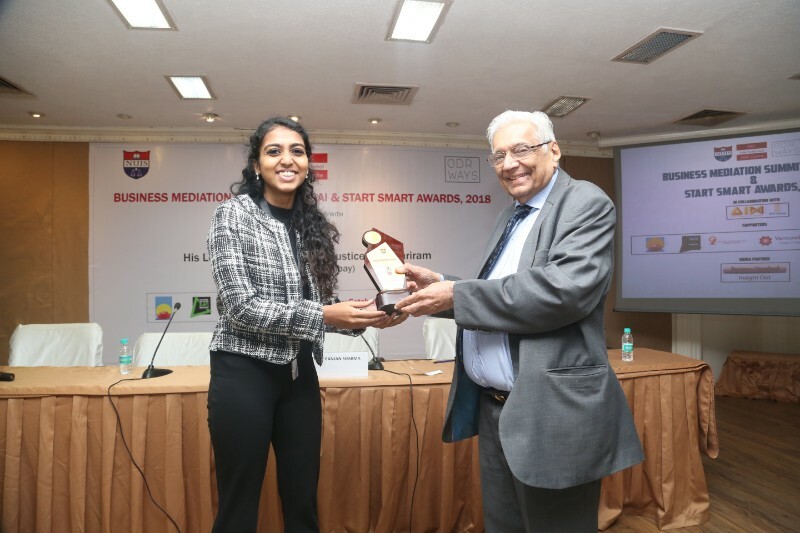 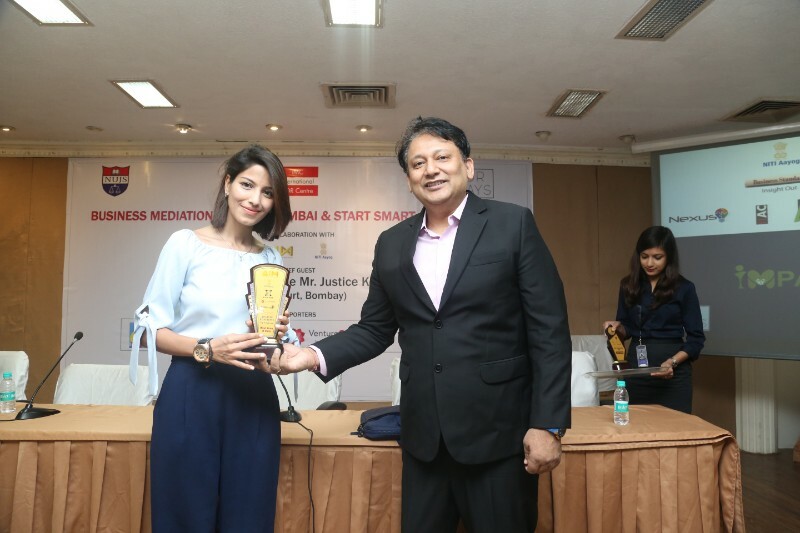 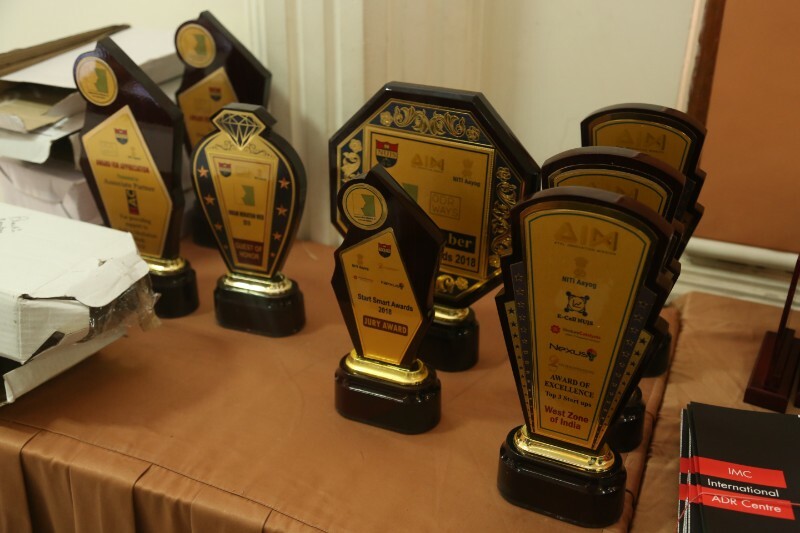 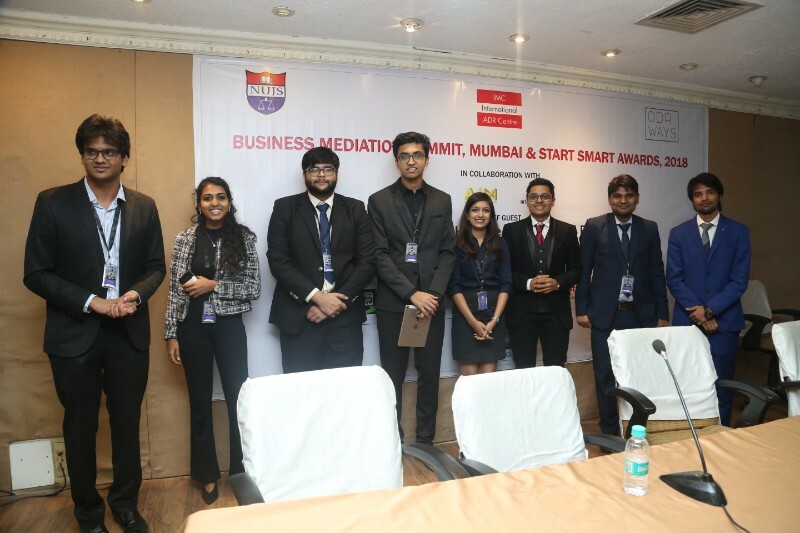 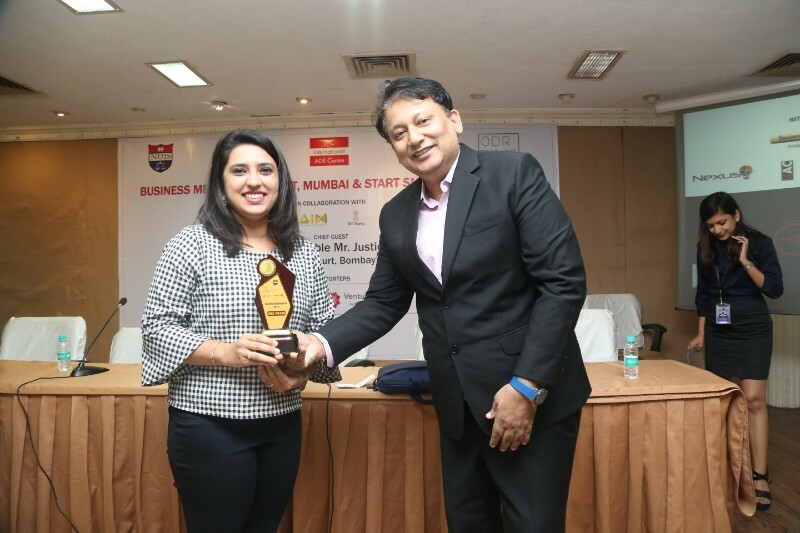 The event also hosted ‘Start Smart Awards, 2018’ and three startups from each of the 4 zones were felicitated in recognition of good business practices. 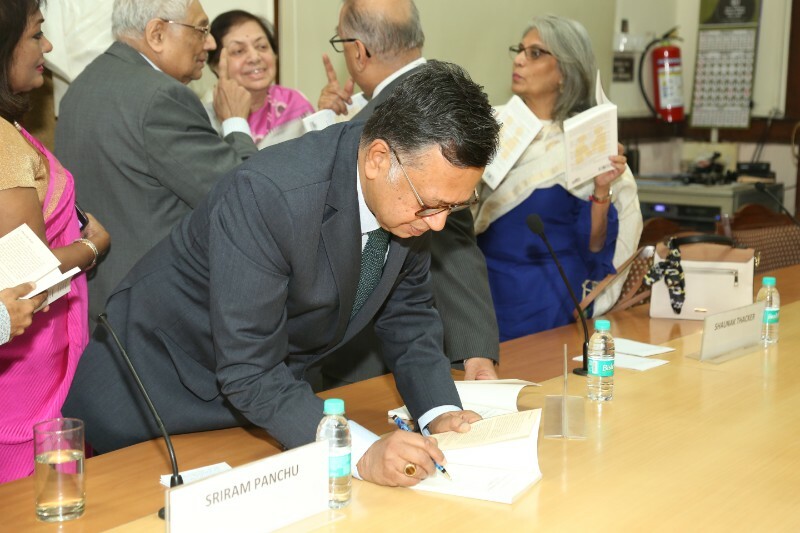 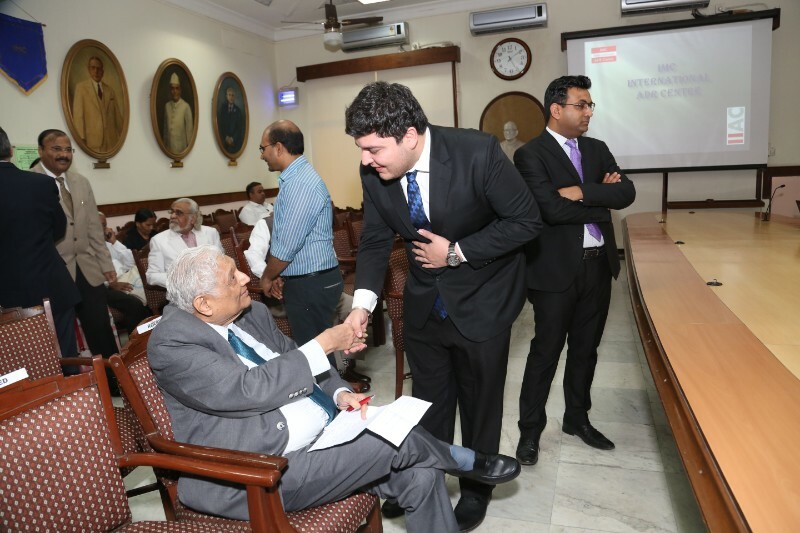 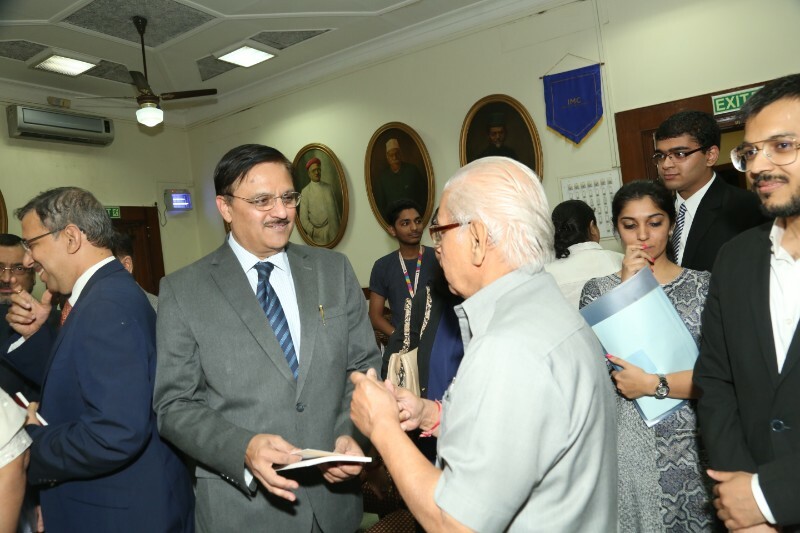 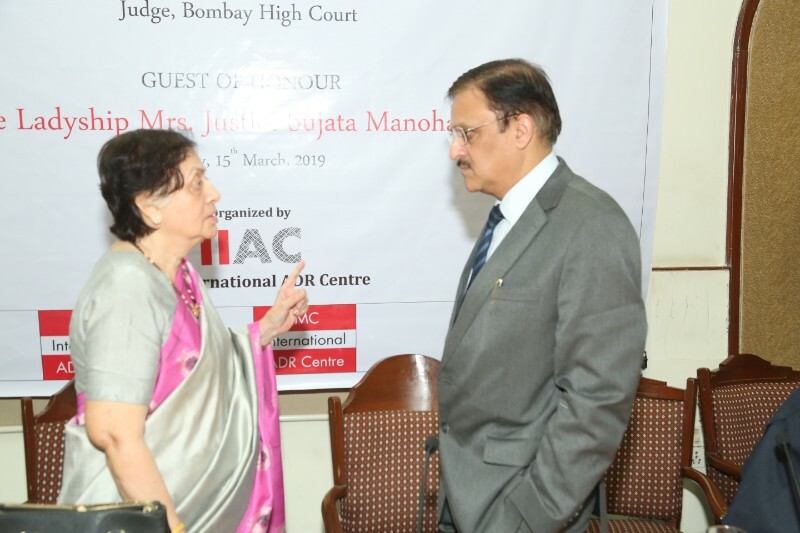 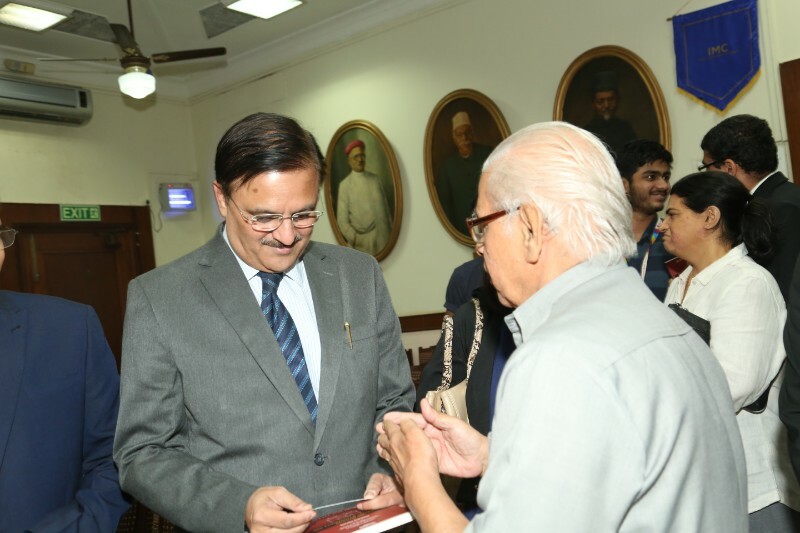 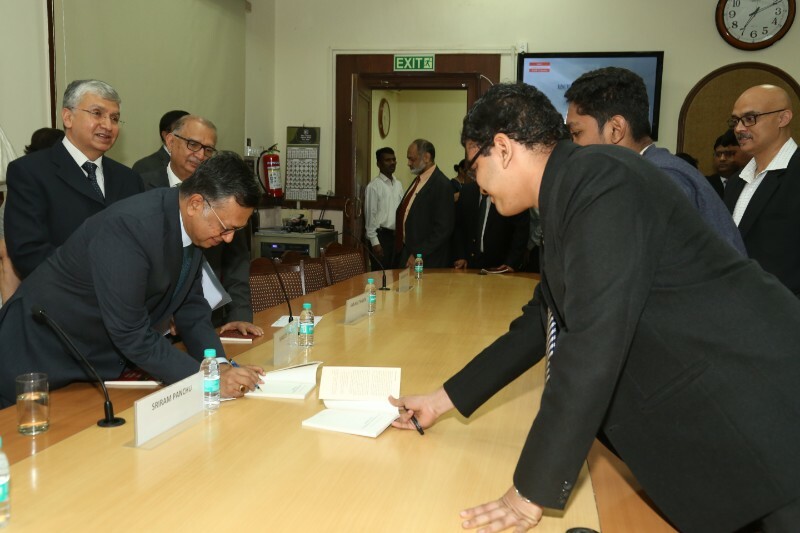 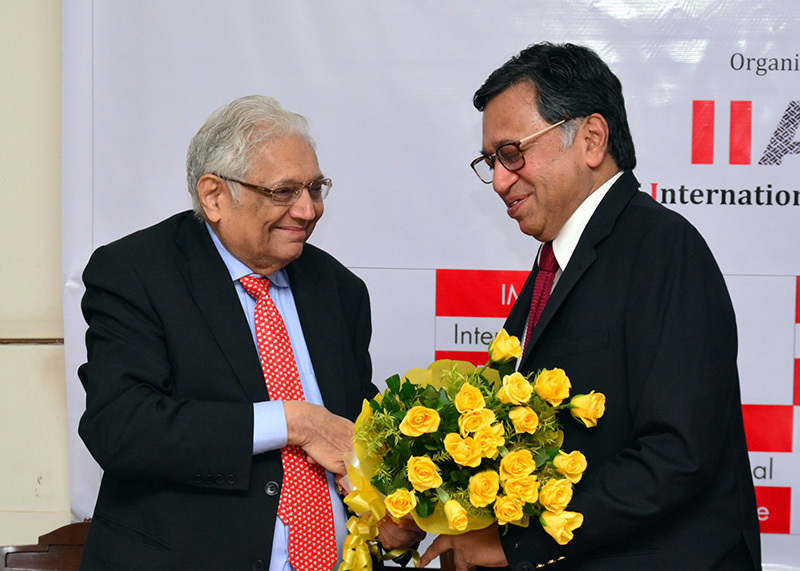 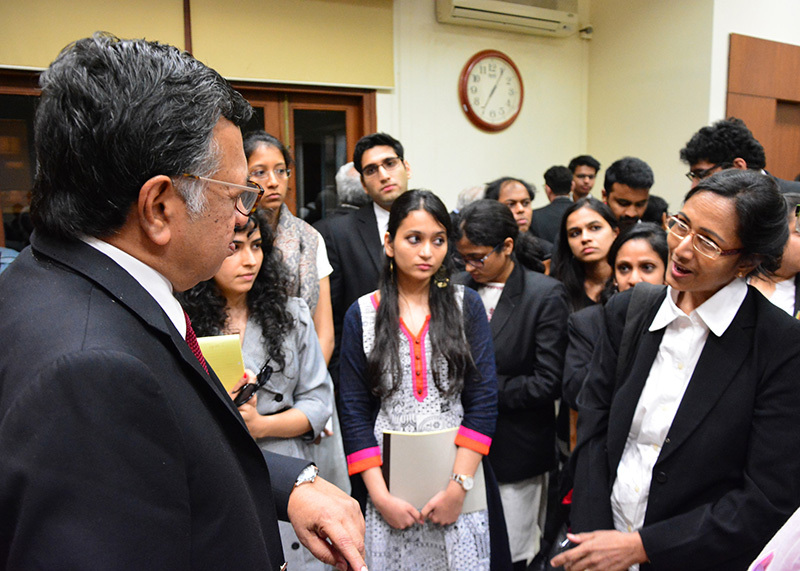 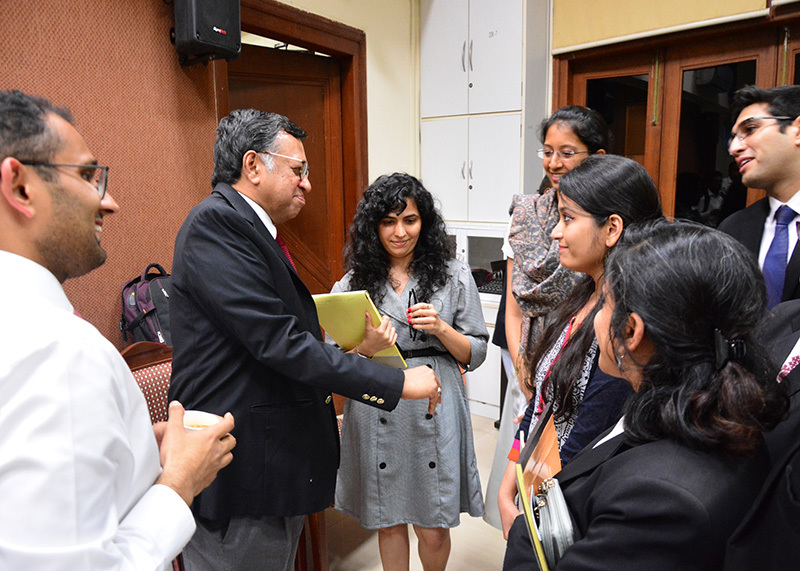 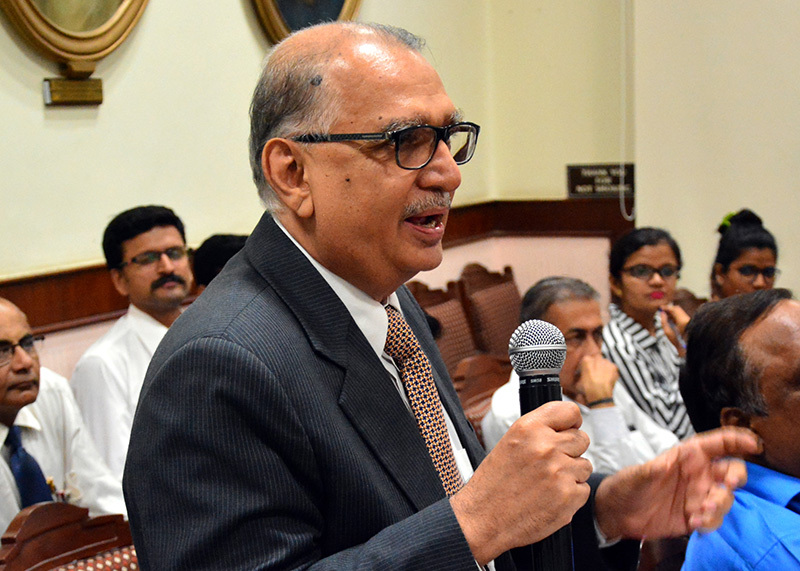 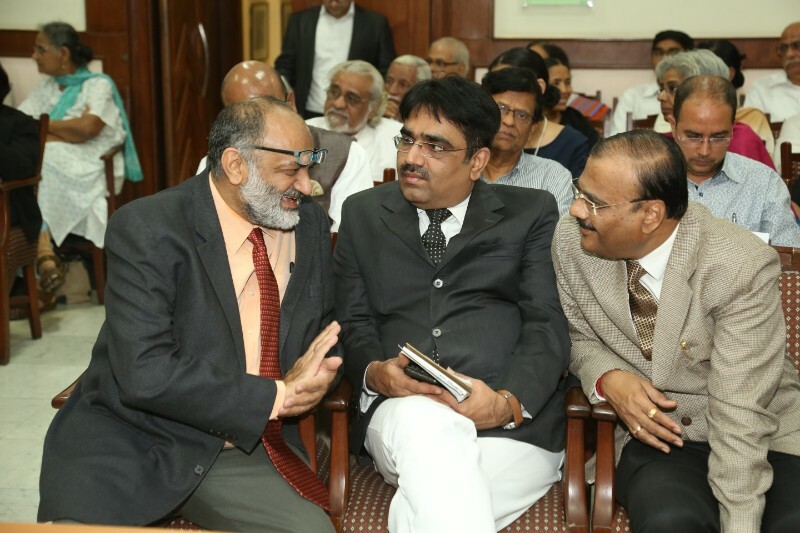 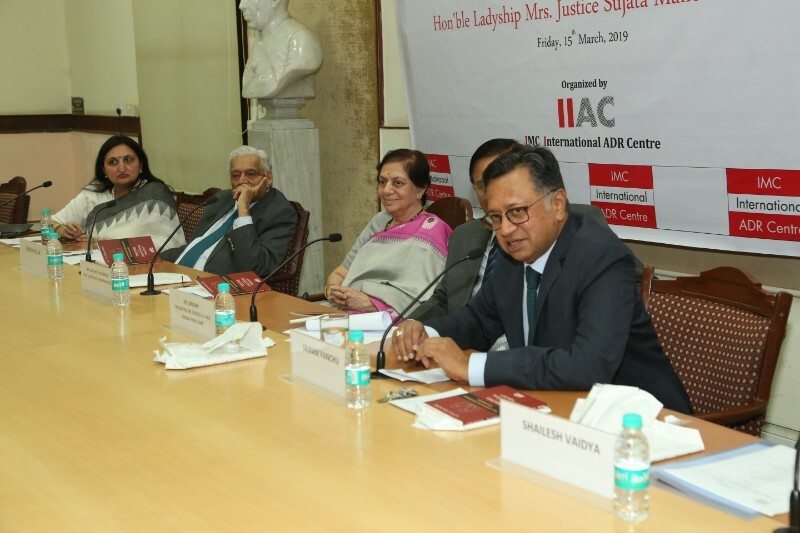 IIAC had the privilege of having His Lordship Hon’ble Mr. Justice K. R. Sriram as the Chief Guest who addressed a packed gathering on Friday morning stressing need for the young upcoming advocates and leaders to indulge in reading philosophy. 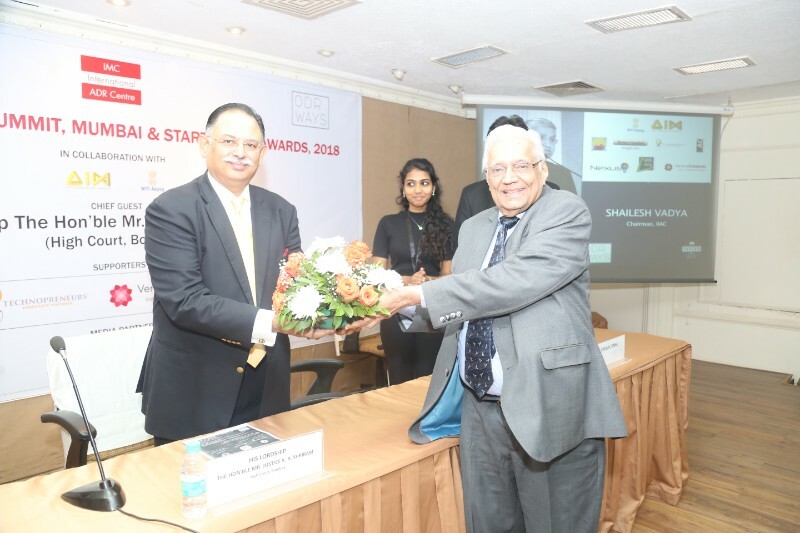 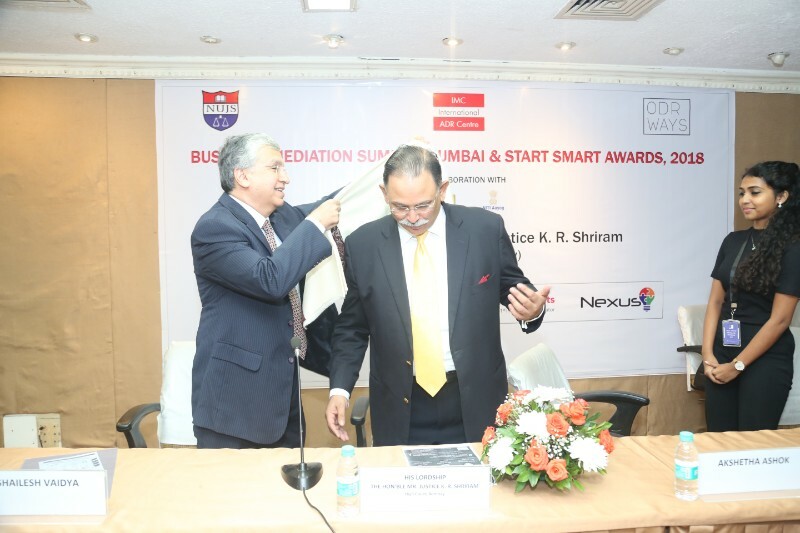 Awards and Jury Felicitation was handed over and hosted by Guest of Honor, Dr. Apoorv Ranjan Sharma, President, Venture Catalysts. 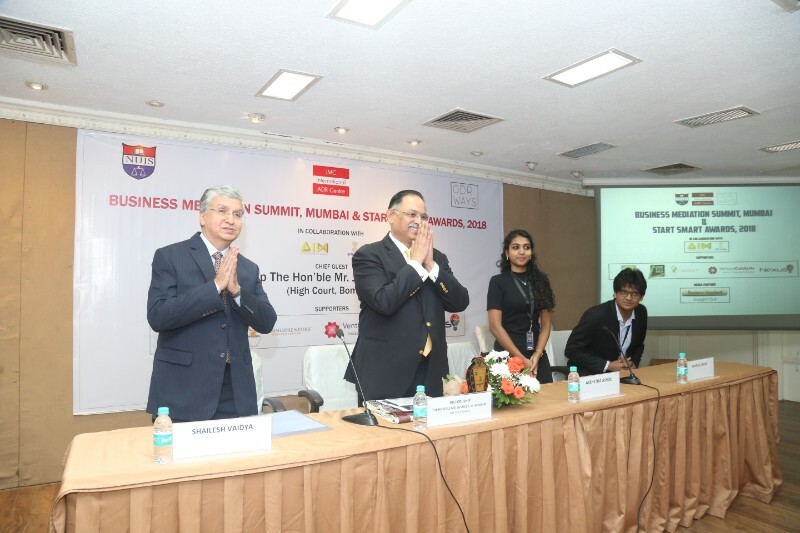 The event hosted two panel discussions the first on “How to make doing business easier?” which was moderated by Mr. Vikram Parekh, HOD, SIES College of Management Studies. 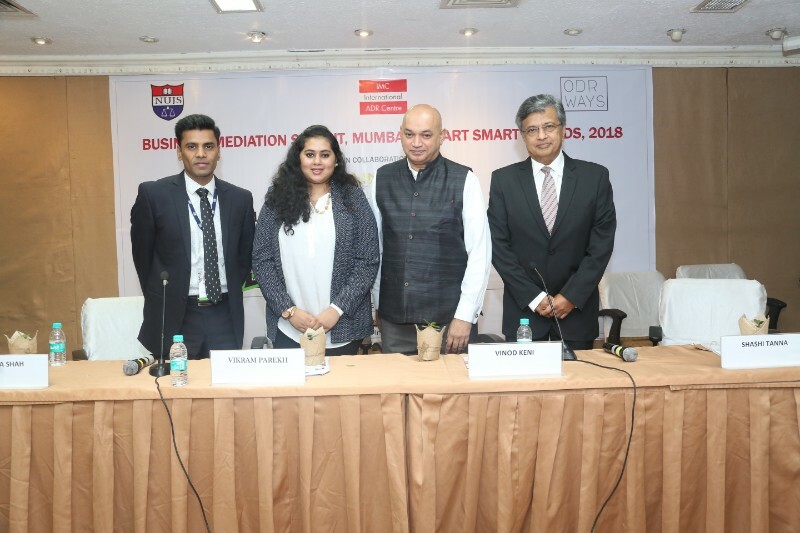 Panelists for these session were Ms. Namita Shah (Co-founder of Presolv 360), Mr. Vinod Keni(Partner, Artha Venture Fund), and Mr. Shashi Tanna(Managing Director, Links Cargo). 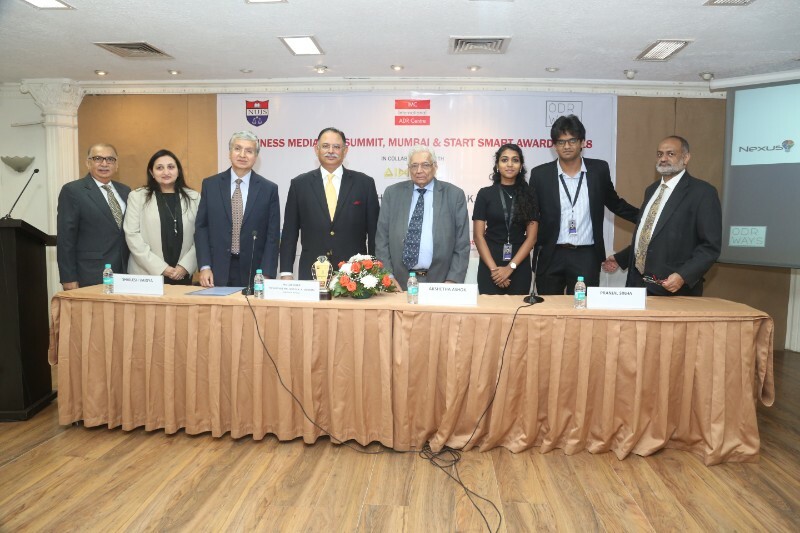 The second panel was on “How to make solving disputes easier?”. 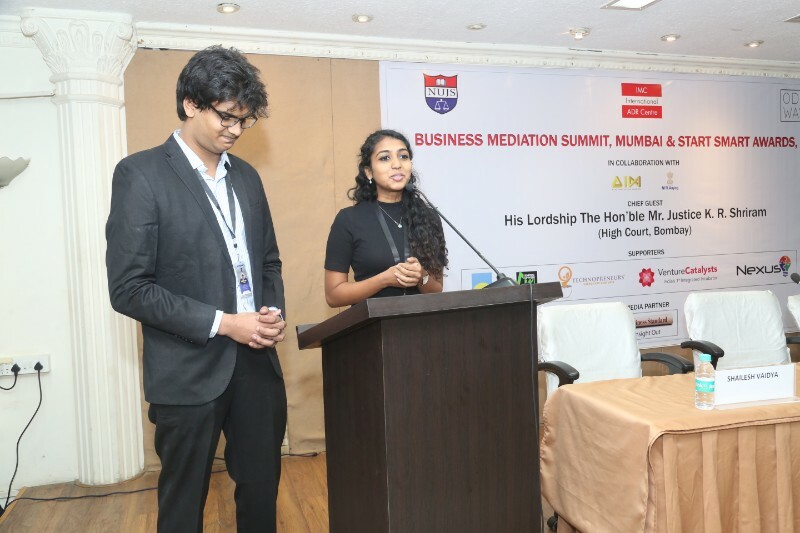 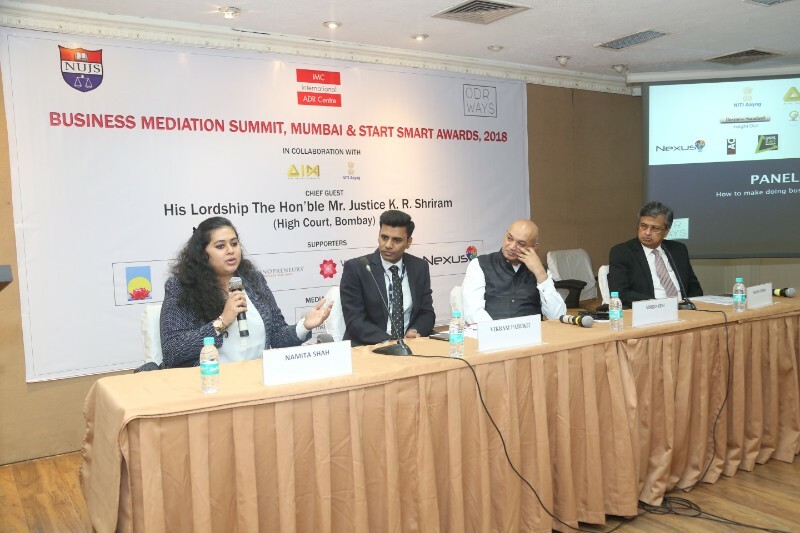 The session was Moderated by Mr. P. Popat, Member IIAC Promotion Committee and the speakers were Ms. Akshetha Ashok(Partner, ODR Ways), Ms. Tanu Mehta(Mediator), Mr. Bhaven Shah(Co-founder of Presolv 360) and Mr. Parimal Shah (Mediator). 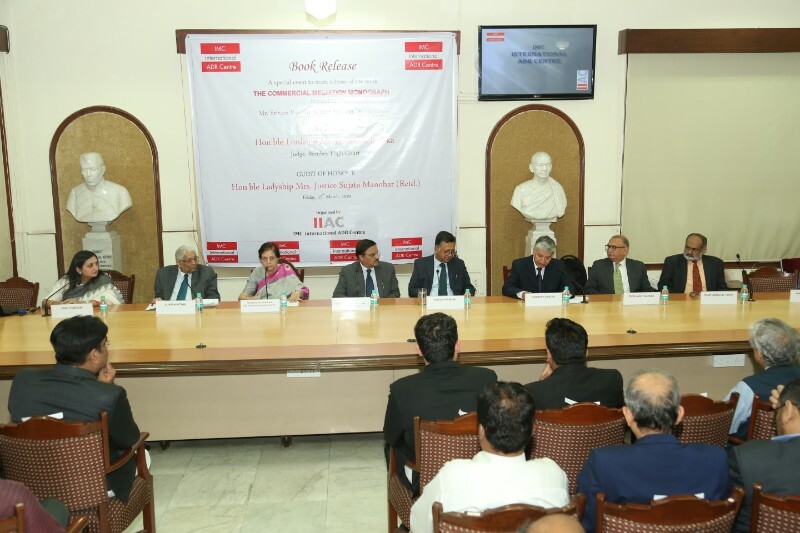 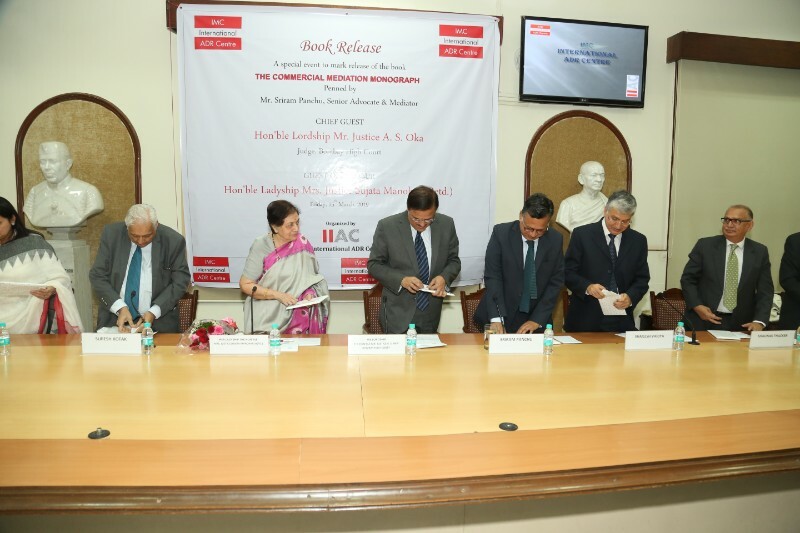 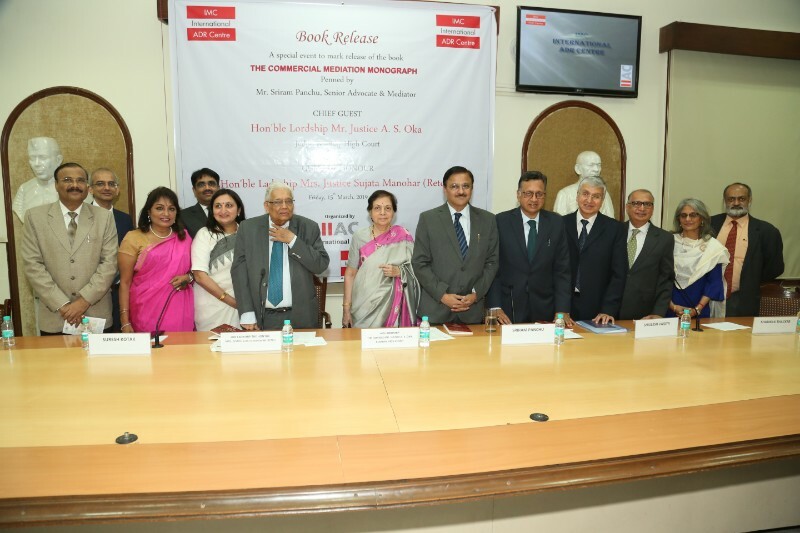 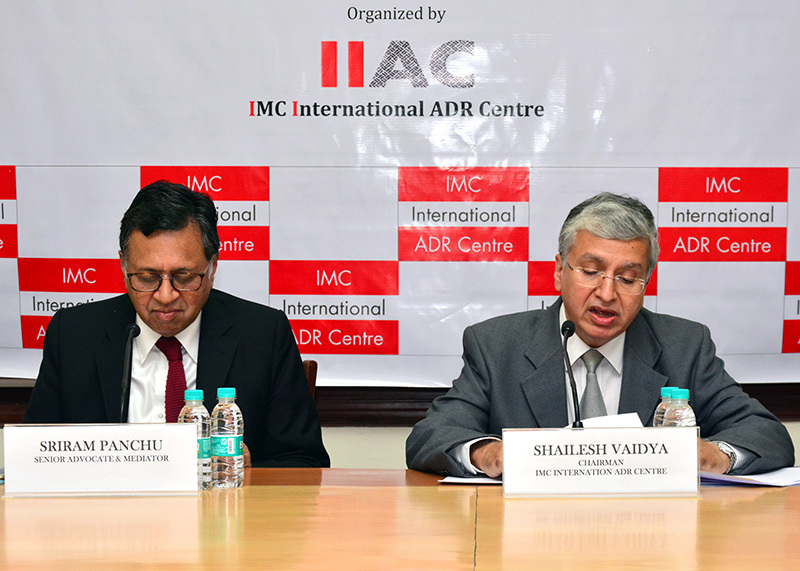 "INSTITUTIONAL ADR, THE WAY FORWARD - ECONOMIC AND EFFICIENT"
On 12th of May 2018 IIAC conducted a seminar under the theme “Institutional ADR, The Way Forward - Economic And Efficient”. 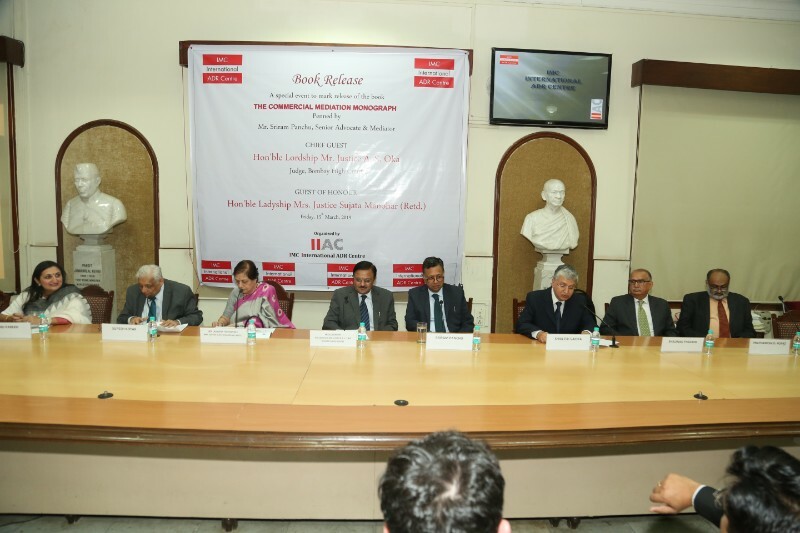 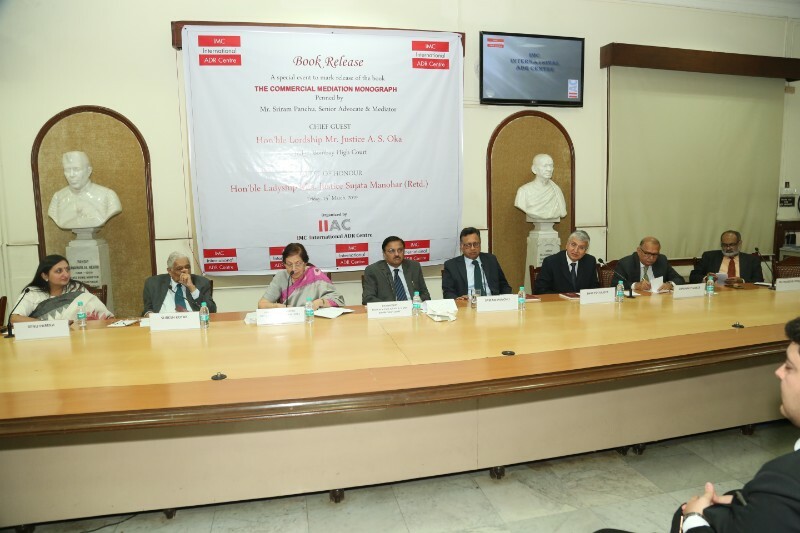 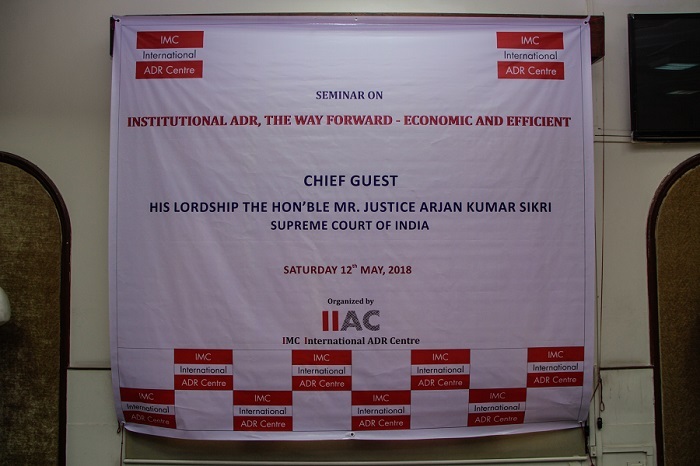 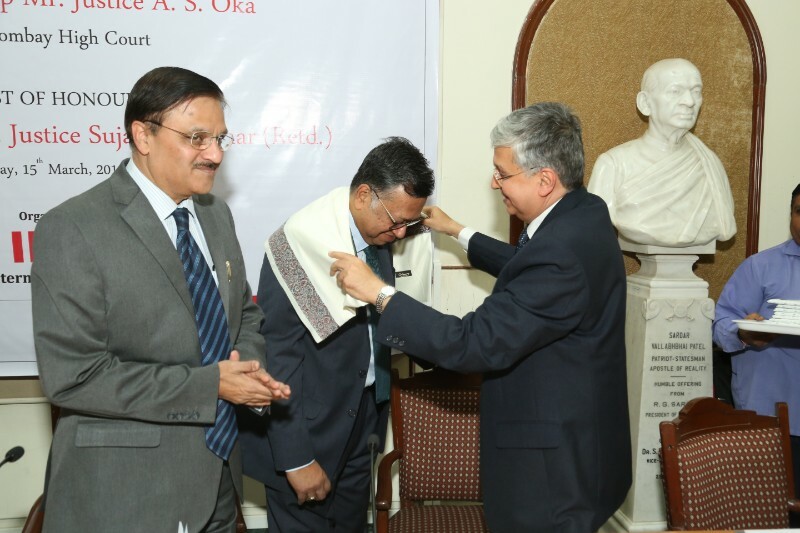 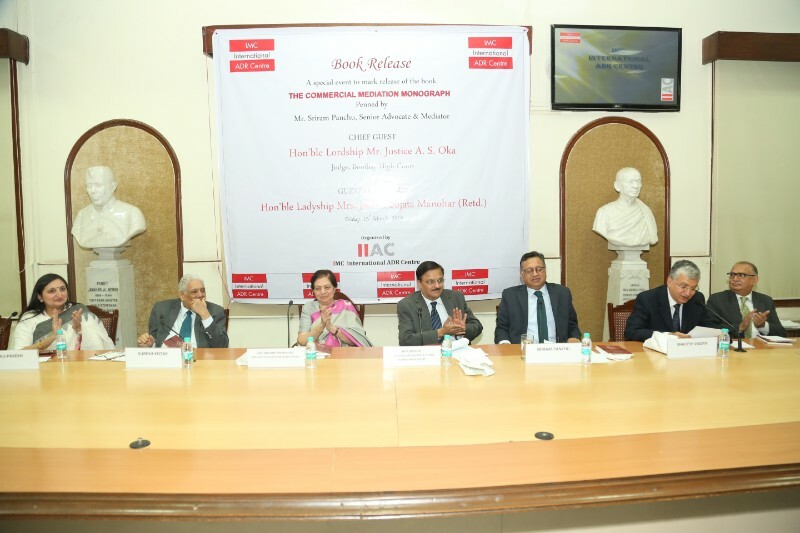 Hon’ble Lordship Mr. Justice Arjan Kumar Sikri was the Chief Guest and IIAC had the privilege of his visit again. 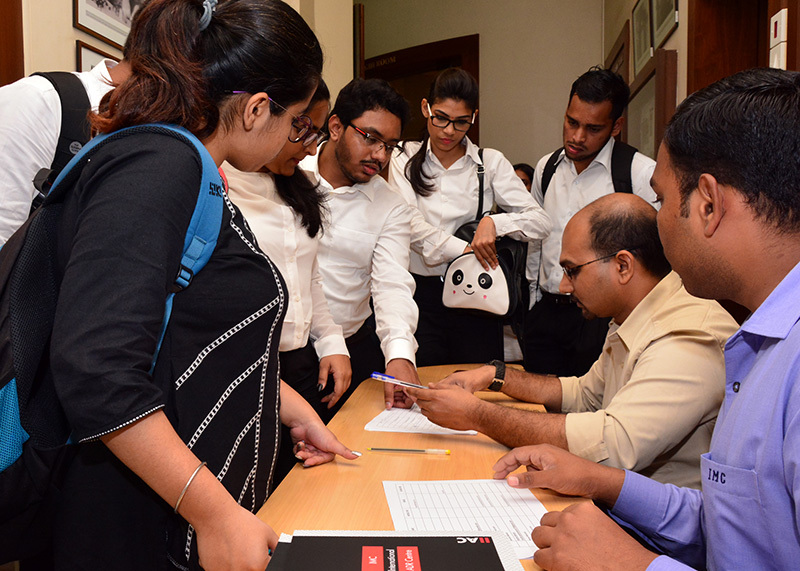 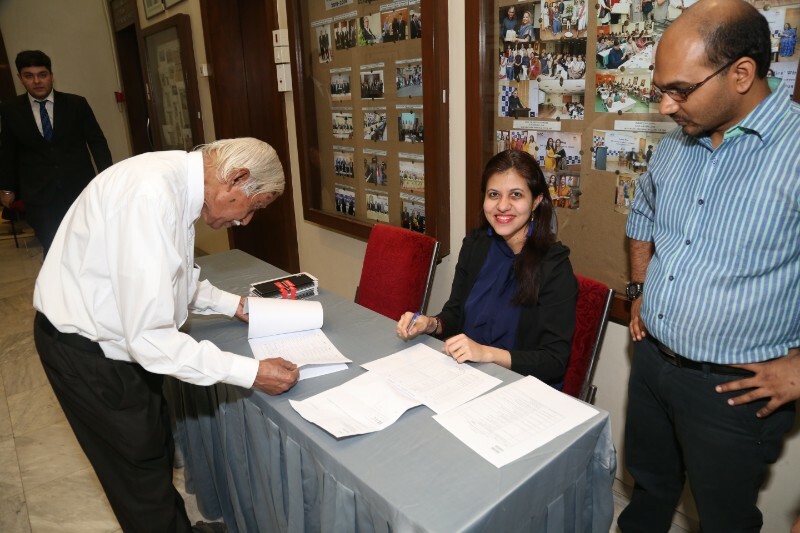 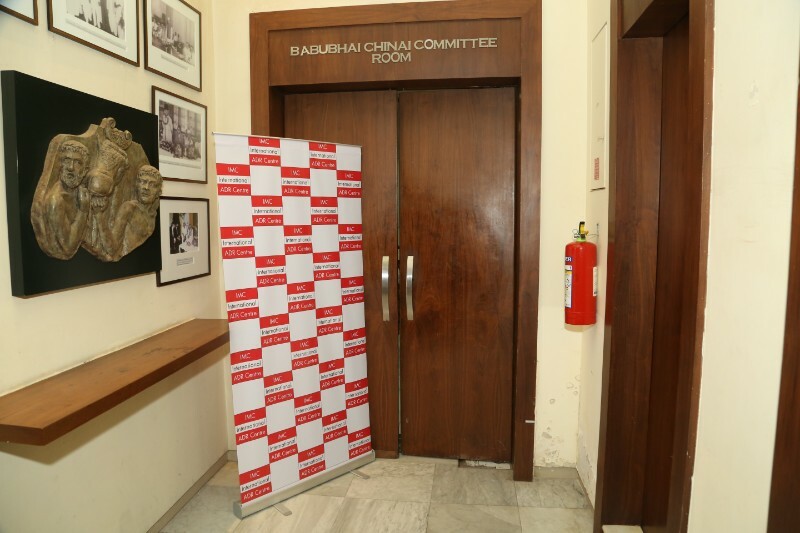 In an overwhelming response, registrations had to be closed prior to the seminar. 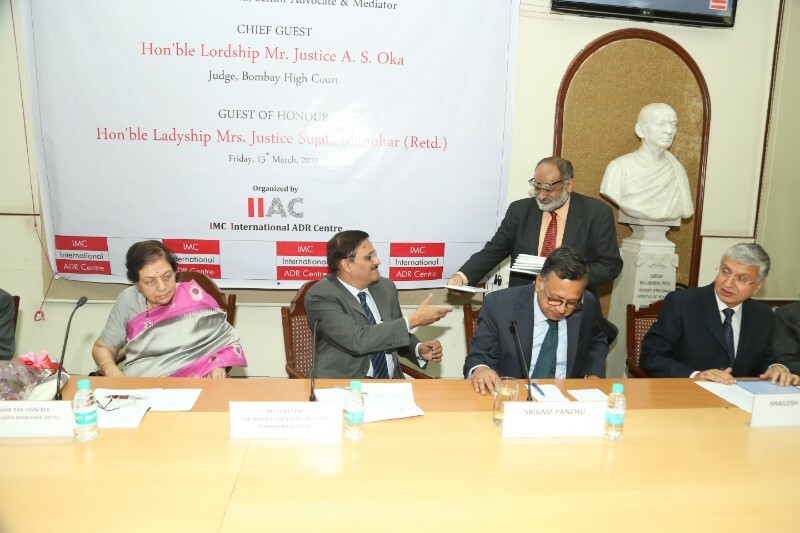 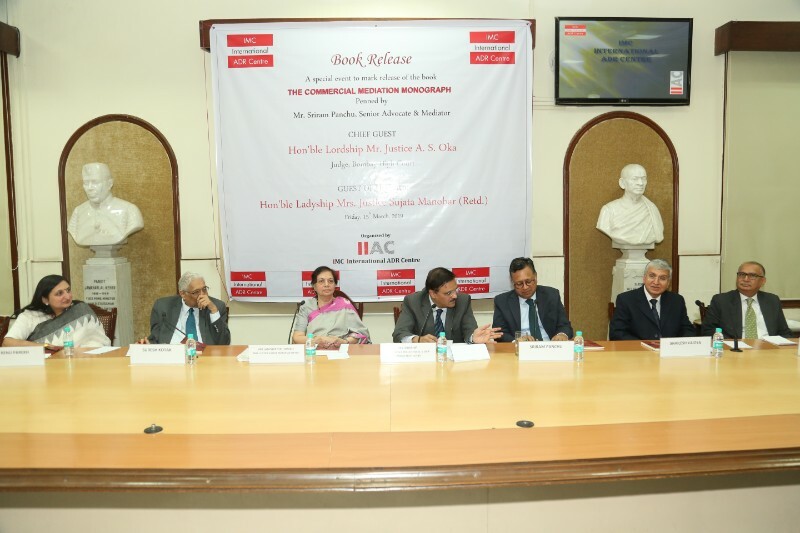 IIAC Chairman, Mr. Shailesh Vaidya welcomed the Chief Guest, Hon’ble Lordship Mr. Justice Arjan Kumar Sikri and unveiled the theme of the day. 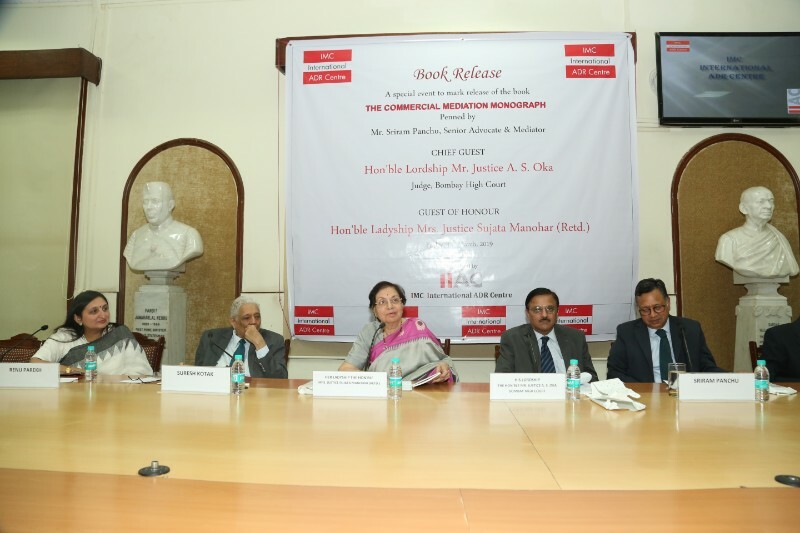 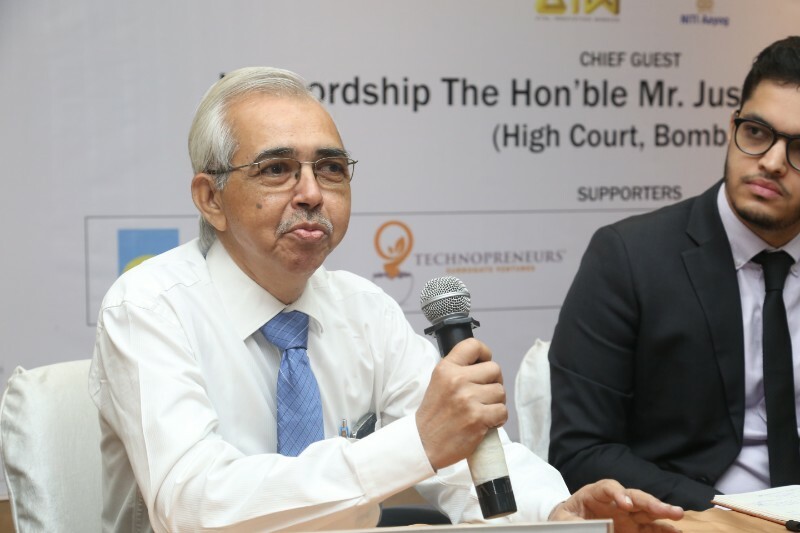 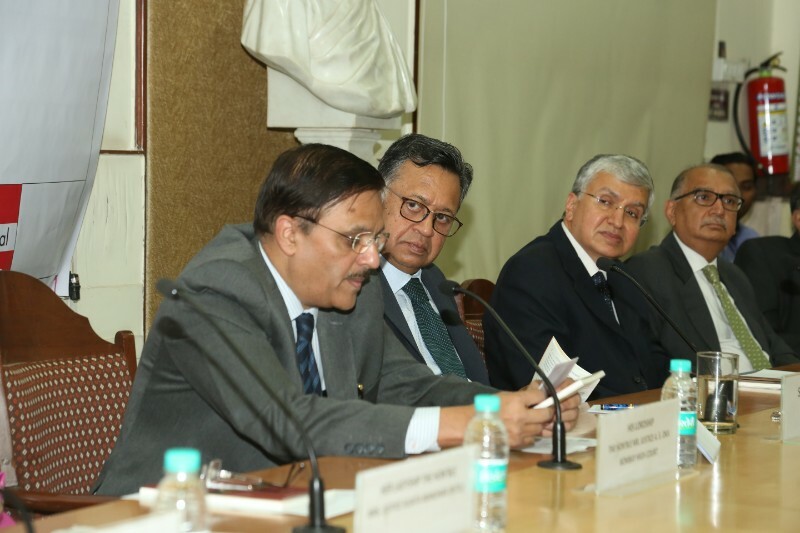 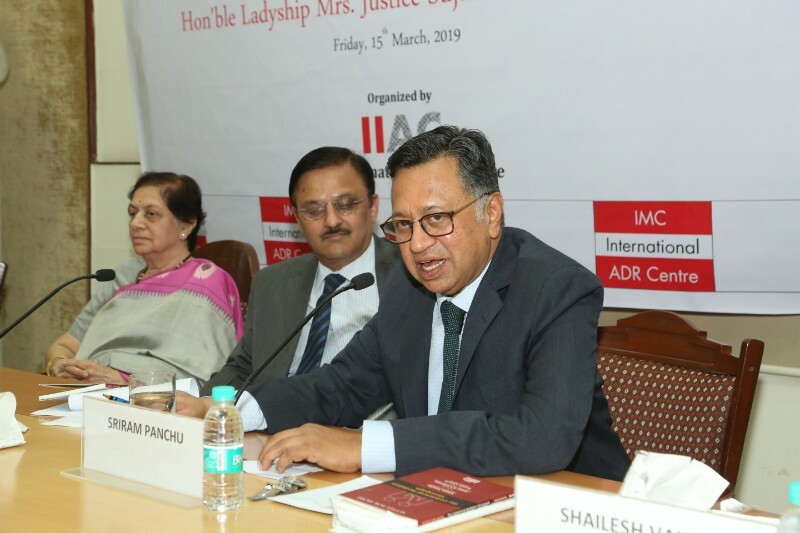 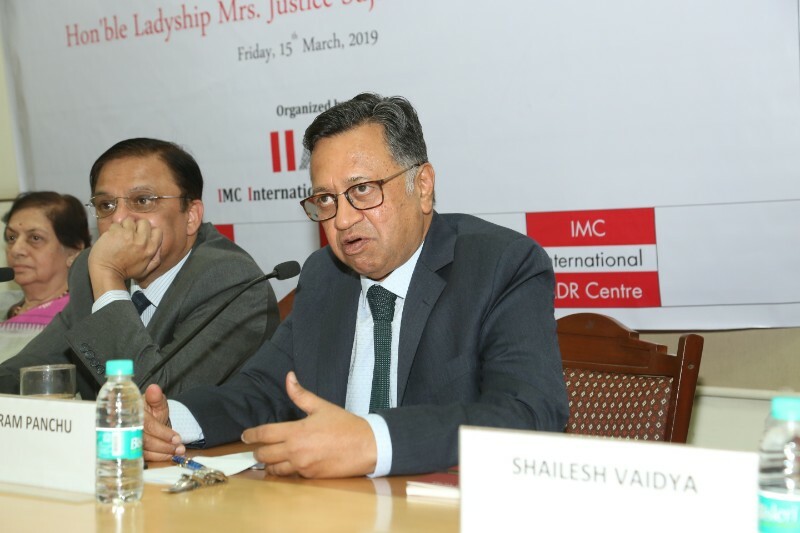 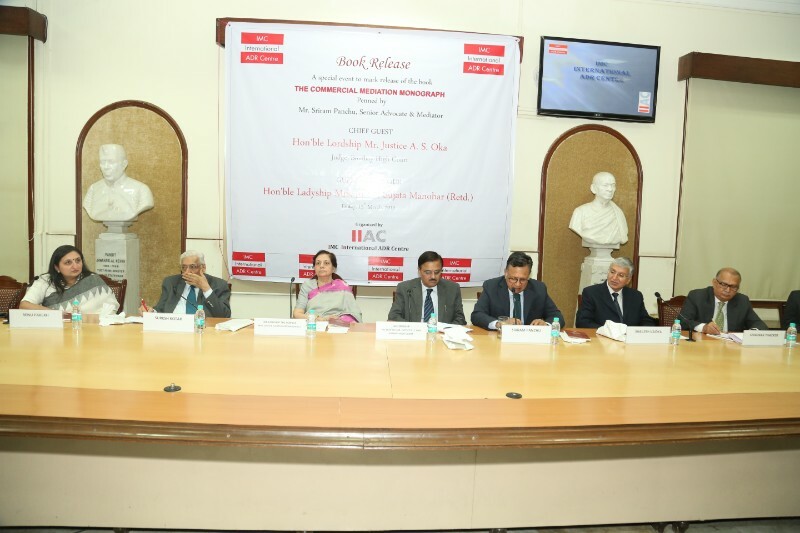 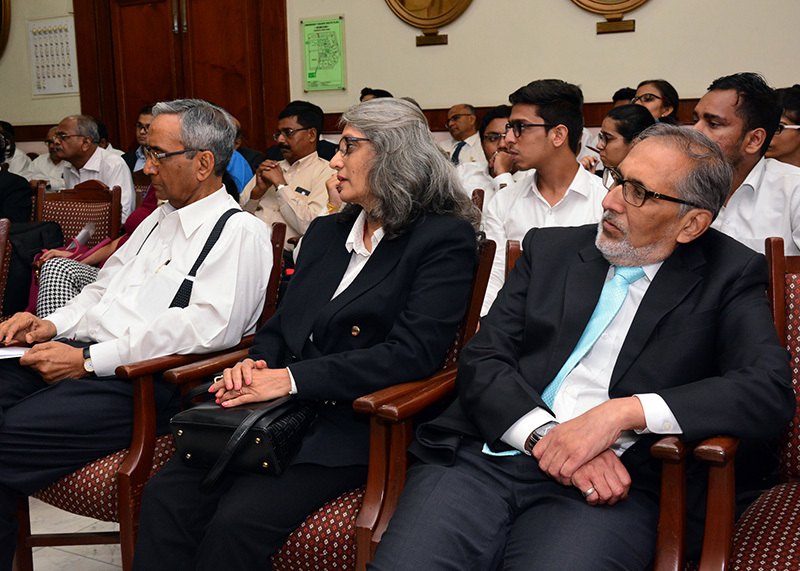 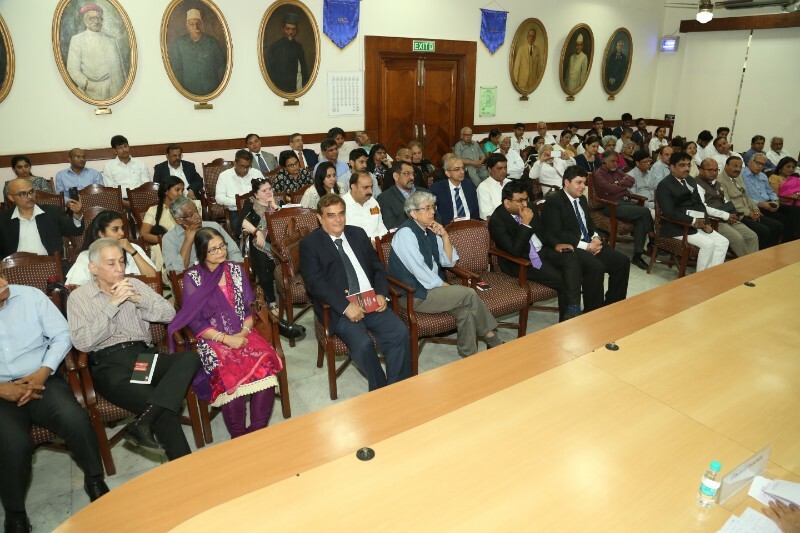 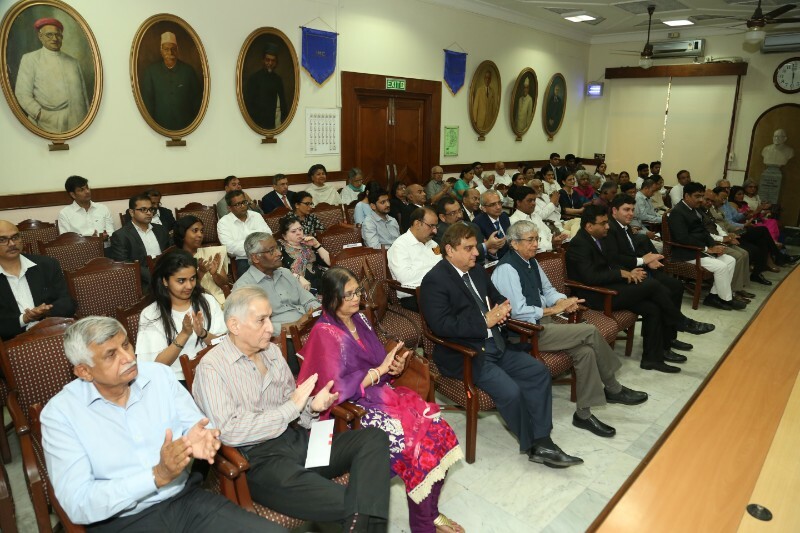 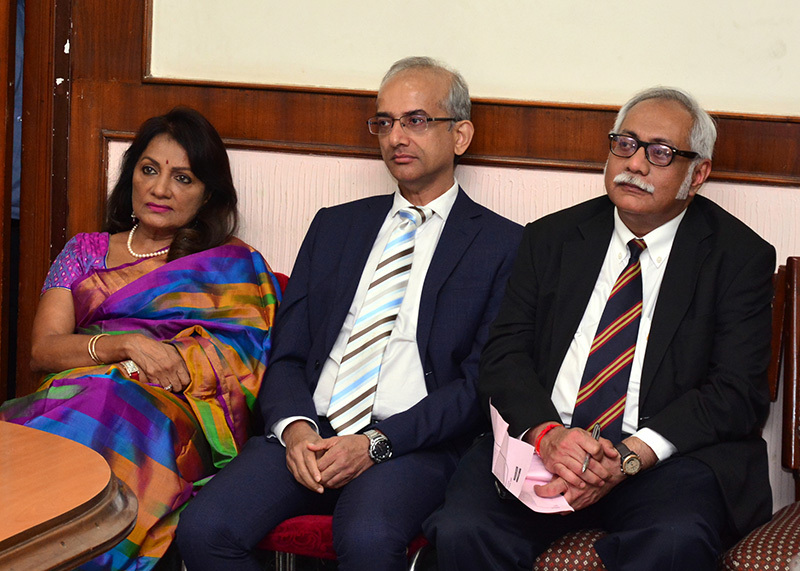 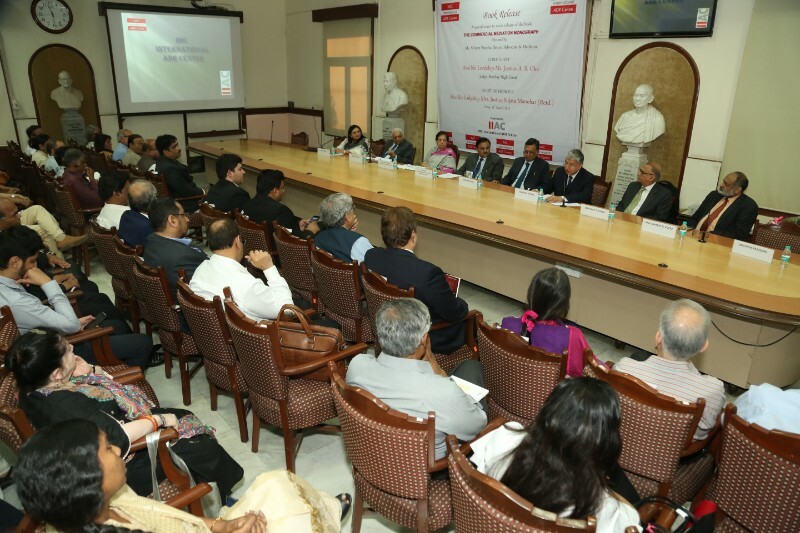 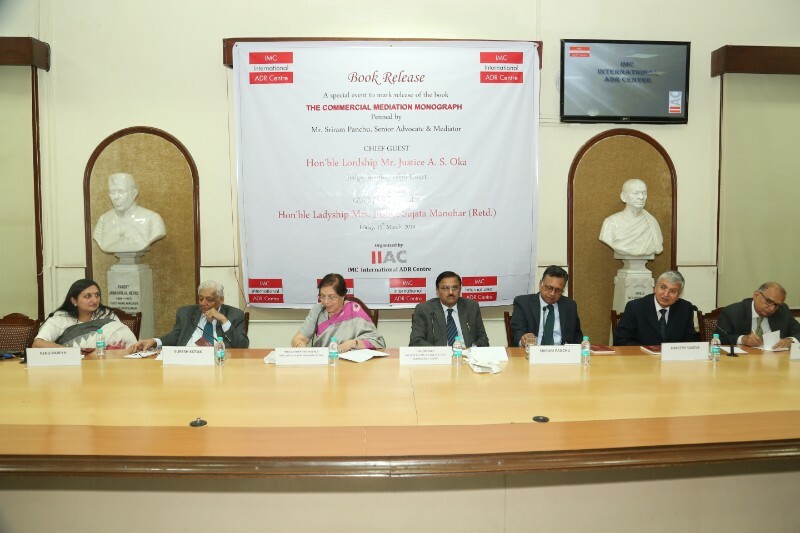 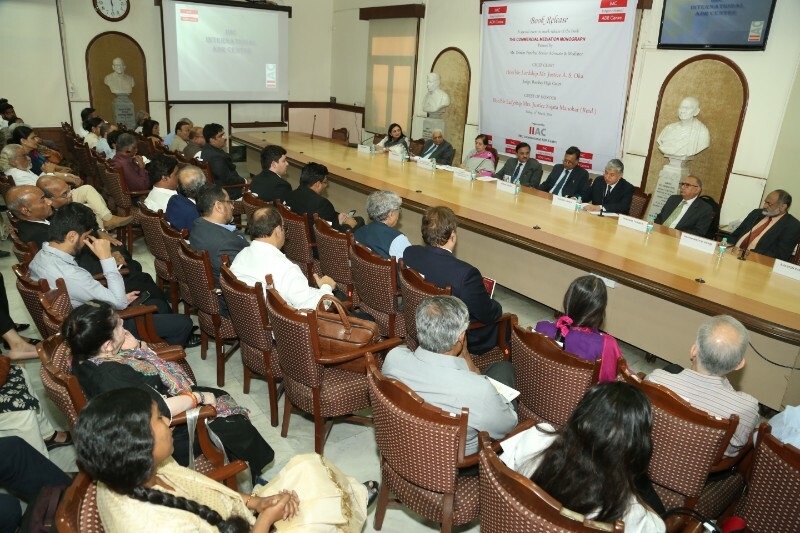 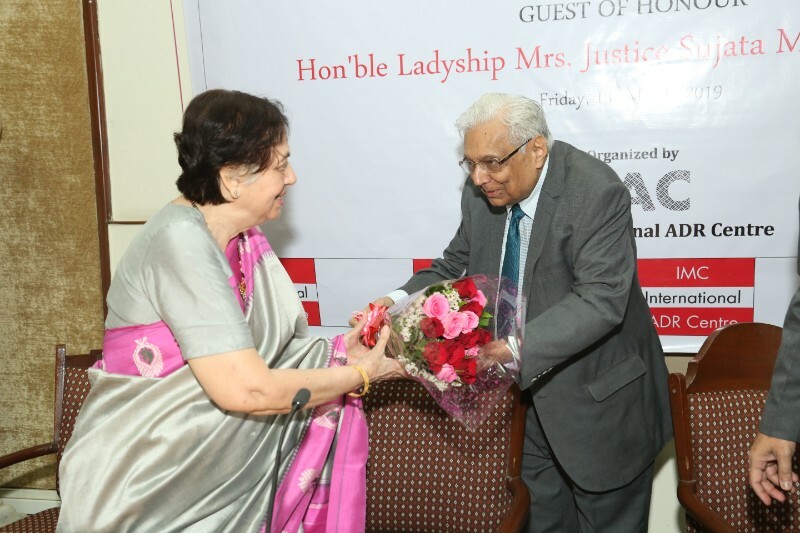 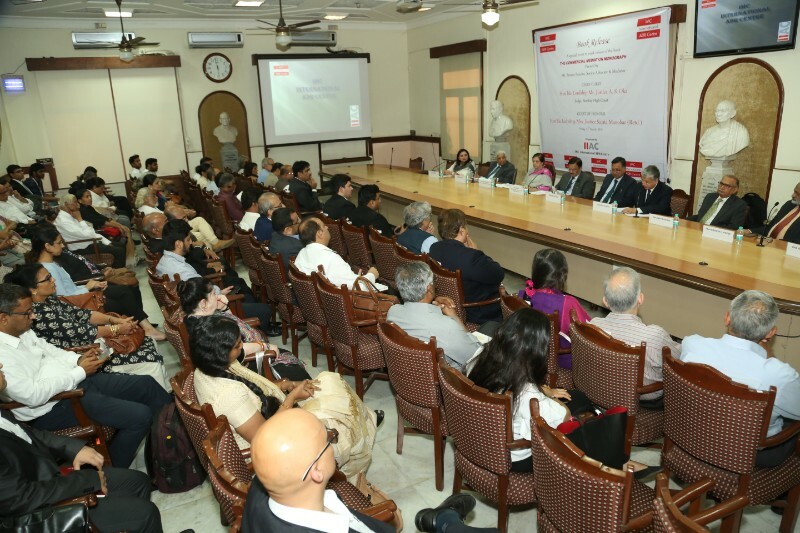 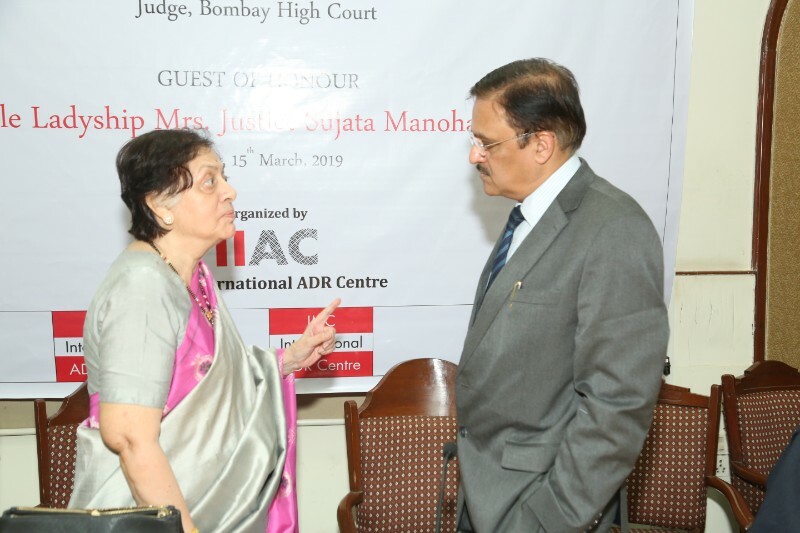 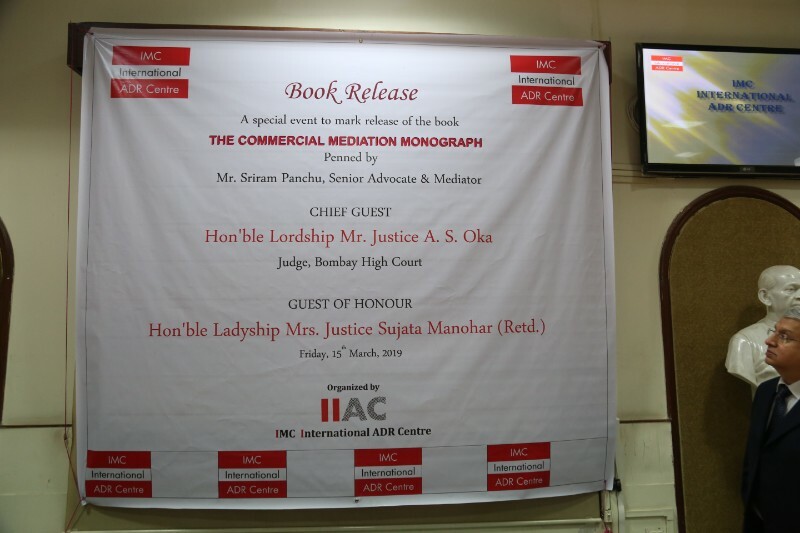 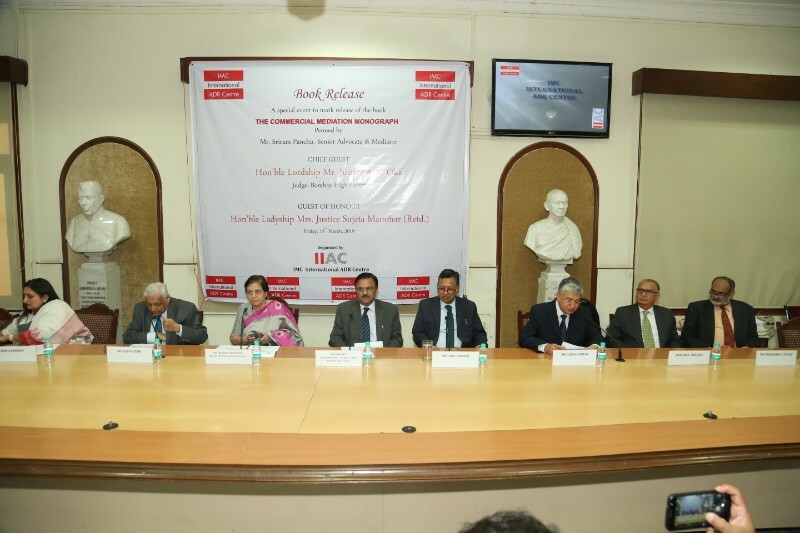 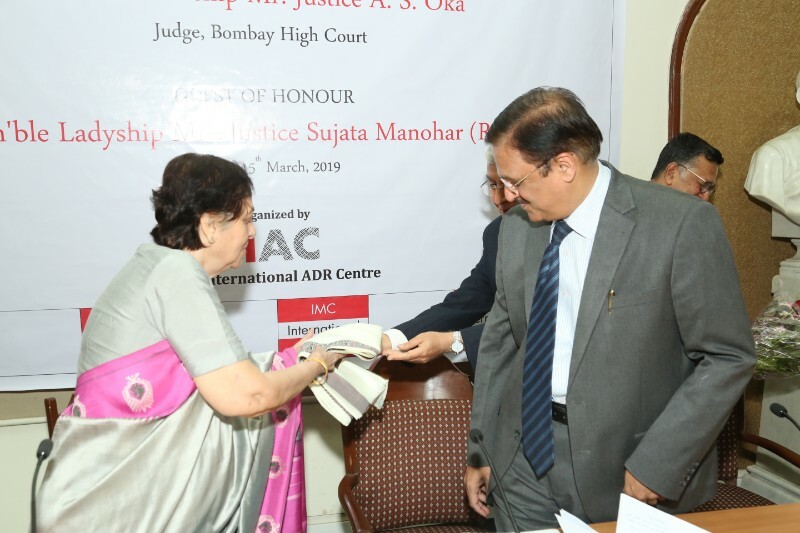 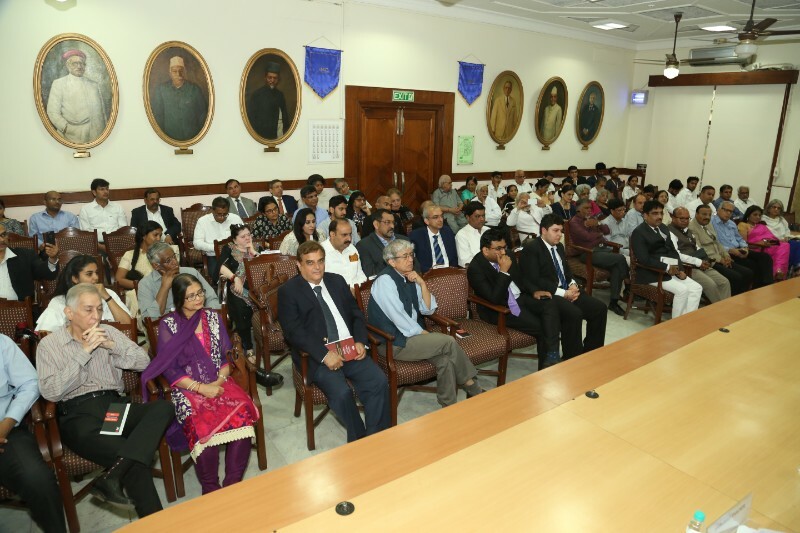 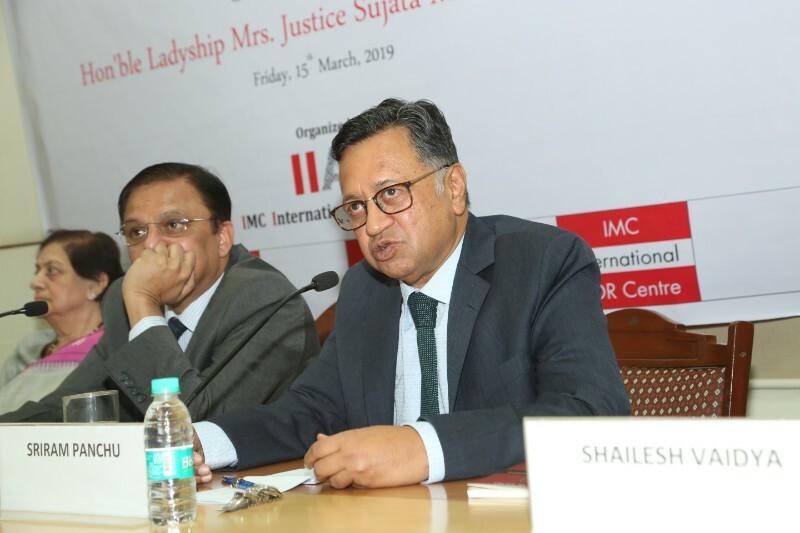 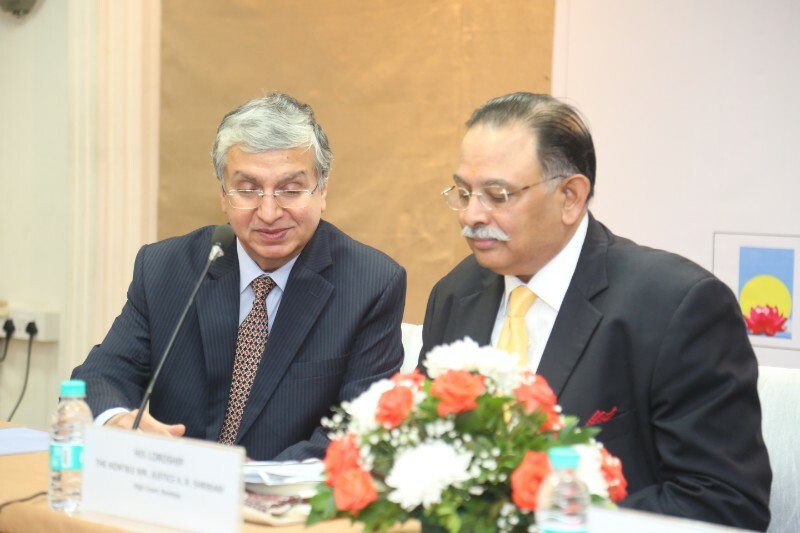 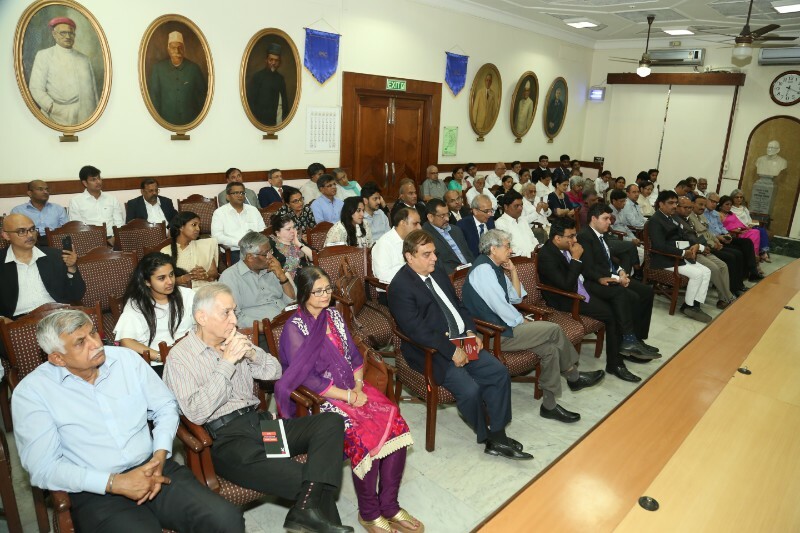 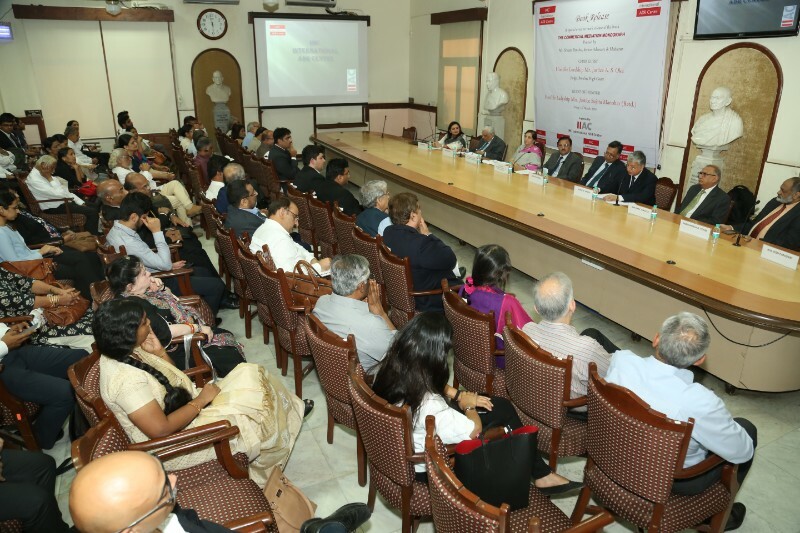 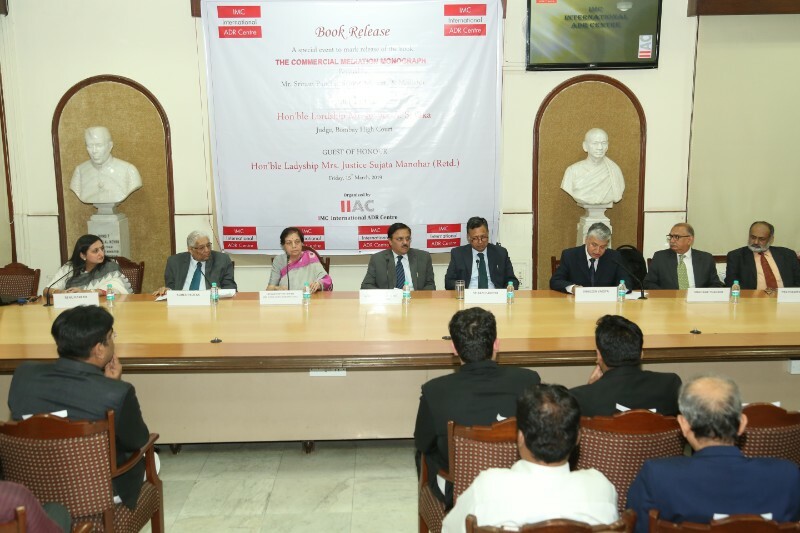 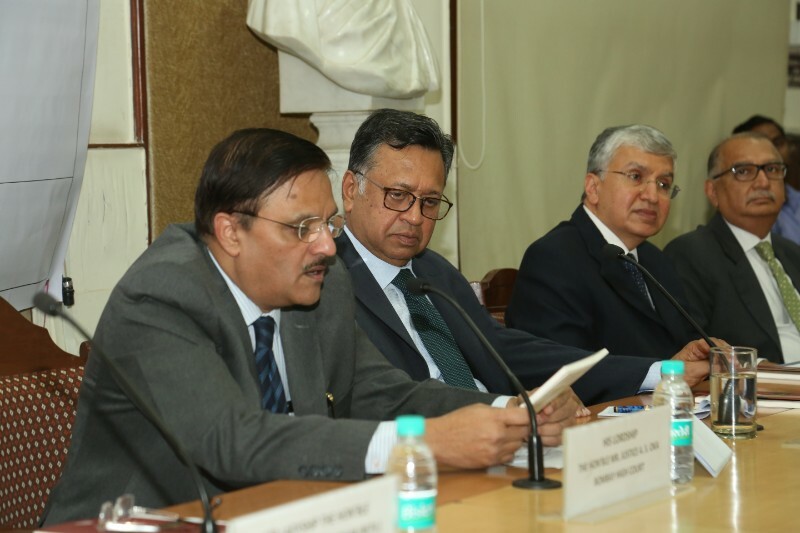 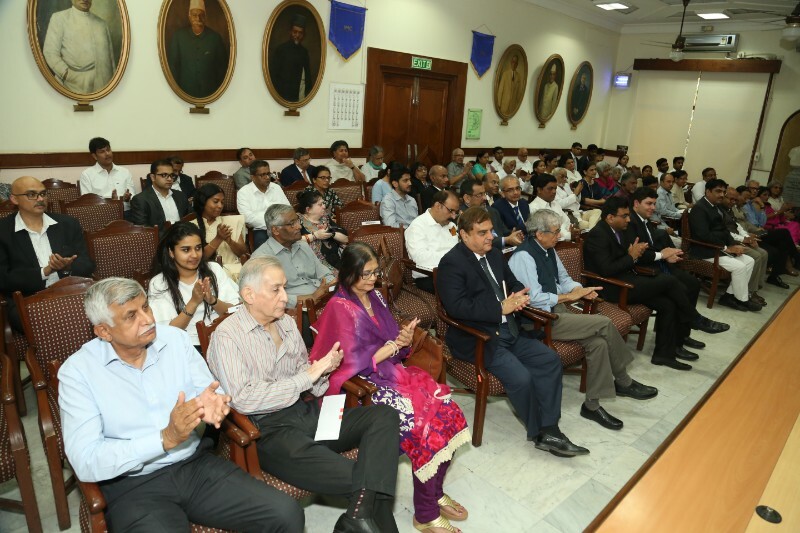 Hon’ble Lordship Justice Sikri spoke in depth and meticulously approached the theme of the event, the program and the various topics designated to each of the speakers. 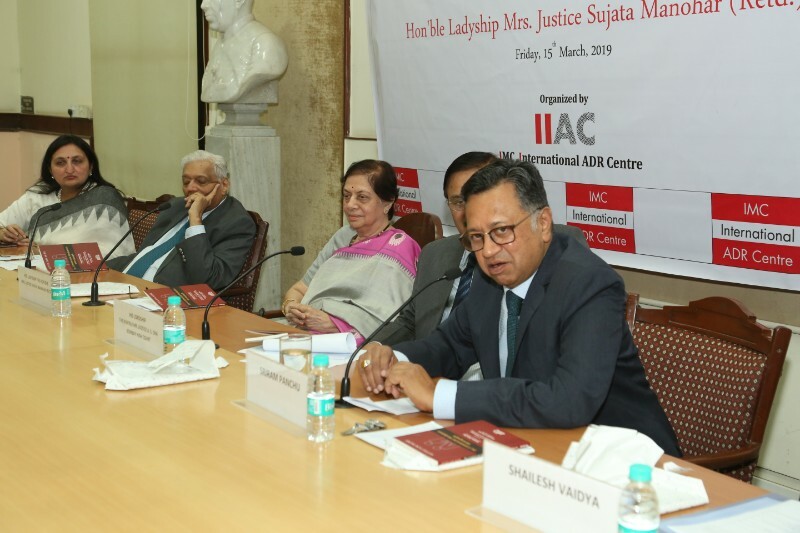 He elucidated different approaches in conducting arbitrations and appointing arbitrators, his observations on the American System during an earlier visit to California, areas where ‘med-arb’ or ‘arb-med-arb’ can be invoked, need for creation of public confidence though the institutional mode etc. 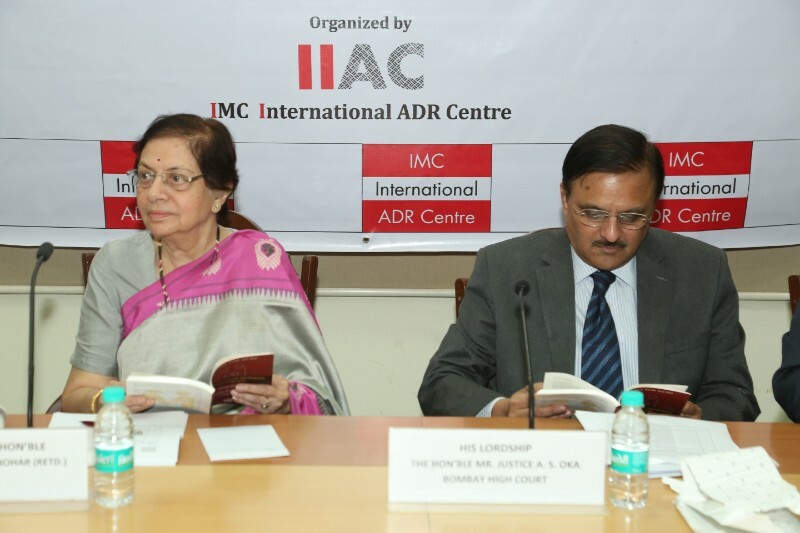 The Hon’ble Lordship summed up stating that Institutional ADR (as adopted in most other countries) will be the way forward. 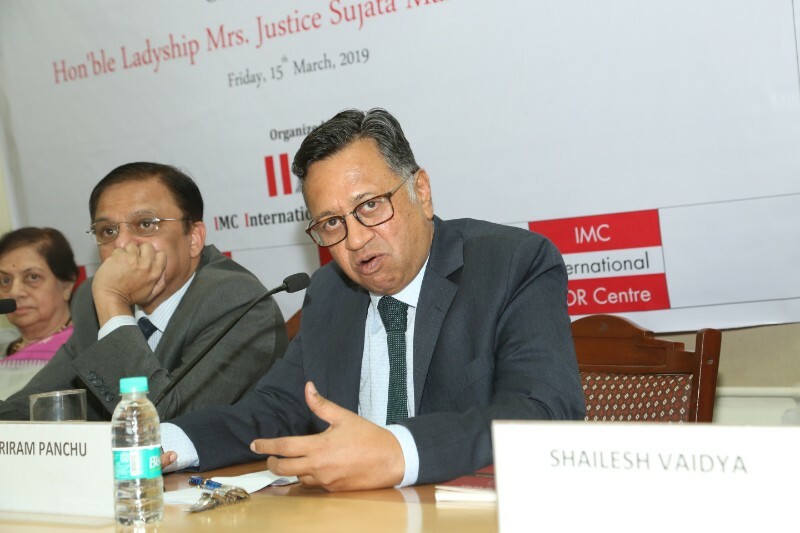 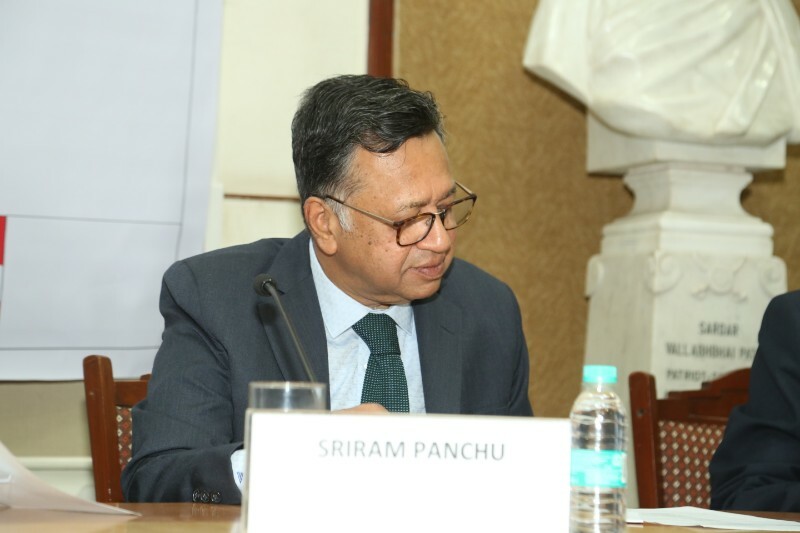 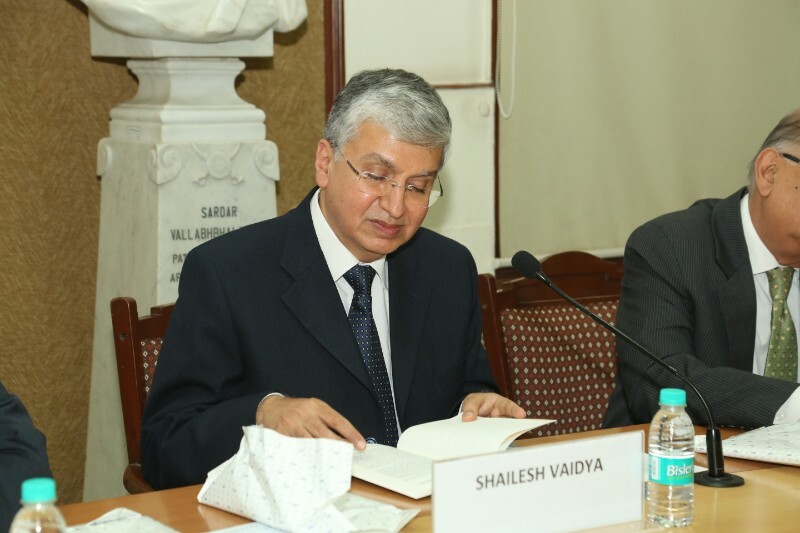 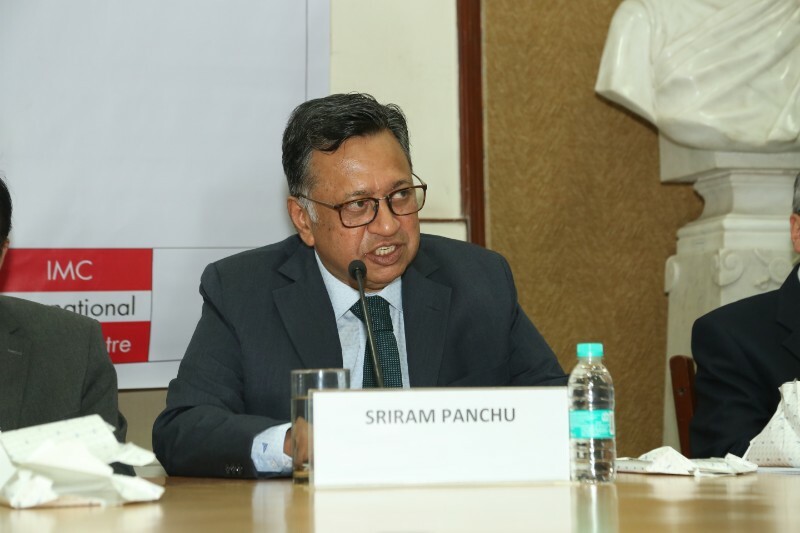 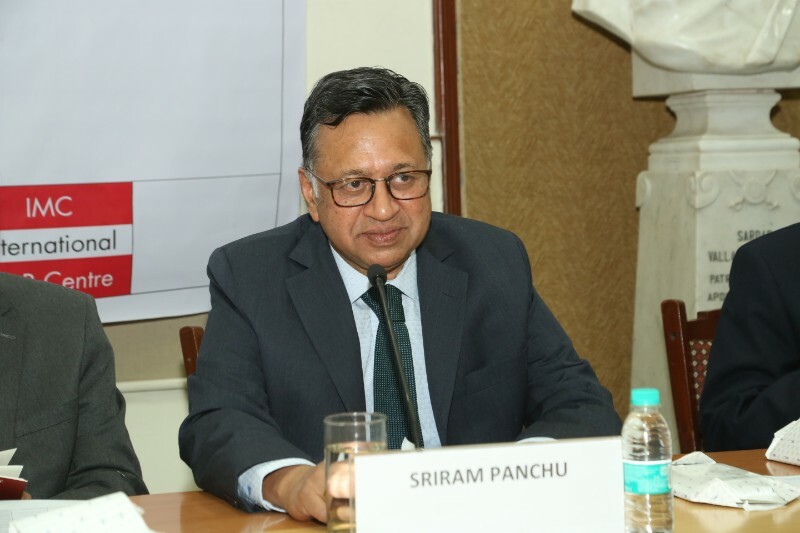 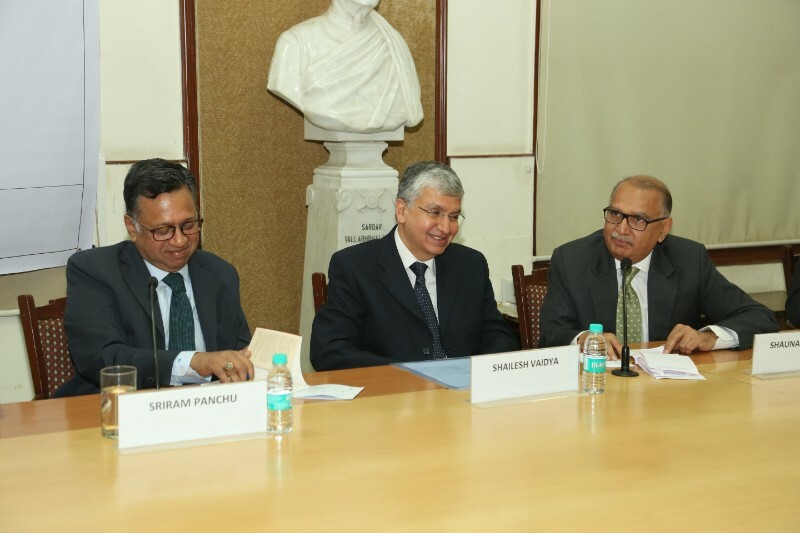 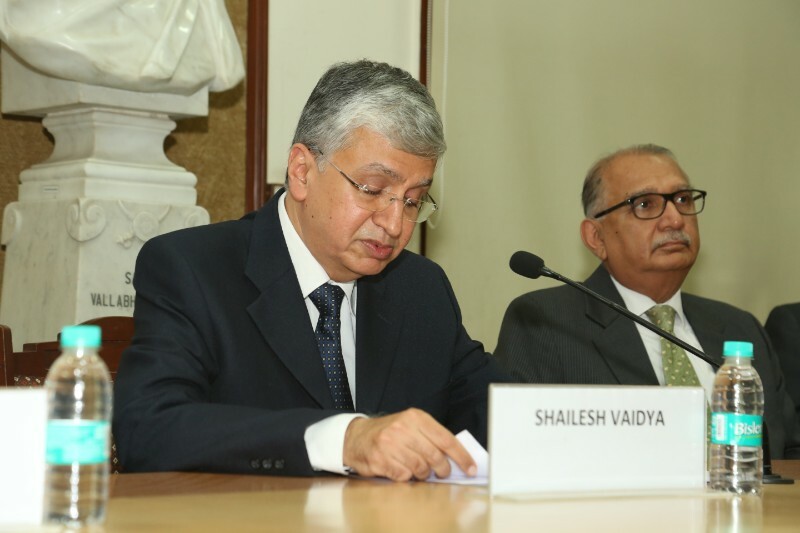 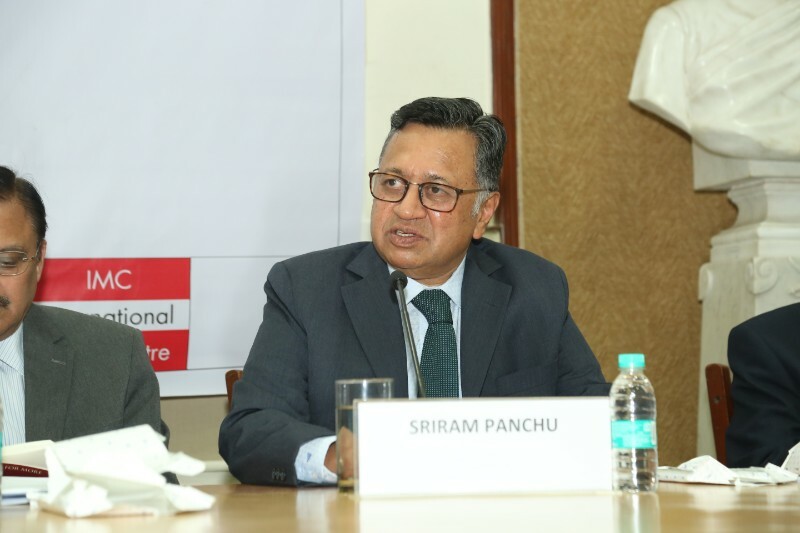 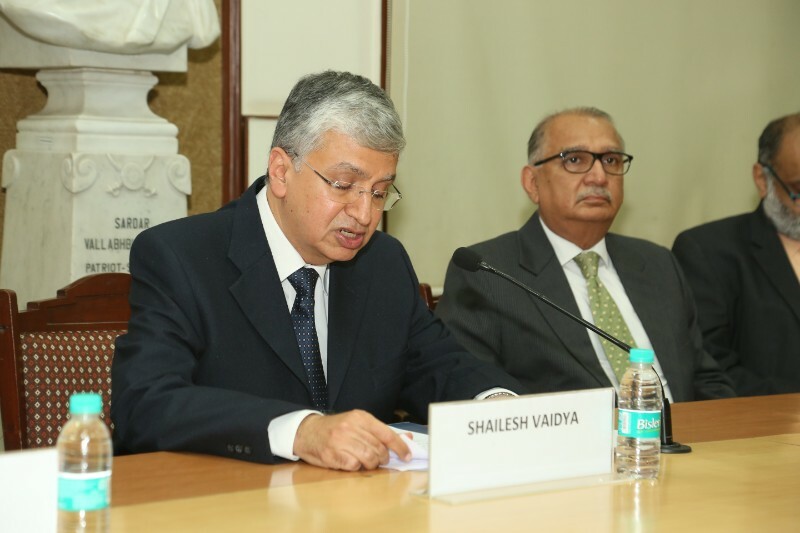 Counsel Mr. Anant Shende than spoke at length on the various ways of conducing the arbitral process in an efficacious manner and also shared his views on the manner in which tribunals should be appointed. 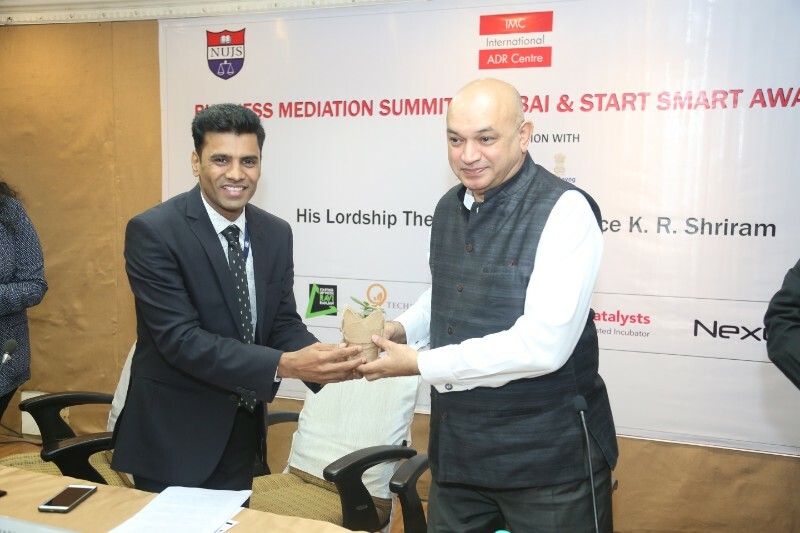 Mediator, Mr. Prathamesh D. Popat, sharing his valuable insights and practical experiences demystified the concepts of ‘med-arb’ or ‘arb-med-arb’, significance of appointing an independent and not a biased Neutral and confirming that much more work needs to be done in this arena. 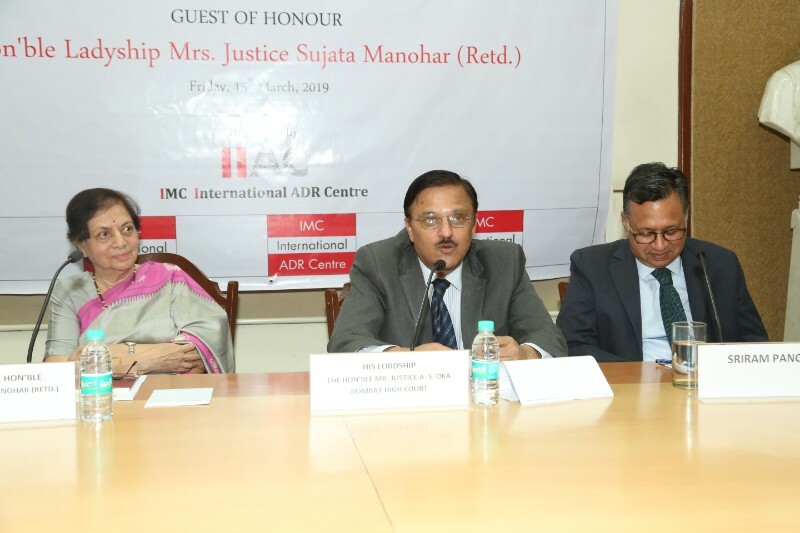 The panel discussion moderated by Mr. Shaunak Thacker on “Cost Effective ADR” revolved around the manner in which time and costs can be saved in an arbitration proceeding, need to identify the concerns early on, incorporating the ‘right’ clause in agreements etc. 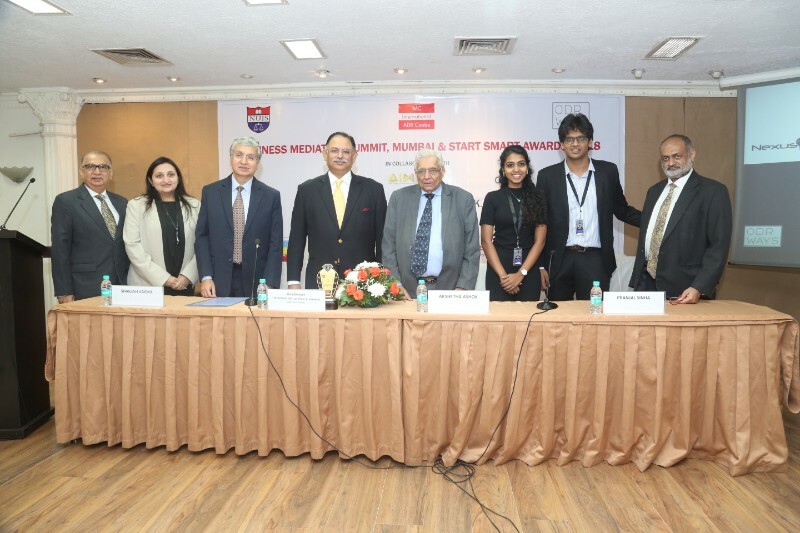 with each Panelist bringing their varied experiences to the table for discussions. 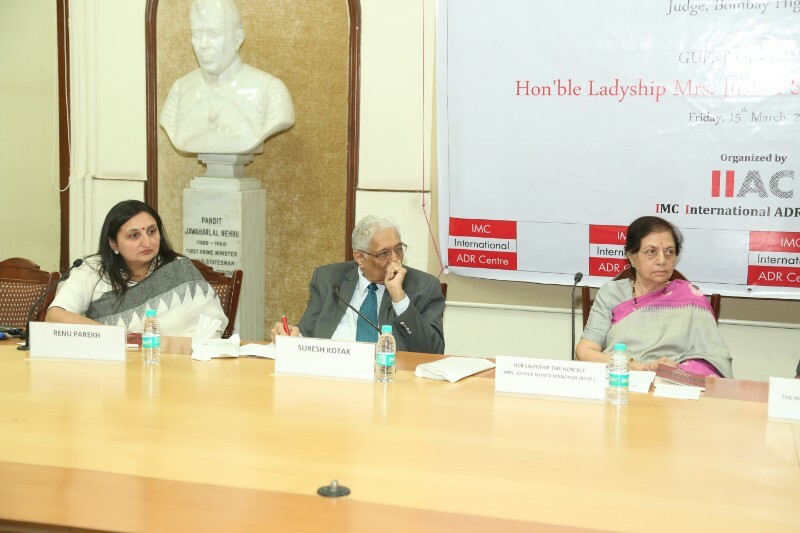 Panelists Mr. Amitava Majumdar, Ms. Kamna Sarkar, Ms. Sonali Mathur and Ms. Rhia Marshall Banerjee joined by Mr. Anant Shende further elaborated their views during the interactive session. 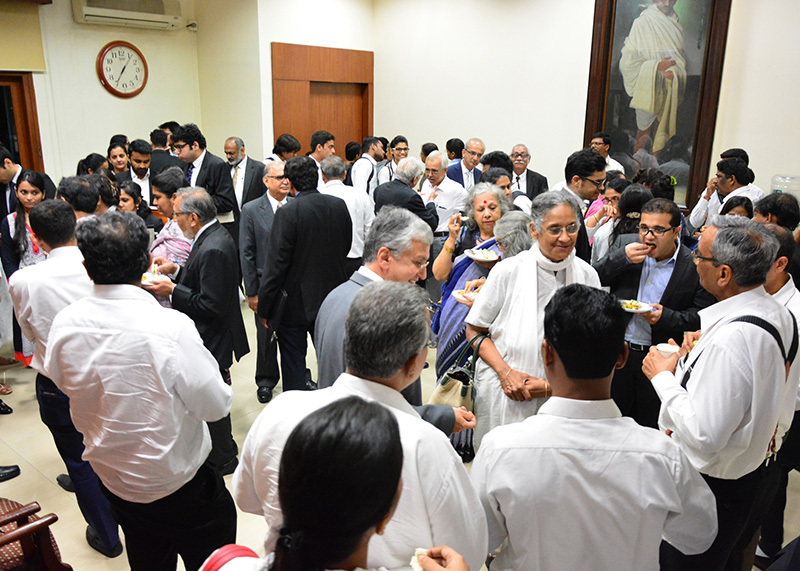 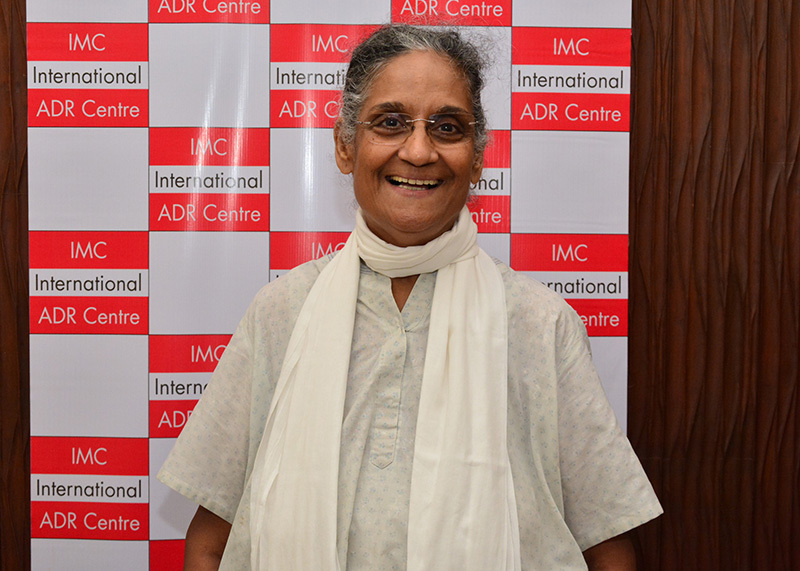 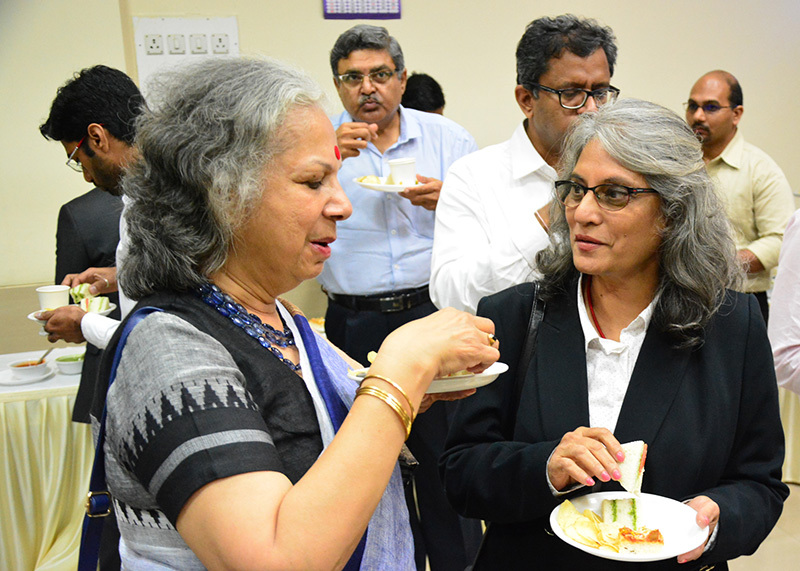 The seminar concluded with a vote of thanks by Ms. Renu Parekh and a networking lunch. 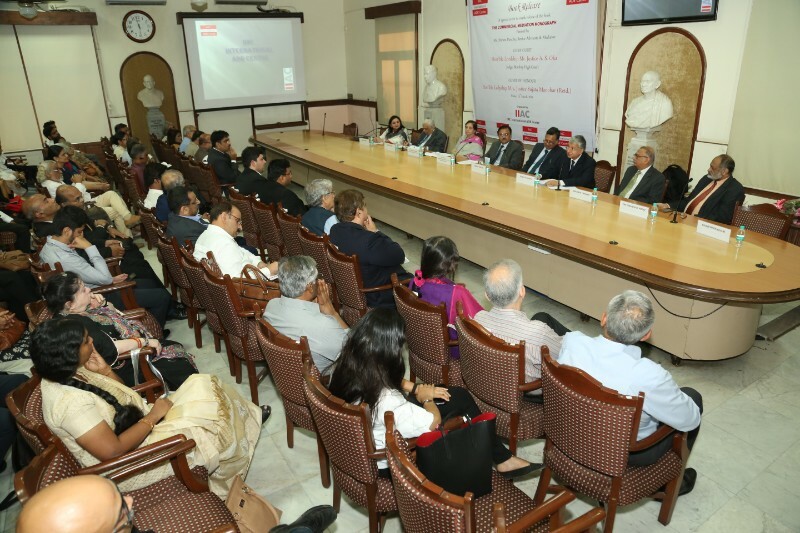 For few memories of the event and details of the program held please click here. 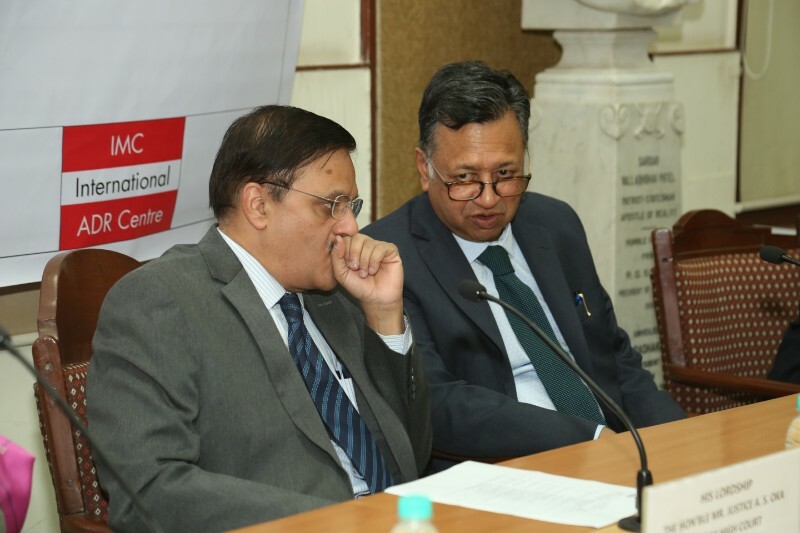 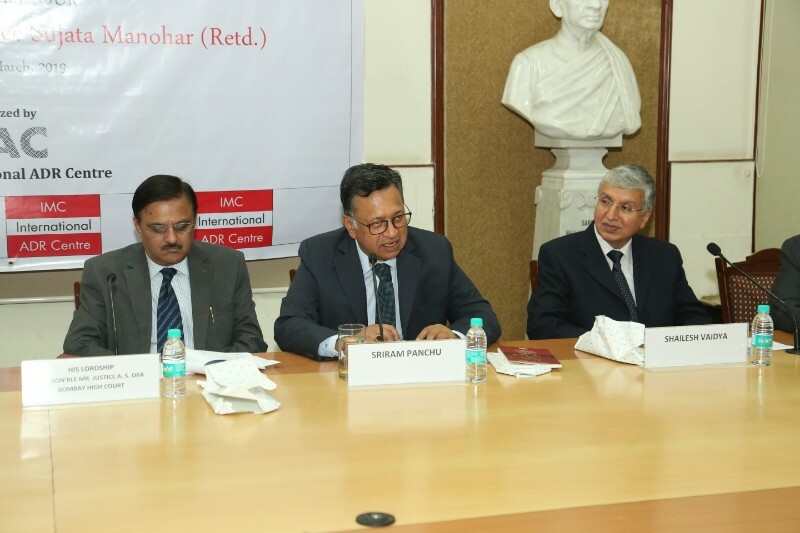 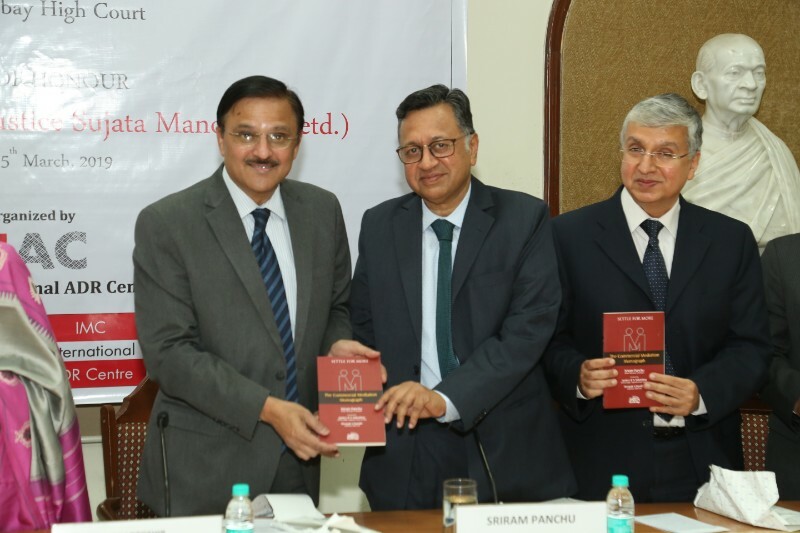 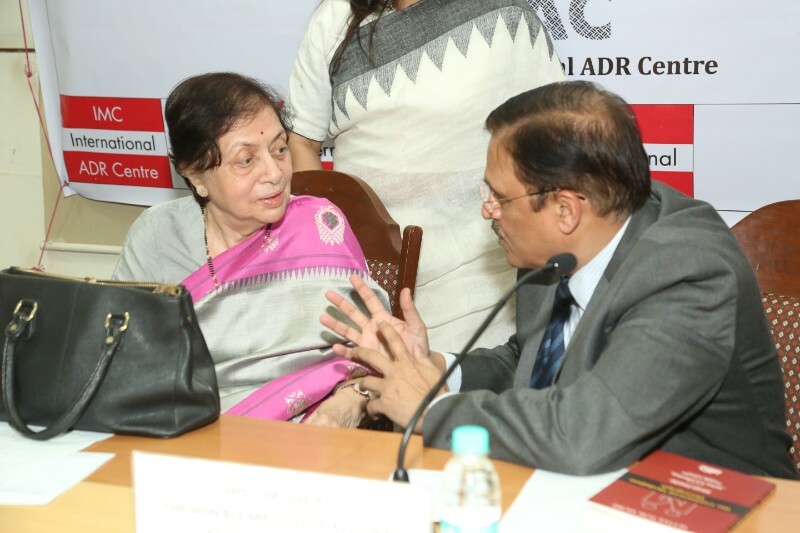 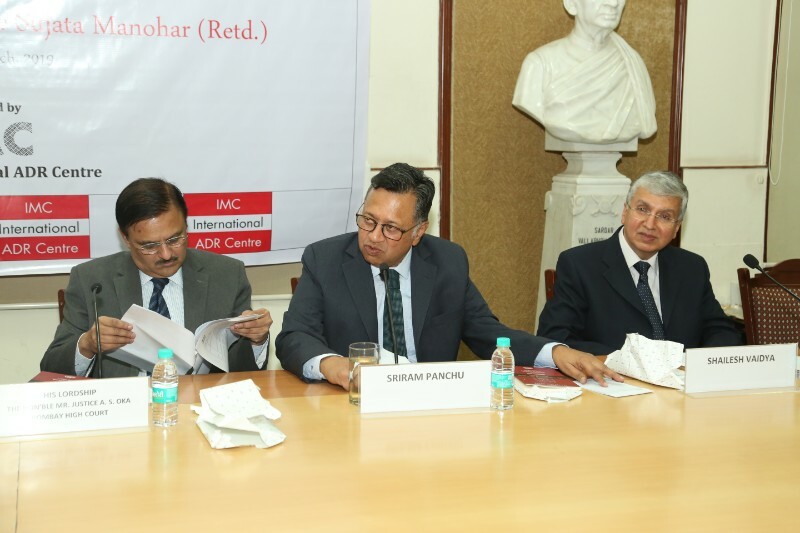 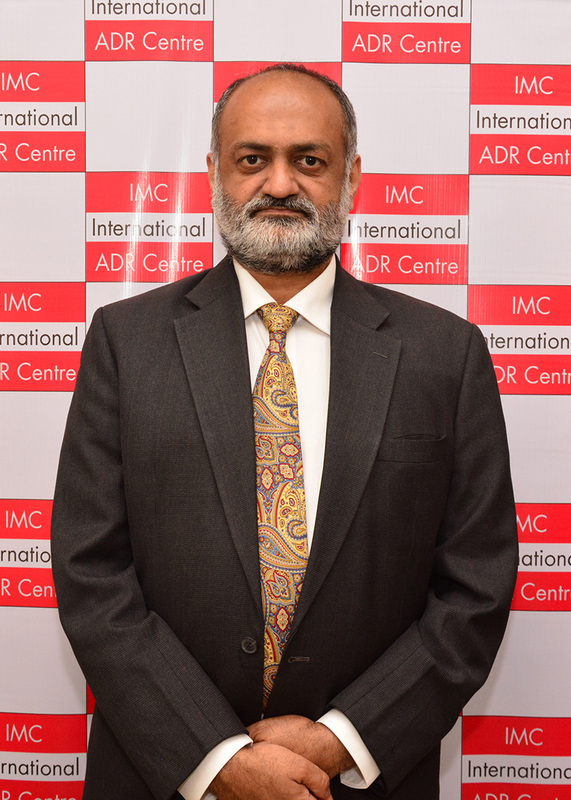 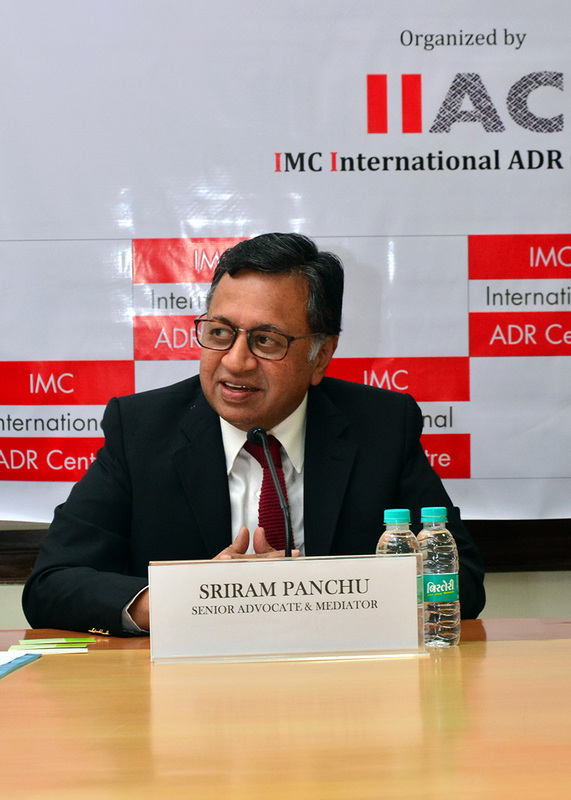 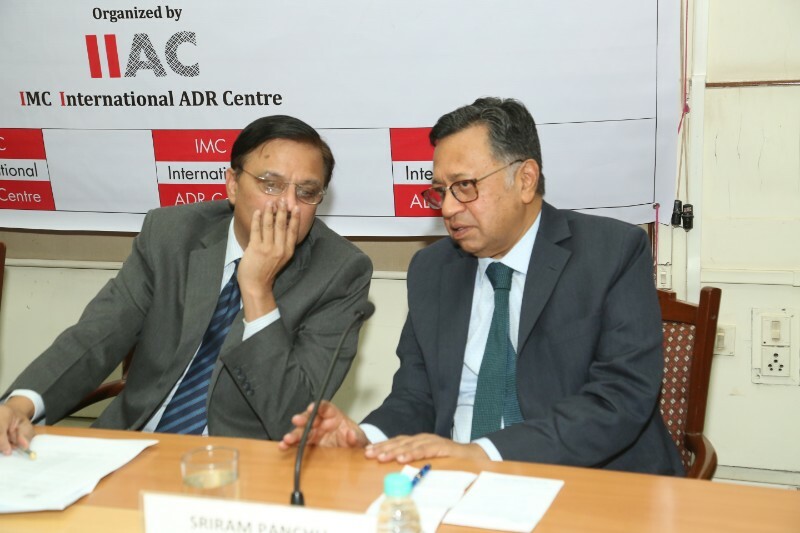 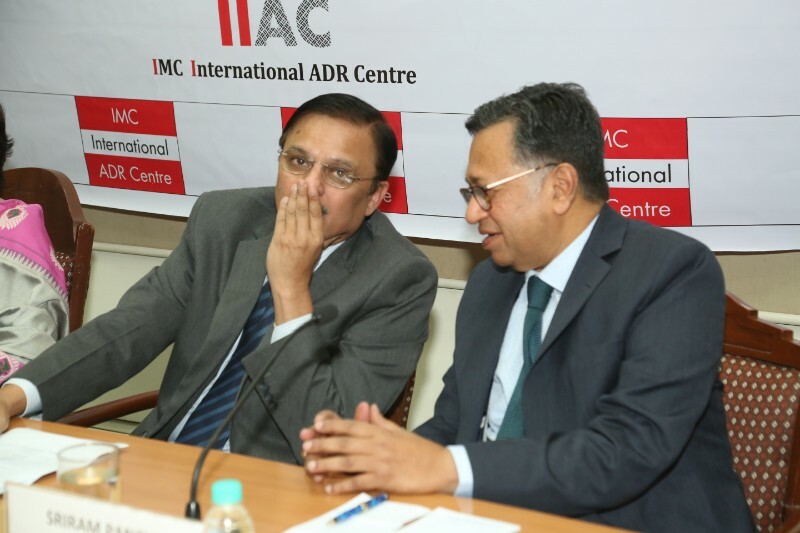 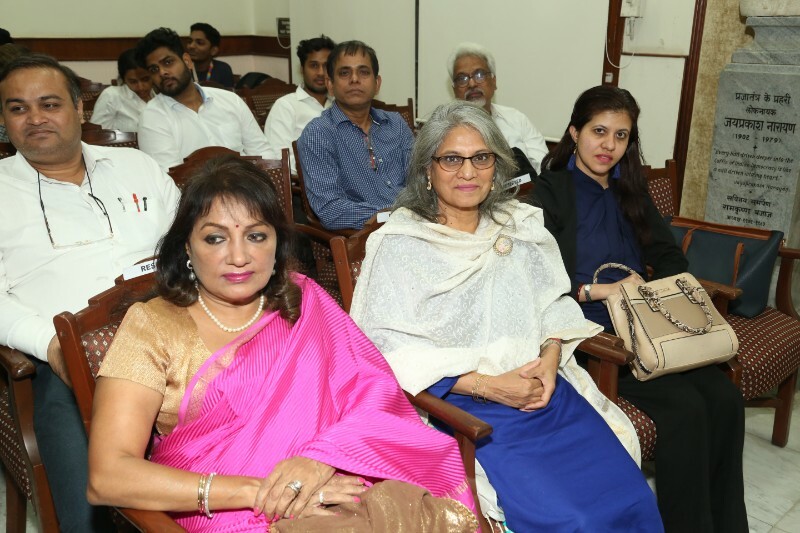 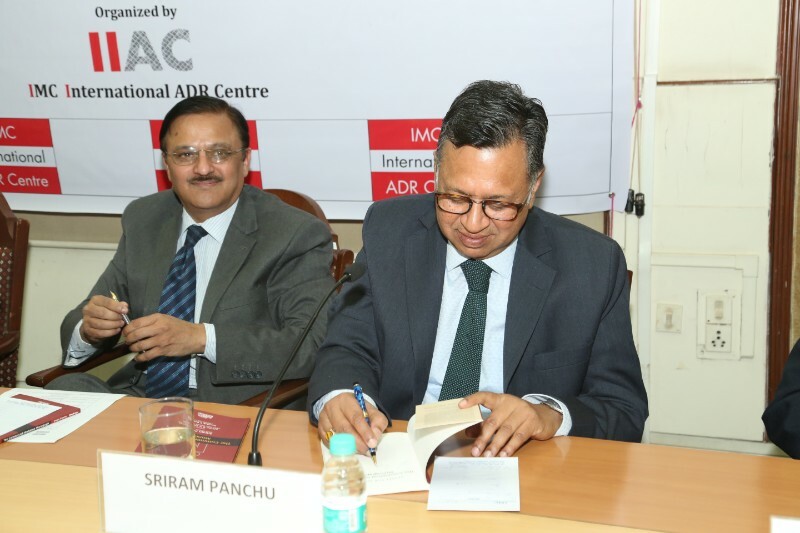 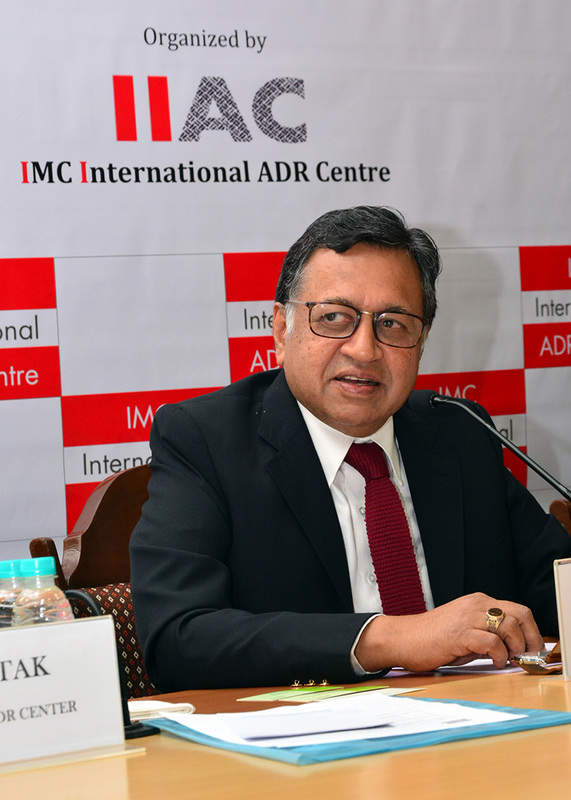 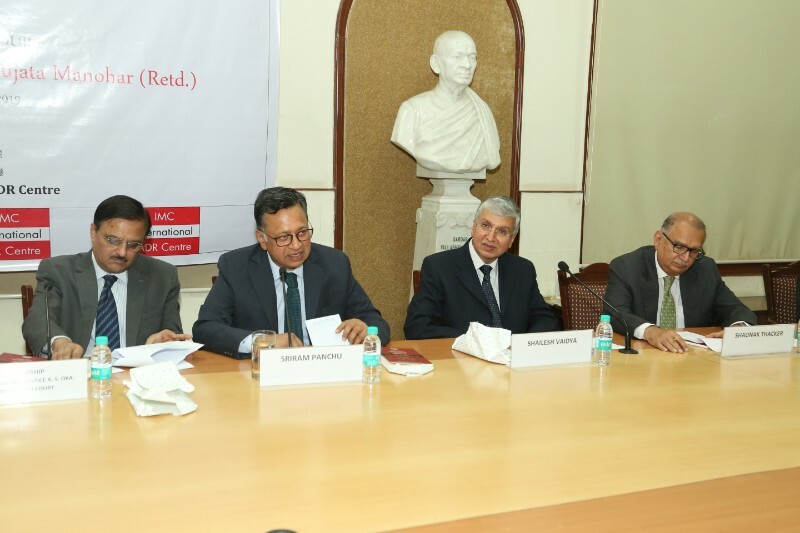 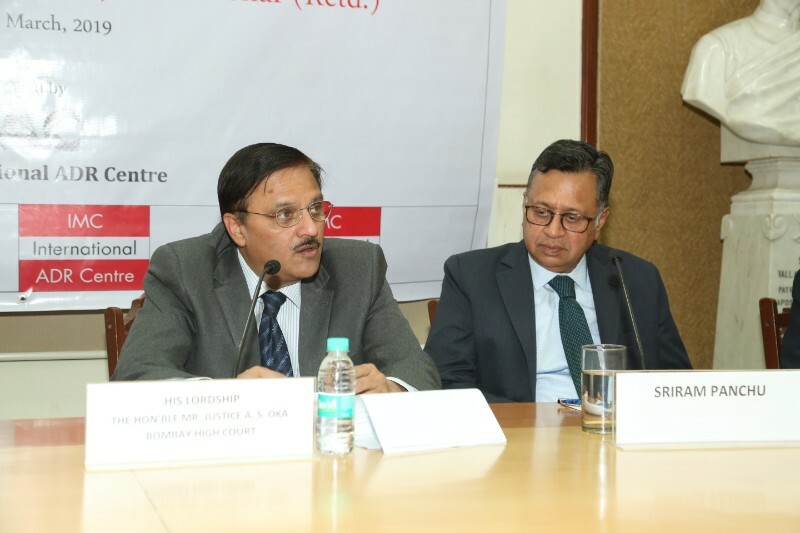 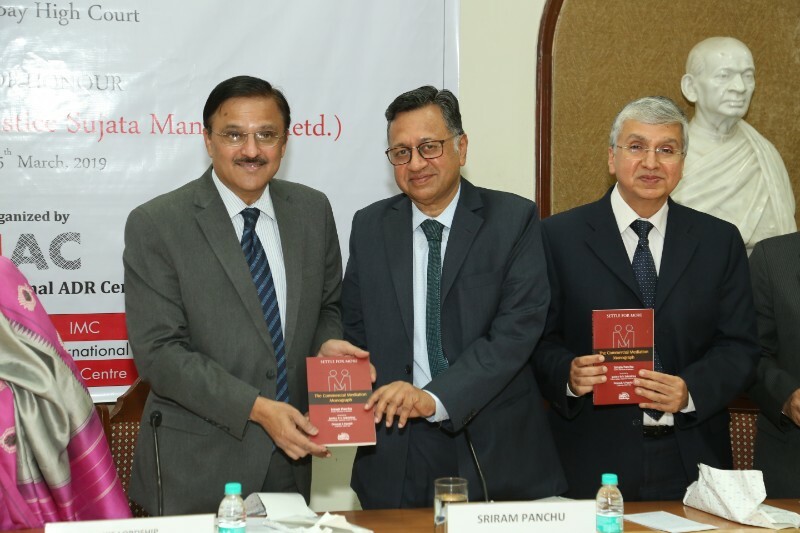 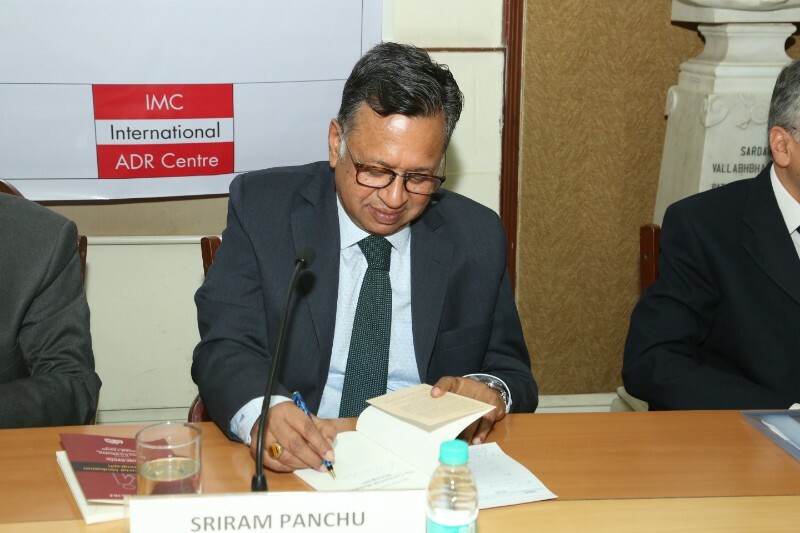 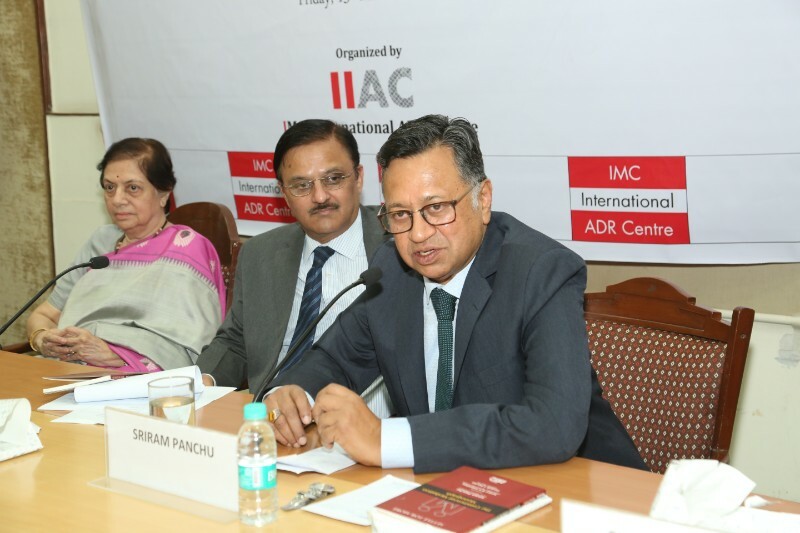 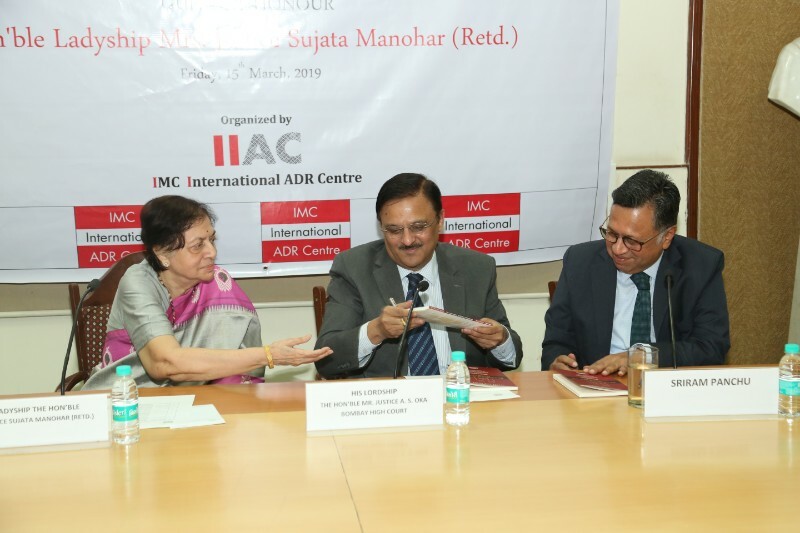 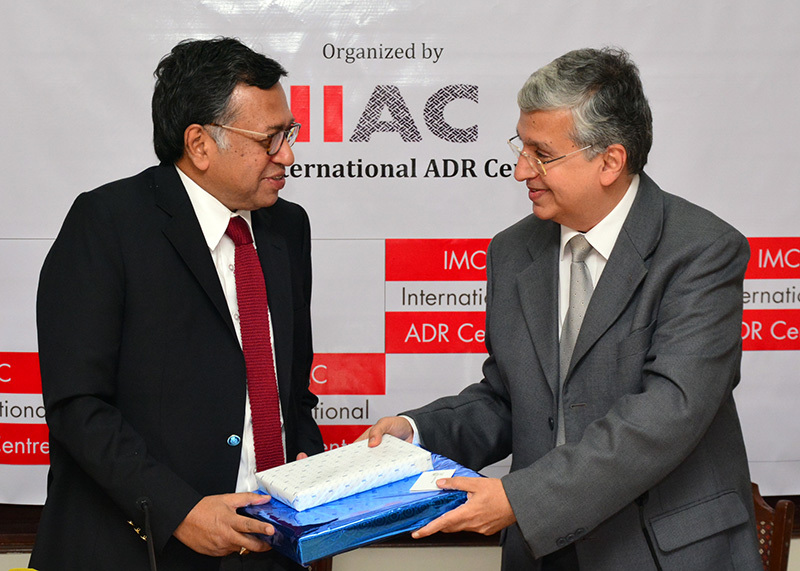 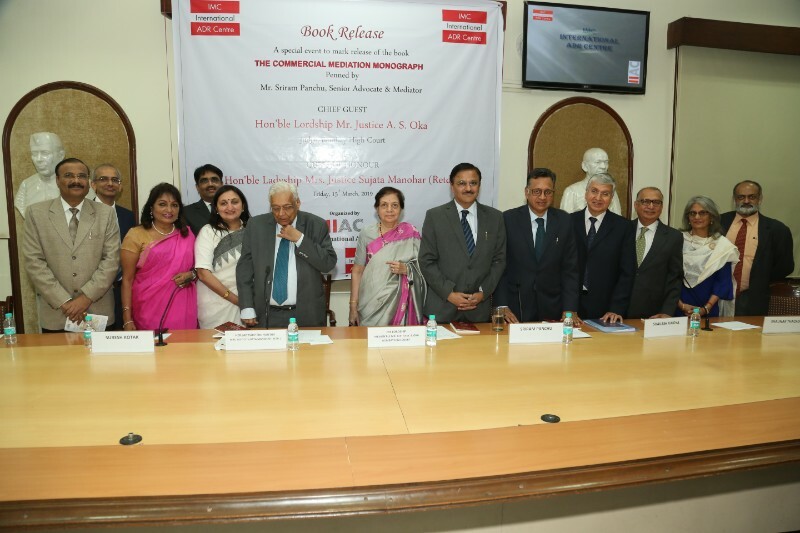 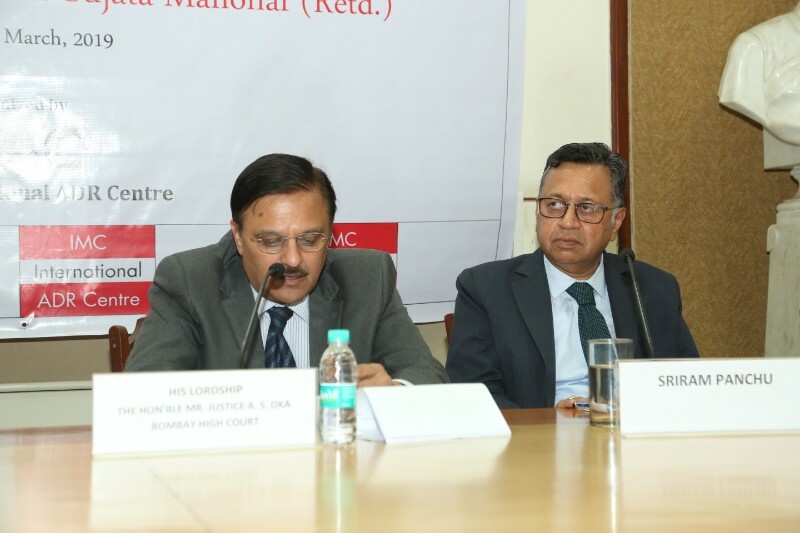 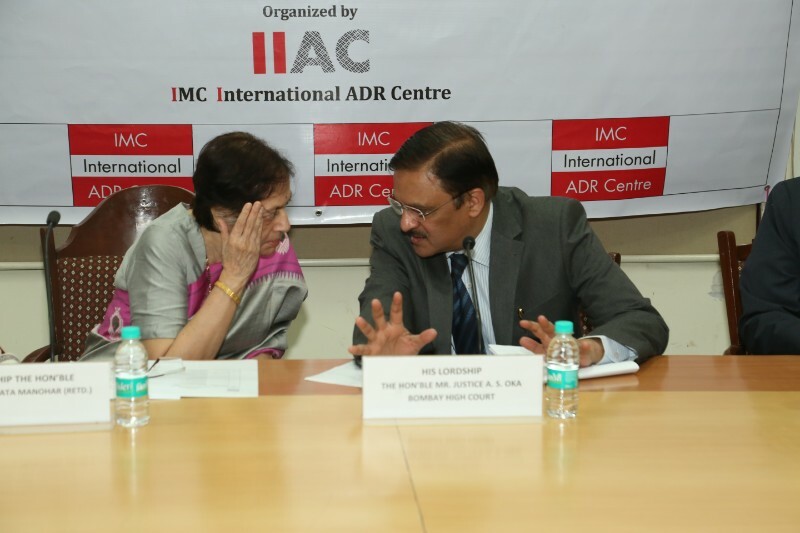 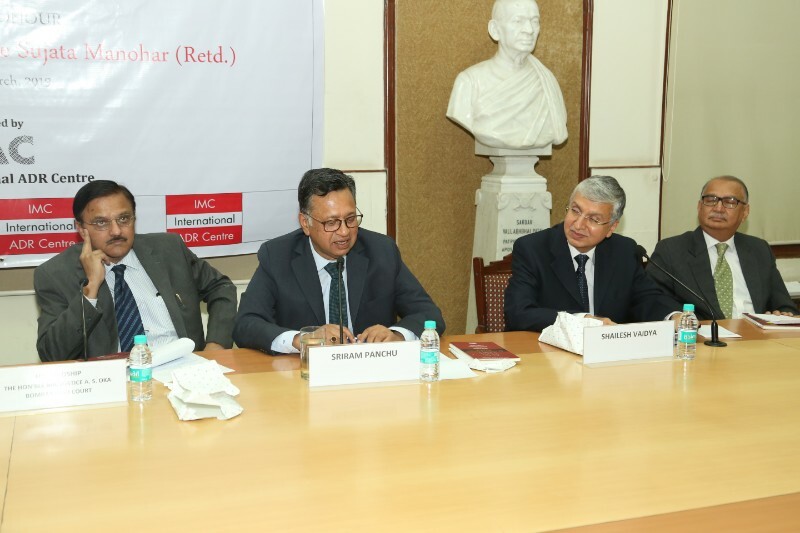 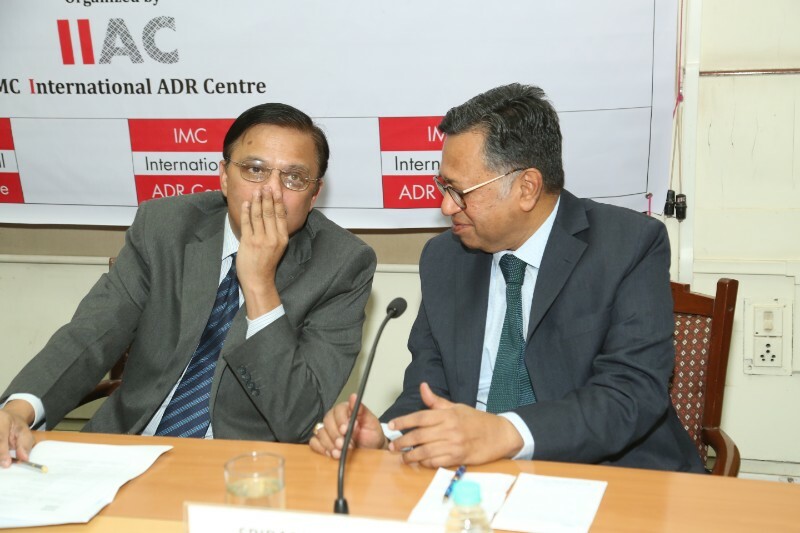 IMC International ADR Centre (IIAC) organised a Seminar on ‘Invoking Arbitration –Essential Facets & Important Aspects of Arbitration Agreement’ with a view to equip participants with effective usage of arbitration processes. 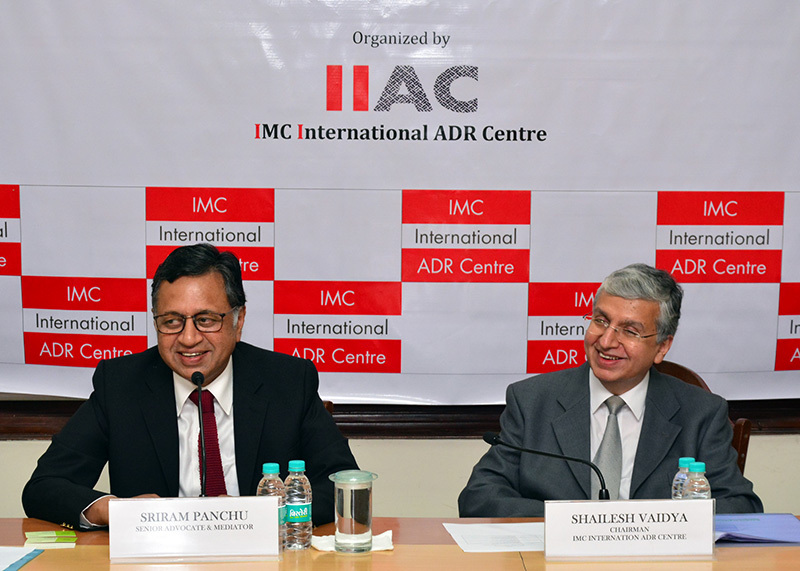 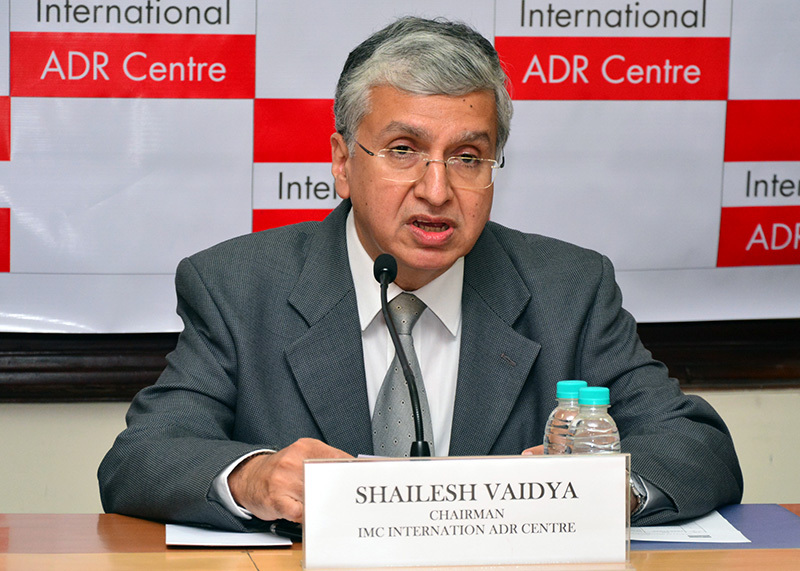 Seminar commenced with welcome remarks by IIAC Chairman, Mr. Shailesh Vaidya and the role of IIAC in the field of ADR and unfolded the theme of the seminar. 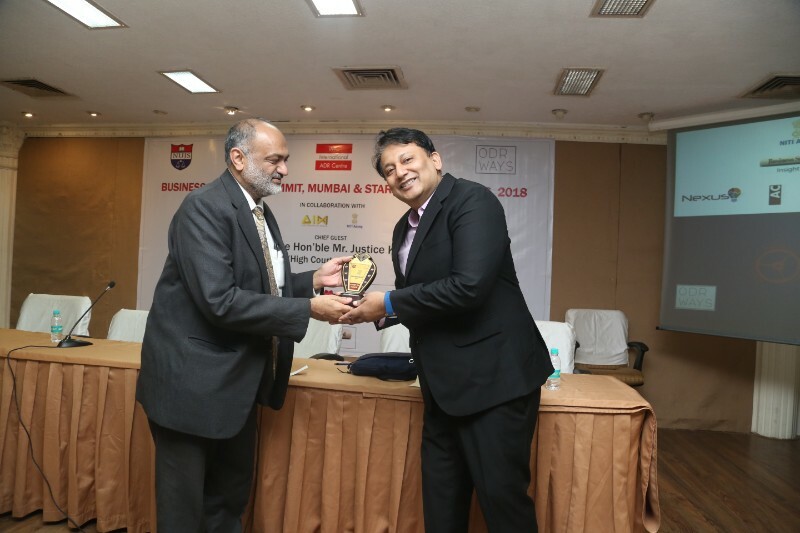 Mr. Jatin Pore, Partner, DSK Legal gave an insightful presentation on “Important Aspects of Arbitration Agreement” setting out in detail requisites which need to be considered whilst drafting an arbitration clause. 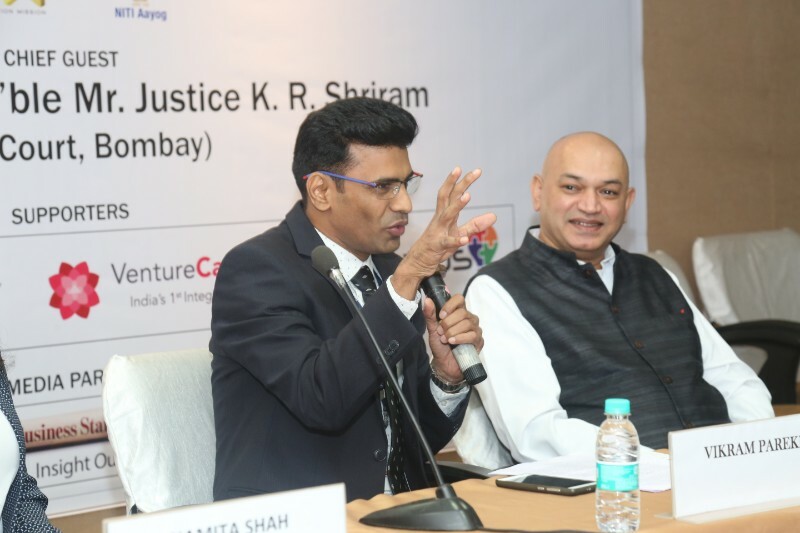 This was followed by another comprehensive presentation by Mr. Raj Panchmatia, Partner, Khaitan & Co. on “Invoking Arbitration, Essential Facets”. 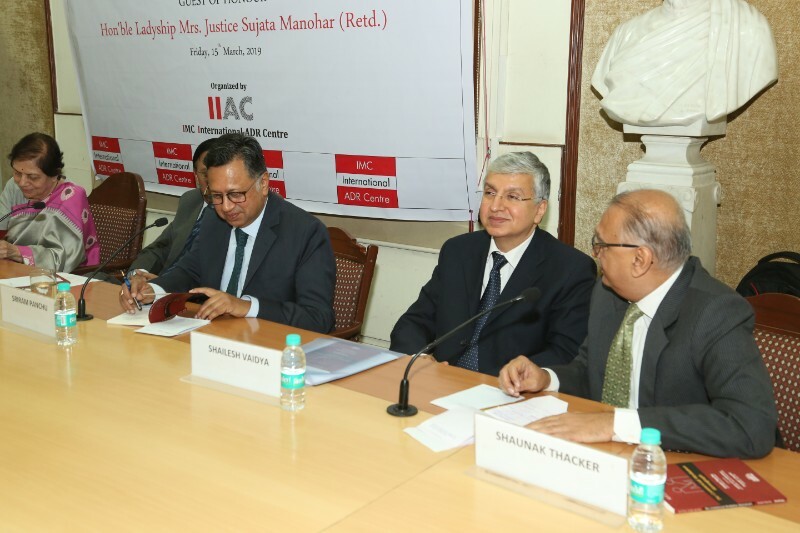 Under the topic, Mr. Raj Panchmatia covered in detail issues such as seat of arbitration, language etc, and highlighted how IIAC’s CAP 16 Rules covers these advantageously. 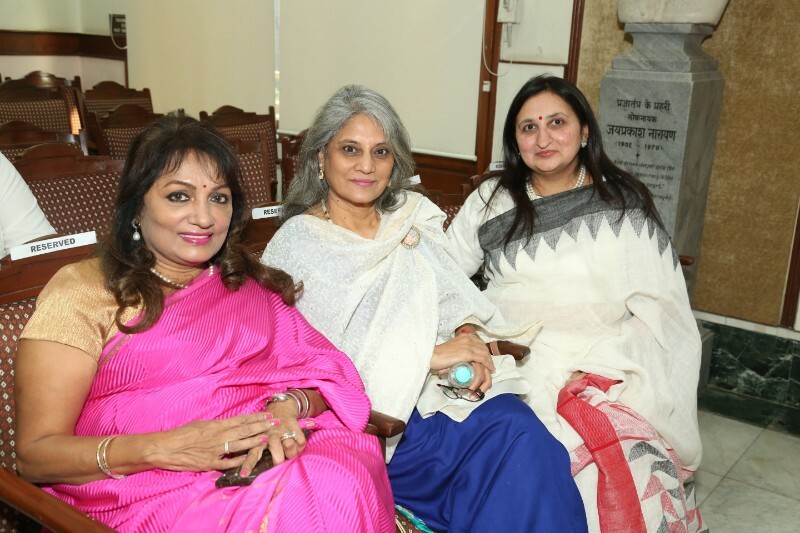 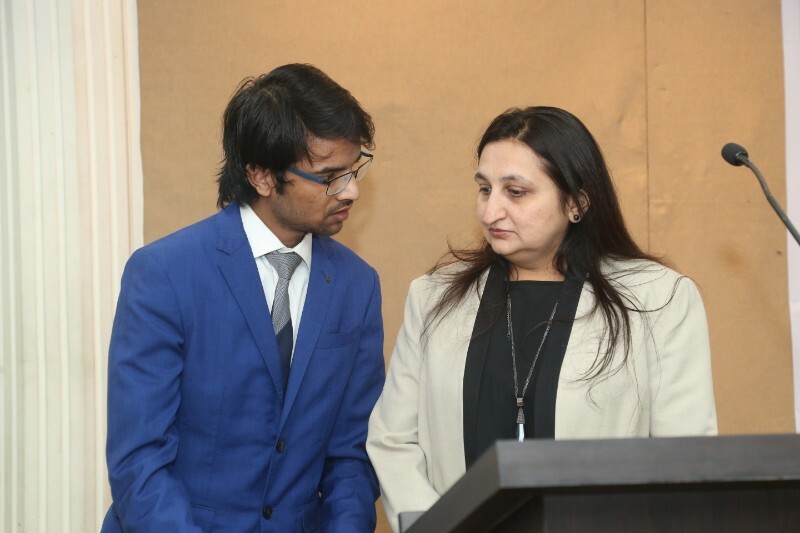 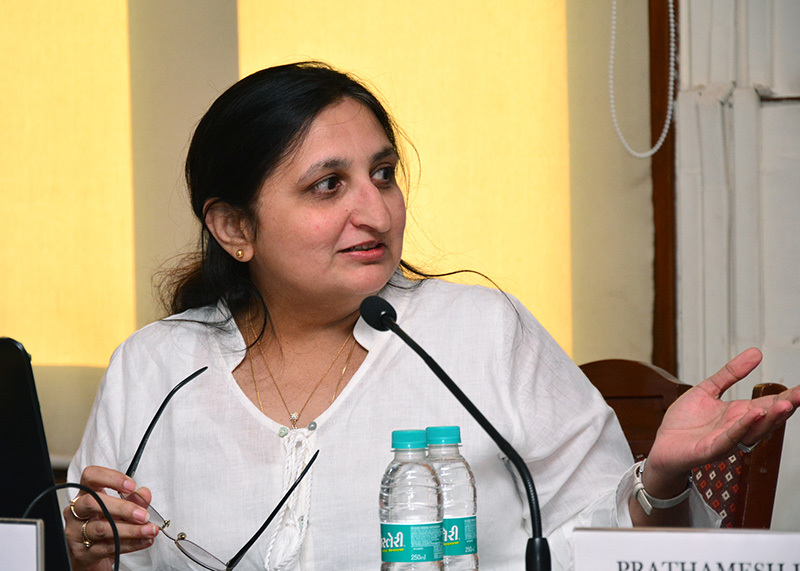 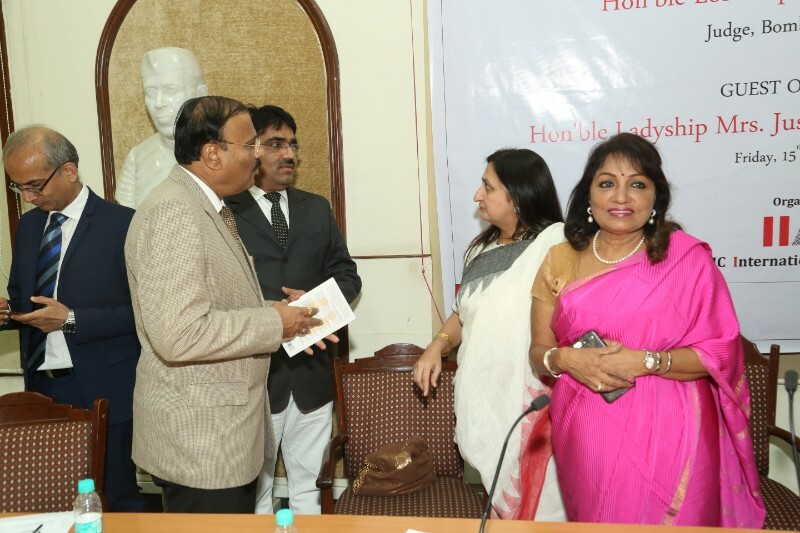 An interactive session moderated by Ms. Renu Parekh followed and questions were put forth to each of speakers. 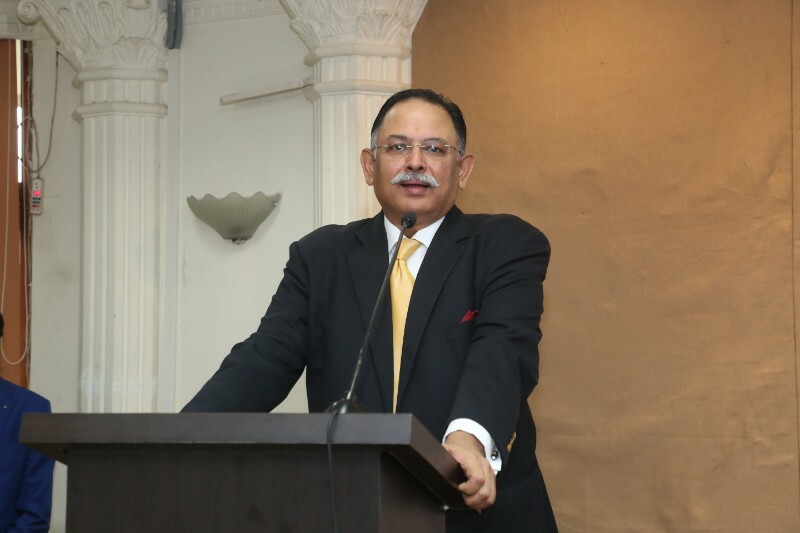 Mr. Shaunak Thakkar, Chairman, Law & Justice Committee of IMC Chamber & Industry gave concluding remarks and proposed vote of thanks. 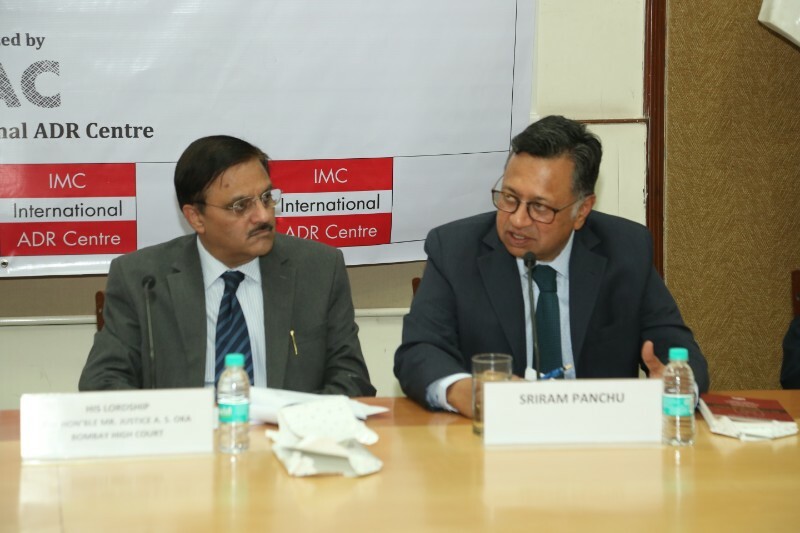 IMC Chamber of Commerce and Industry organized a Seminar on Challenges to, Enforcement And Execution of Arbitral Awards. 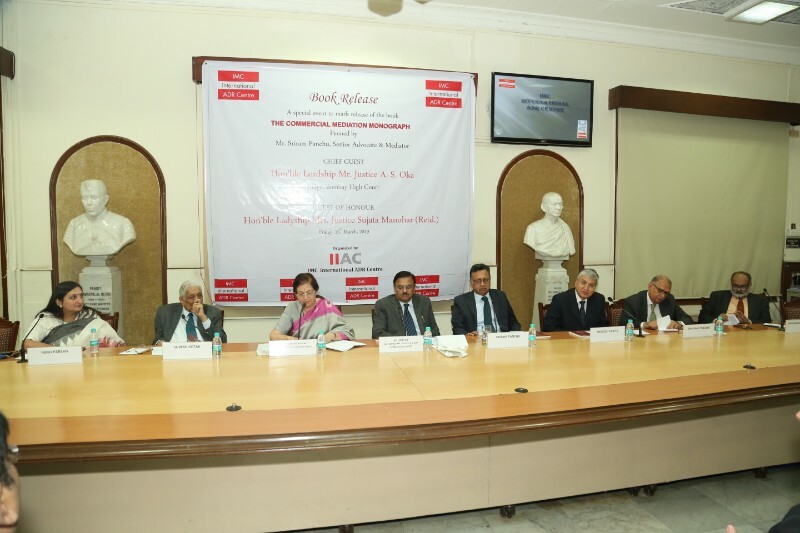 The Event was supported by IIAC. 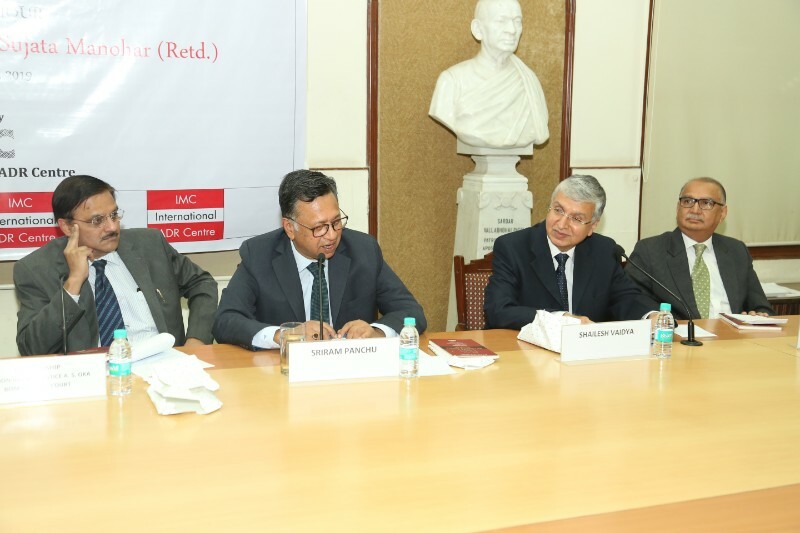 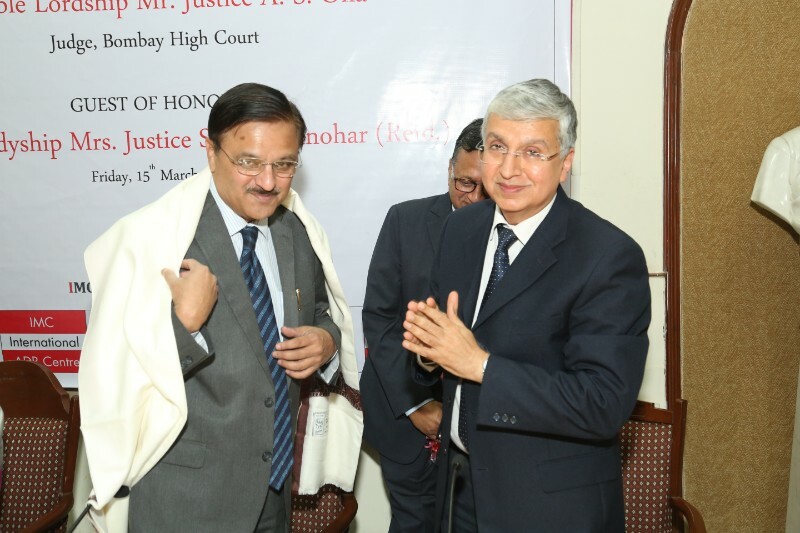 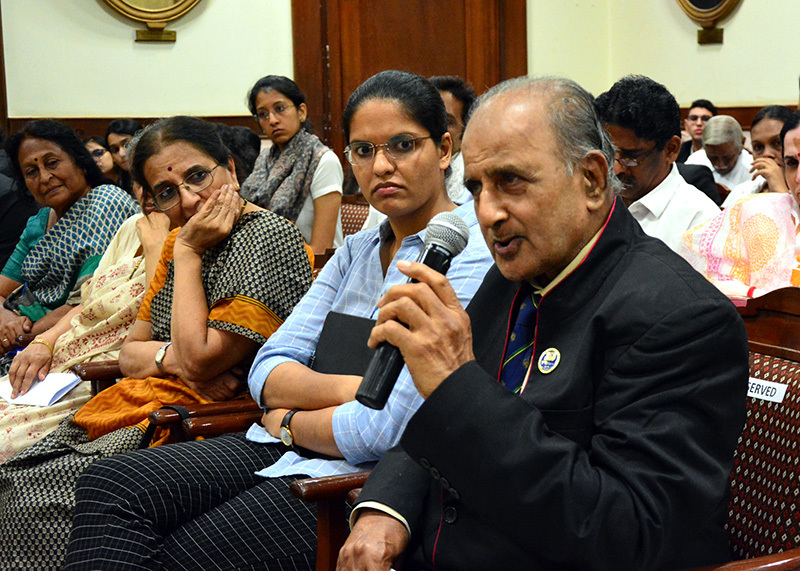 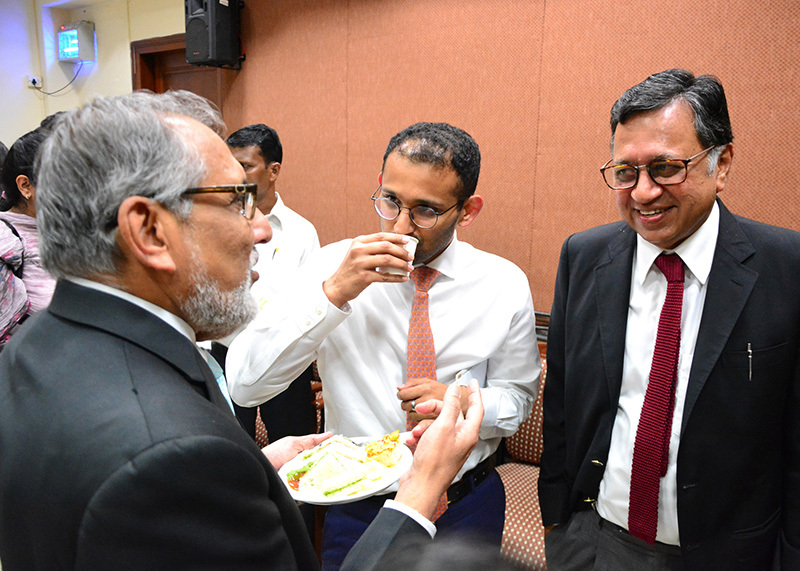 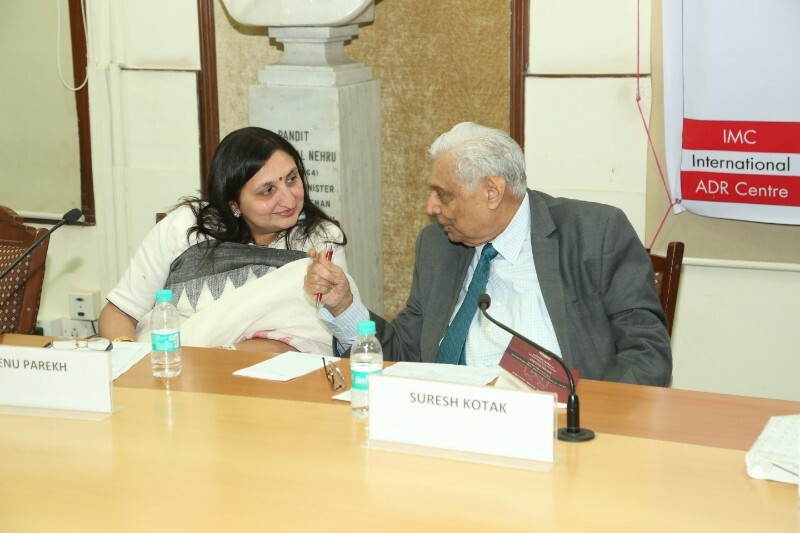 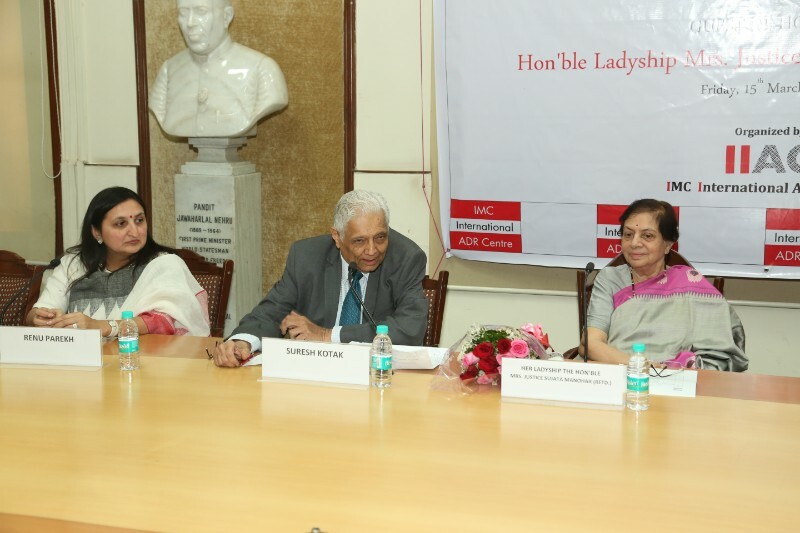 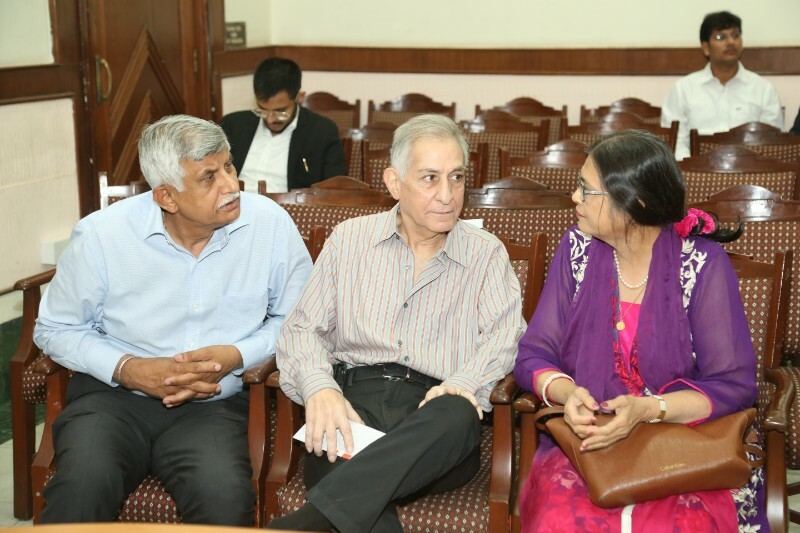 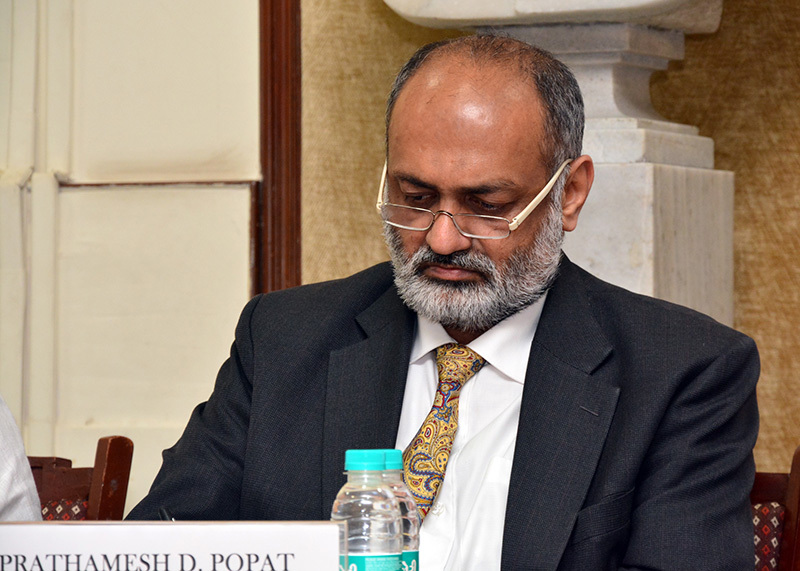 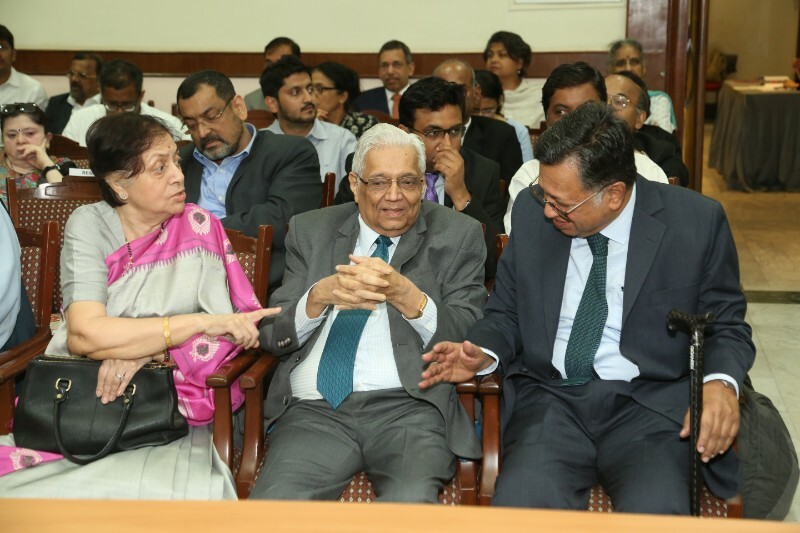 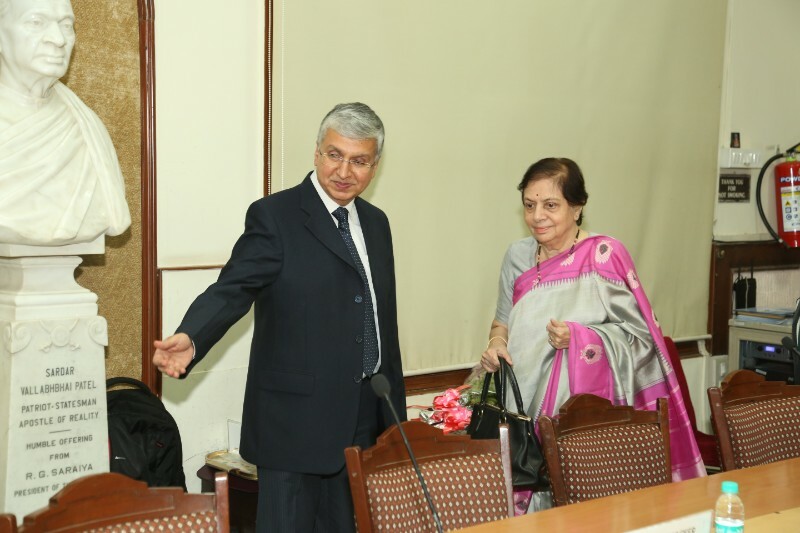 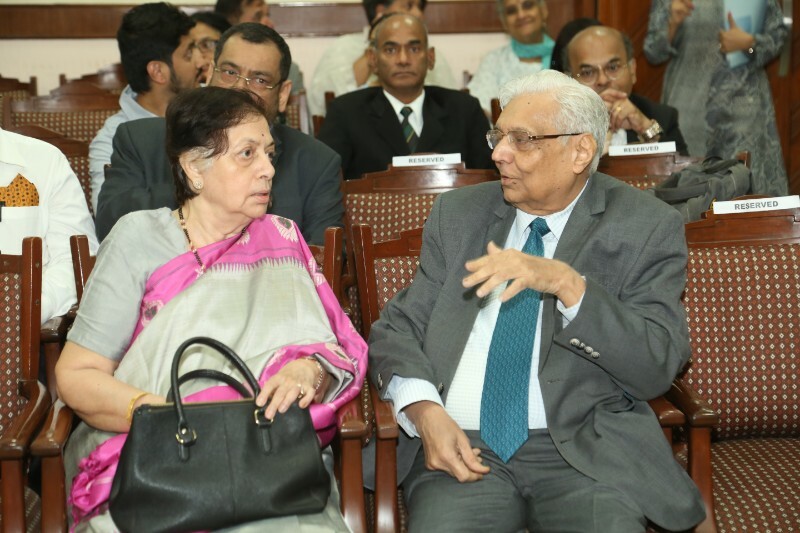 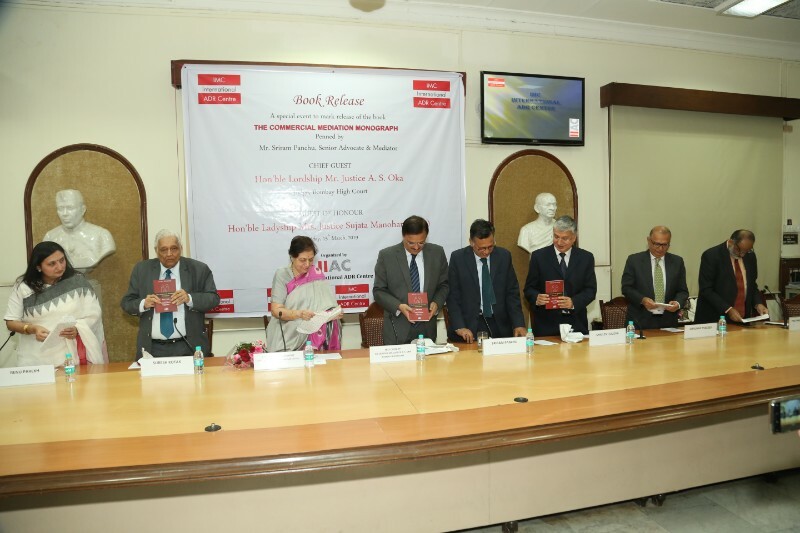 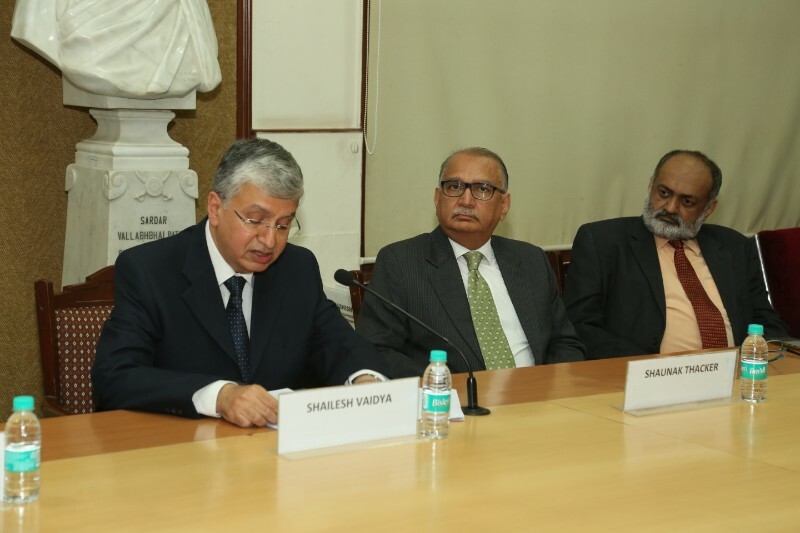 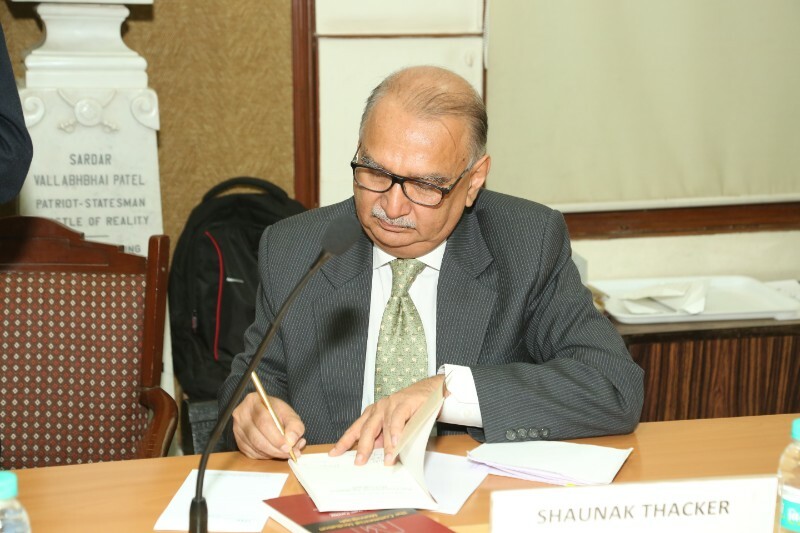 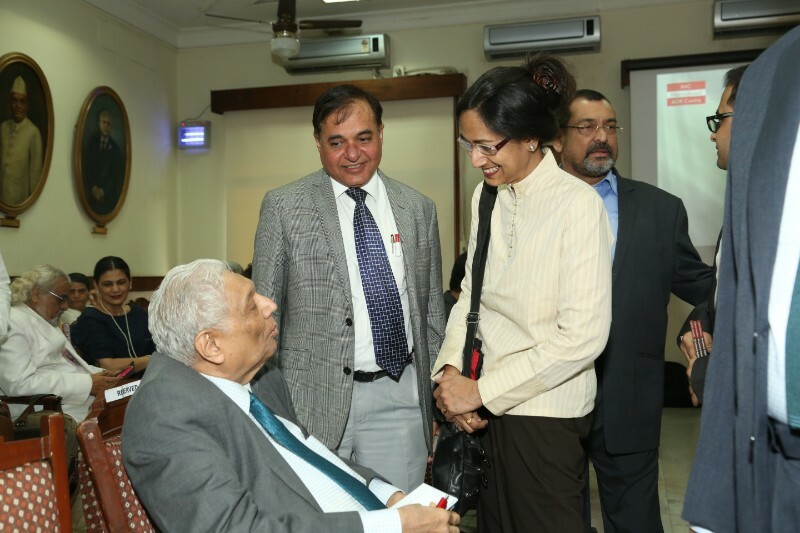 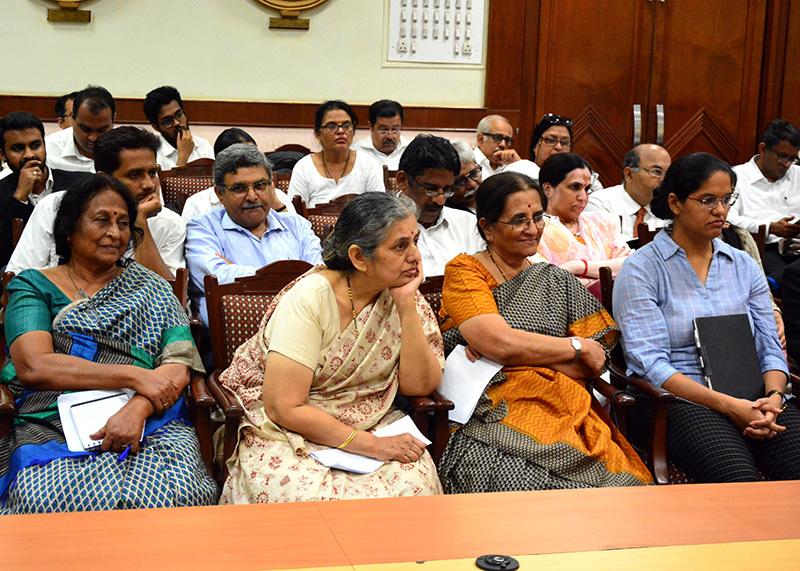 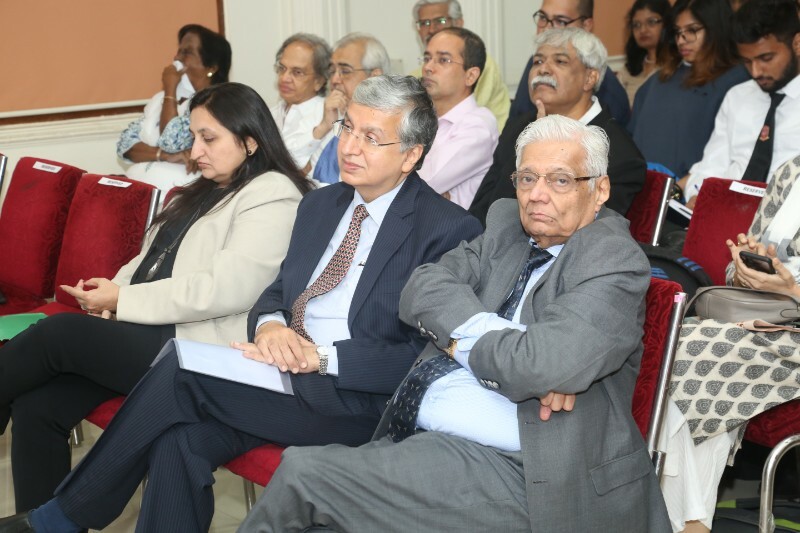 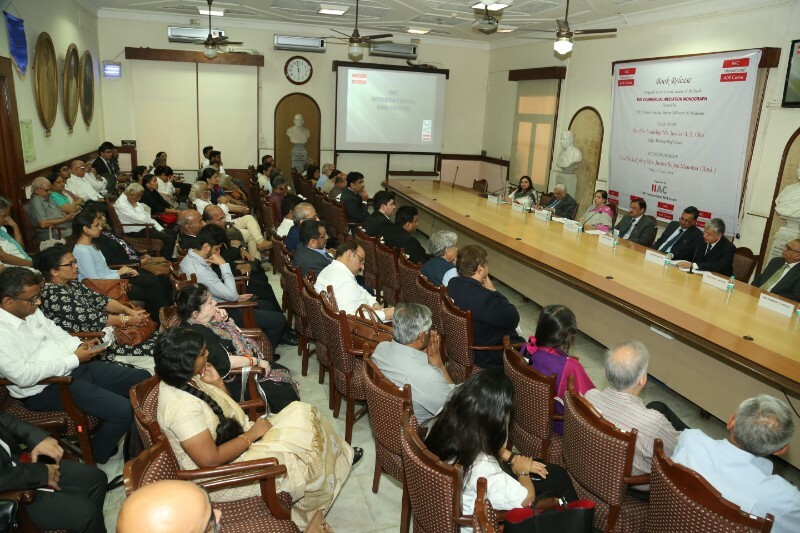 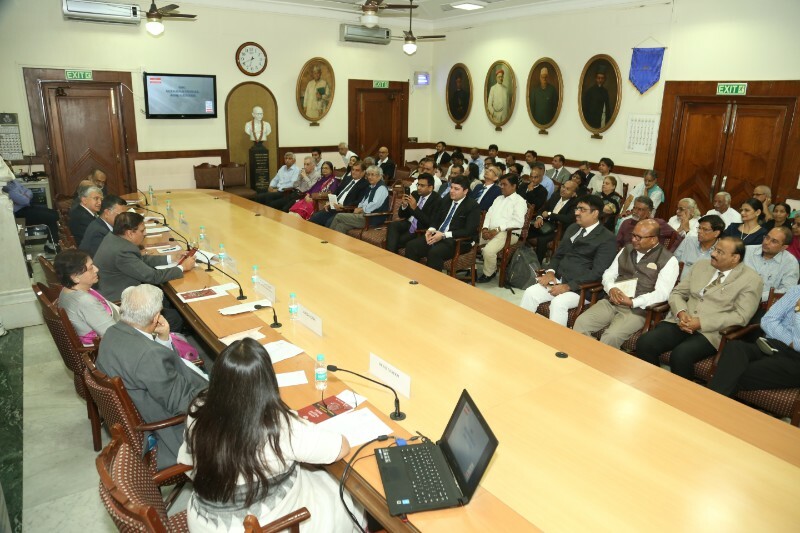 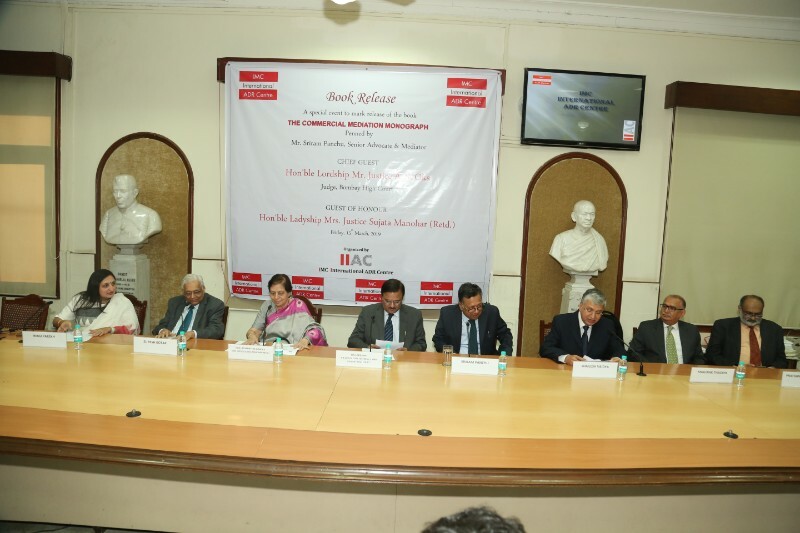 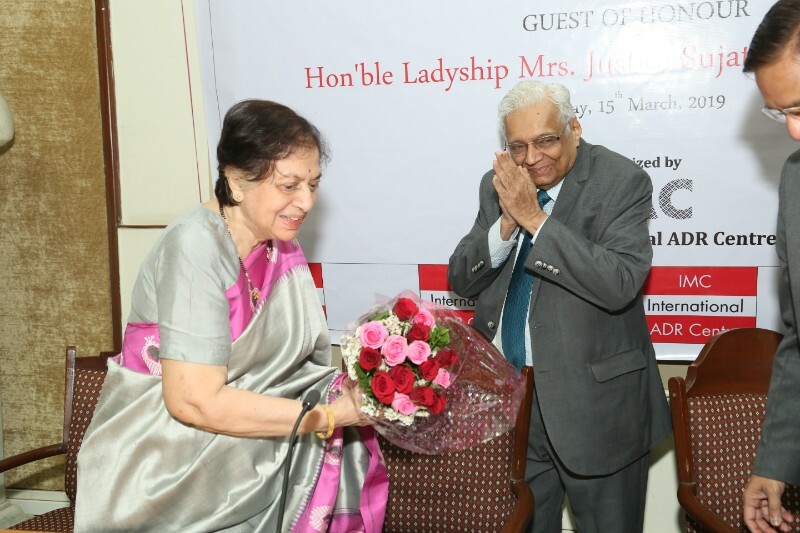 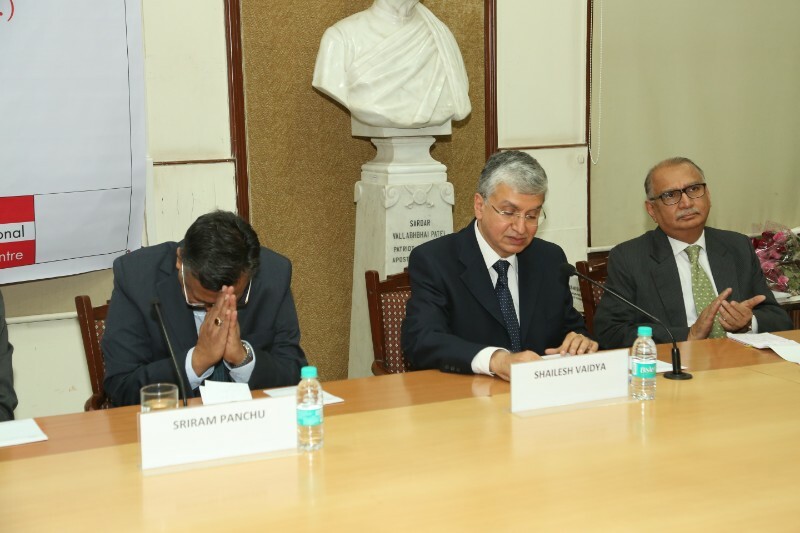 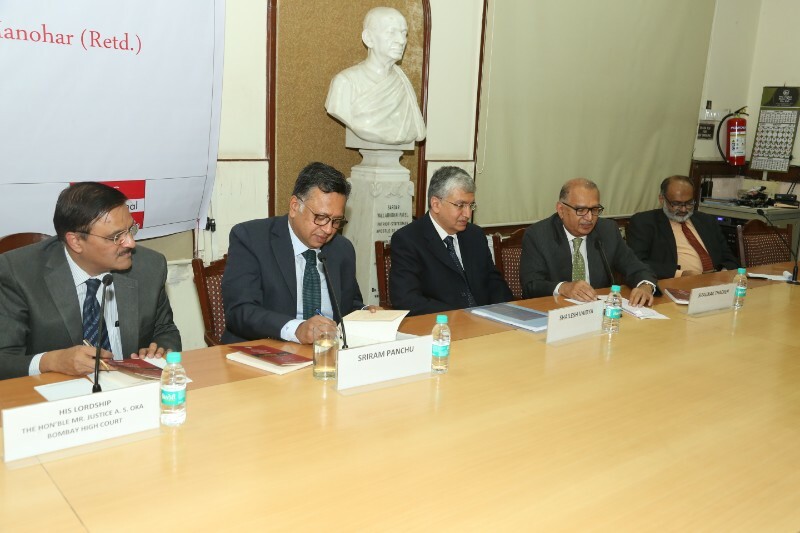 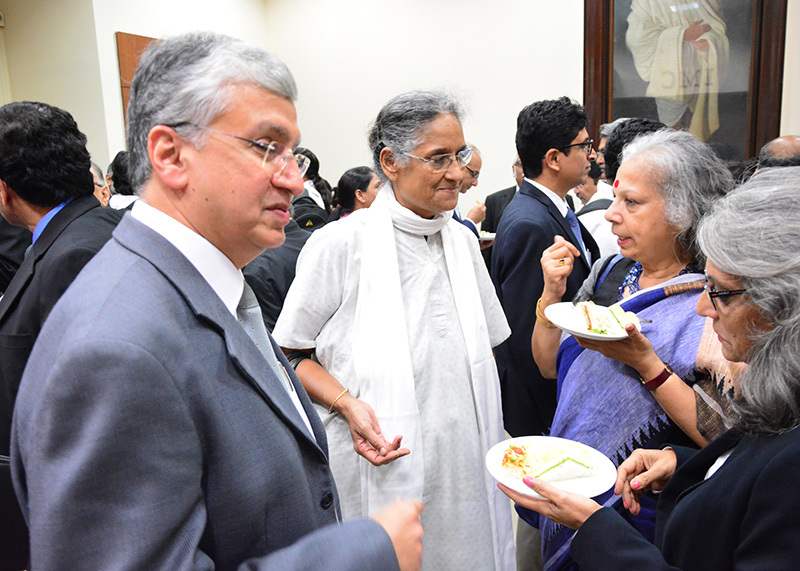 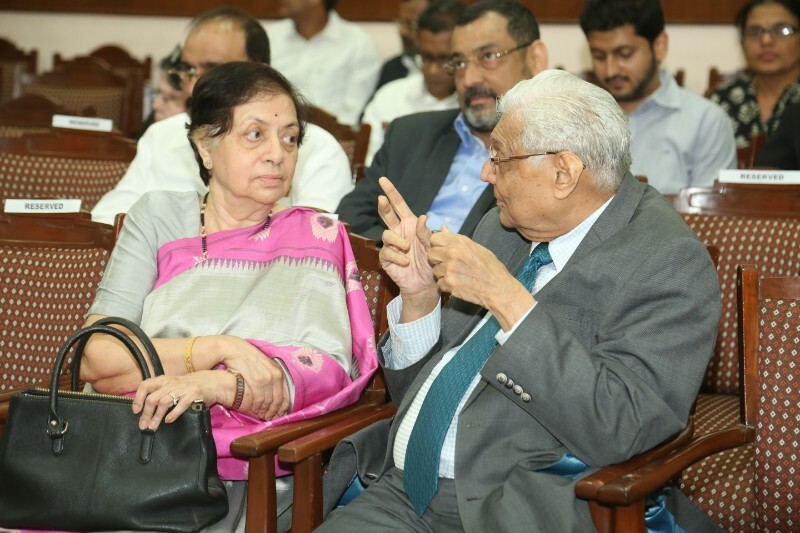 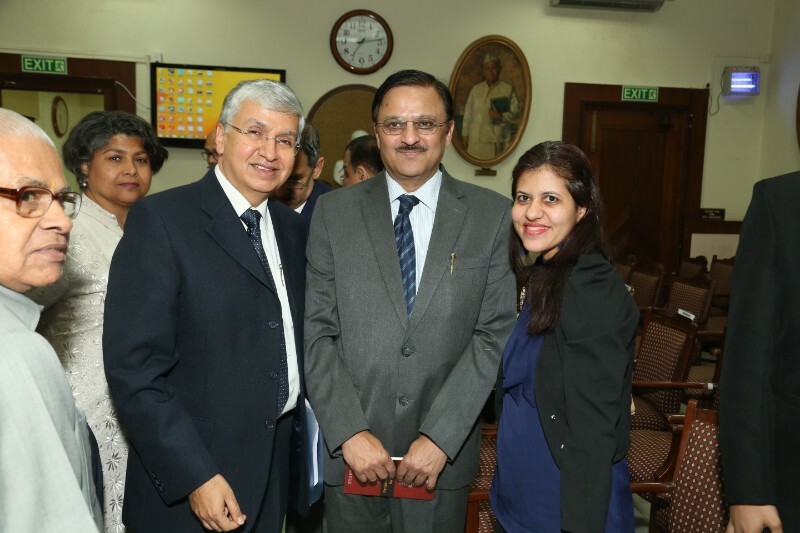 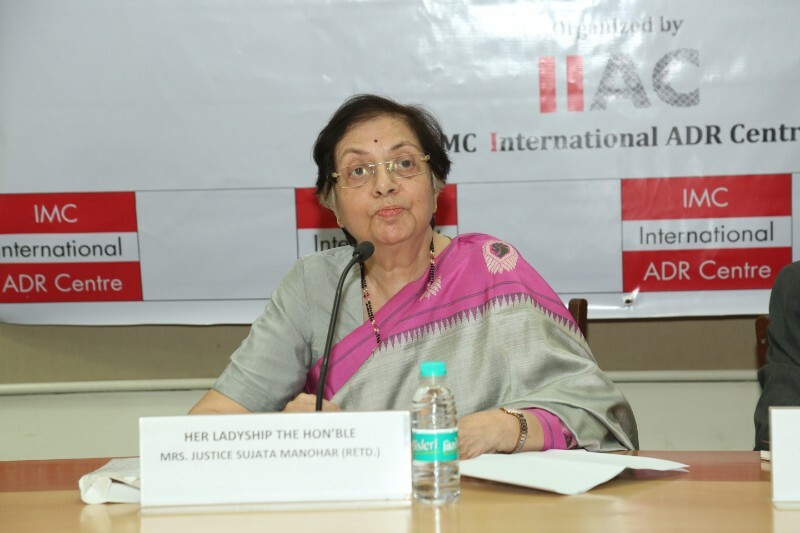 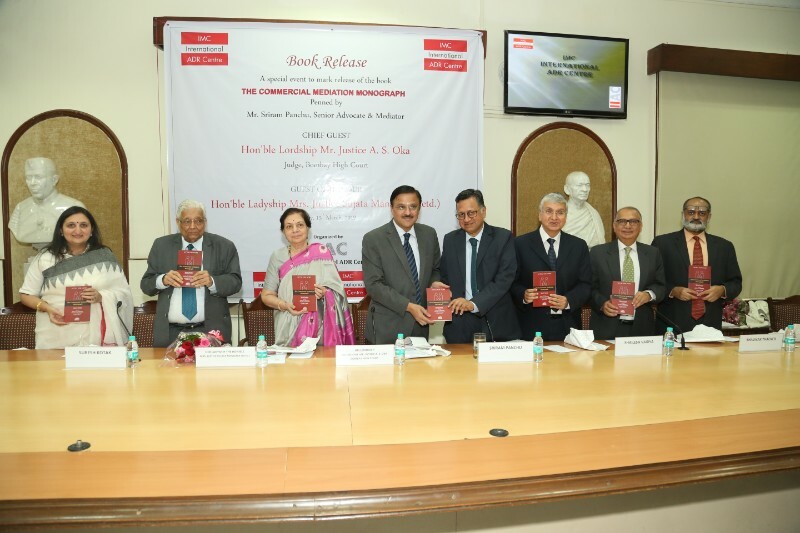 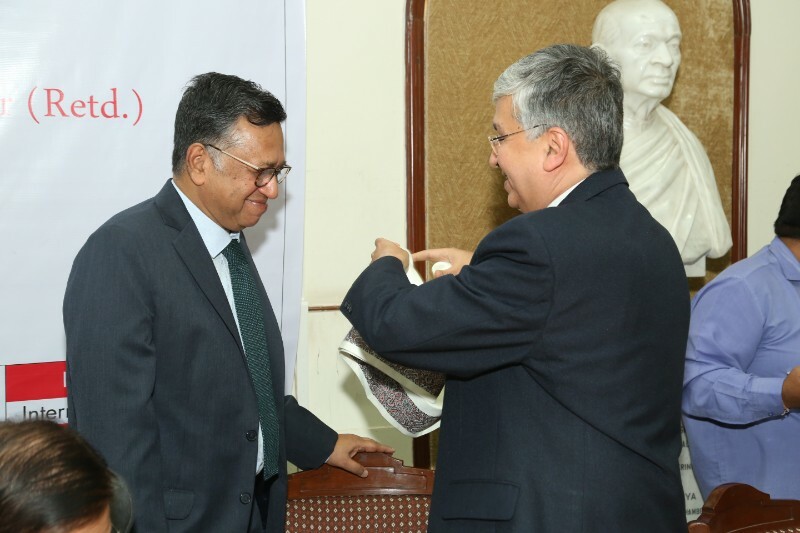 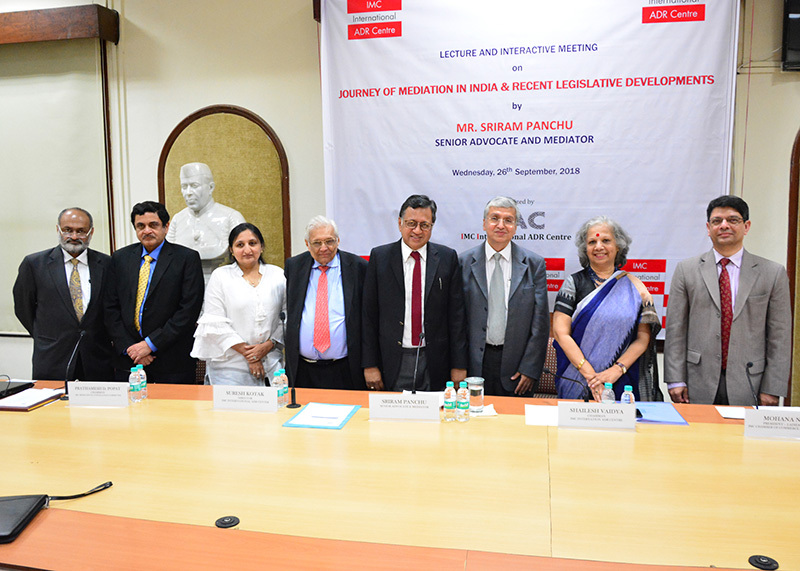 The eminent speakers included Hon’ble Mr. Justice Anoop V. Mohta (Retd.) 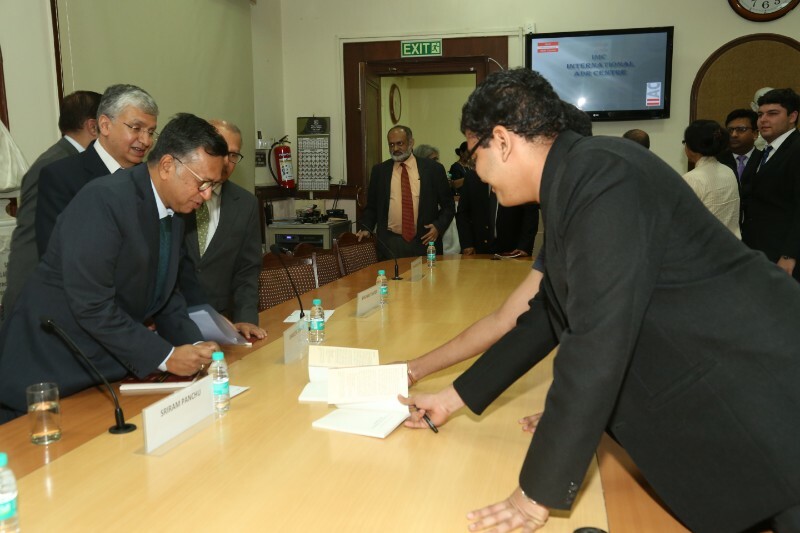 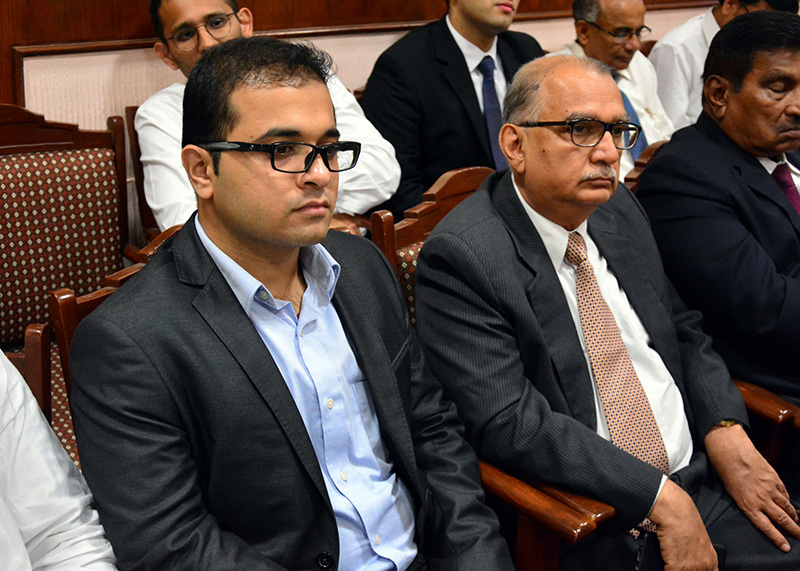 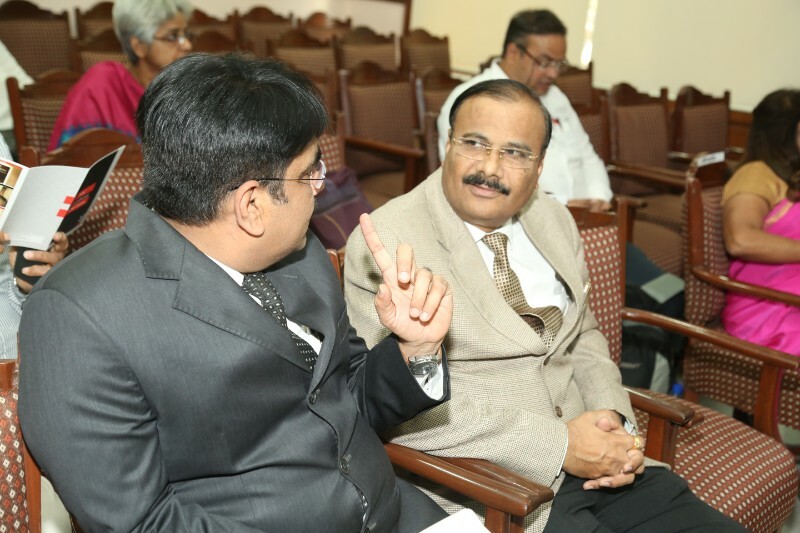 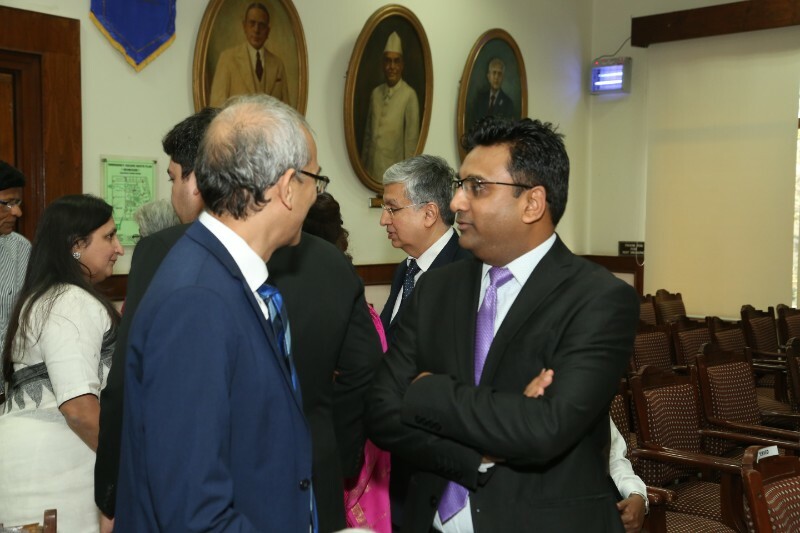 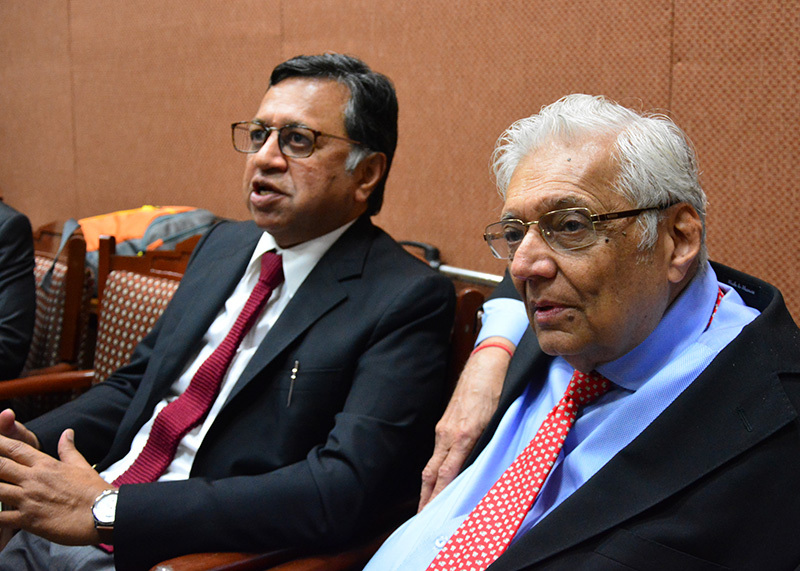 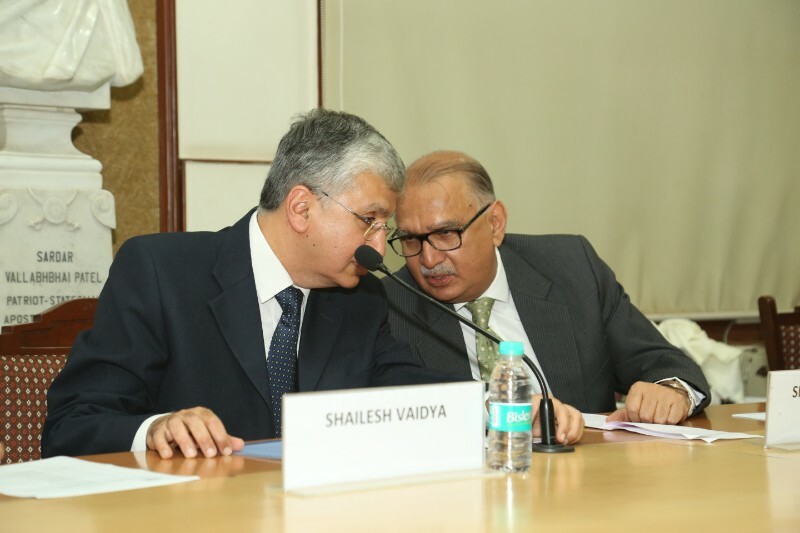 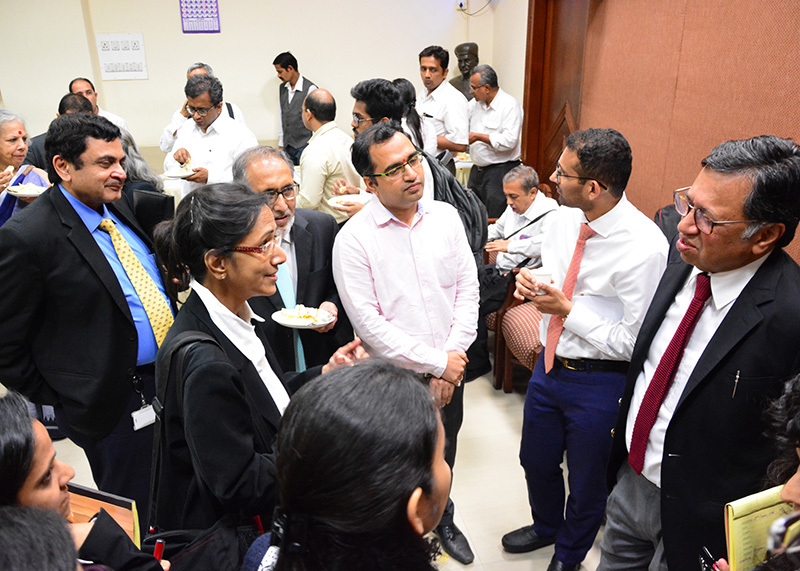 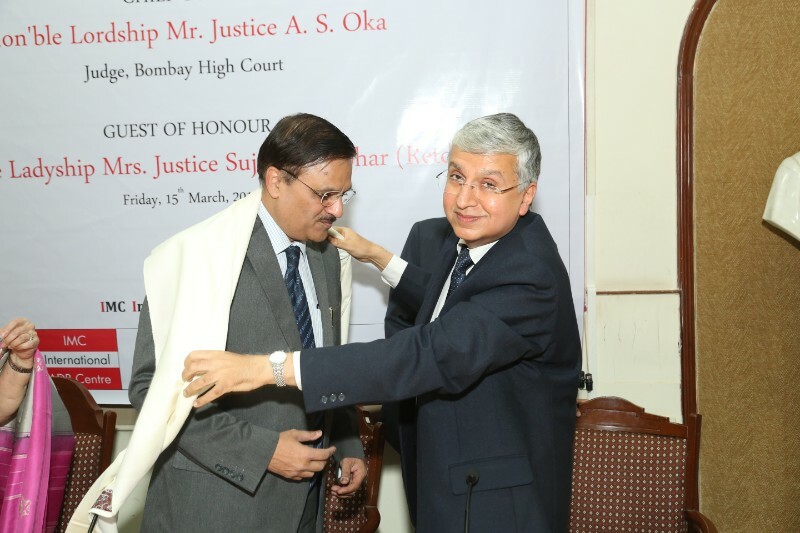 Mr. Janak Dwarakadas, Senior Counsel and Mr. Gaurang Mehta, Advocate. 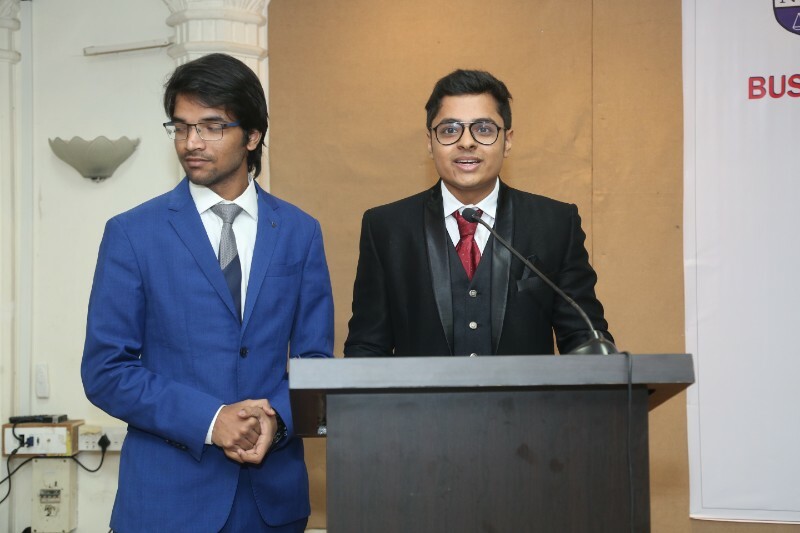 Few photographs may be viewed here. 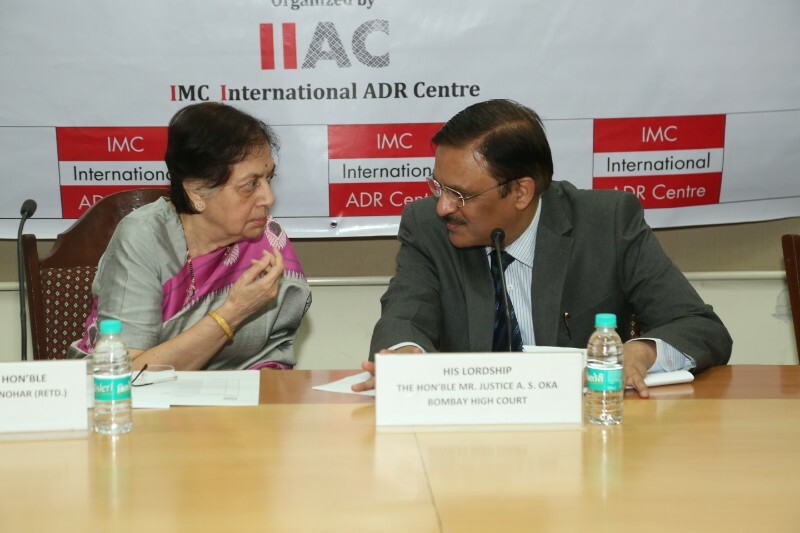 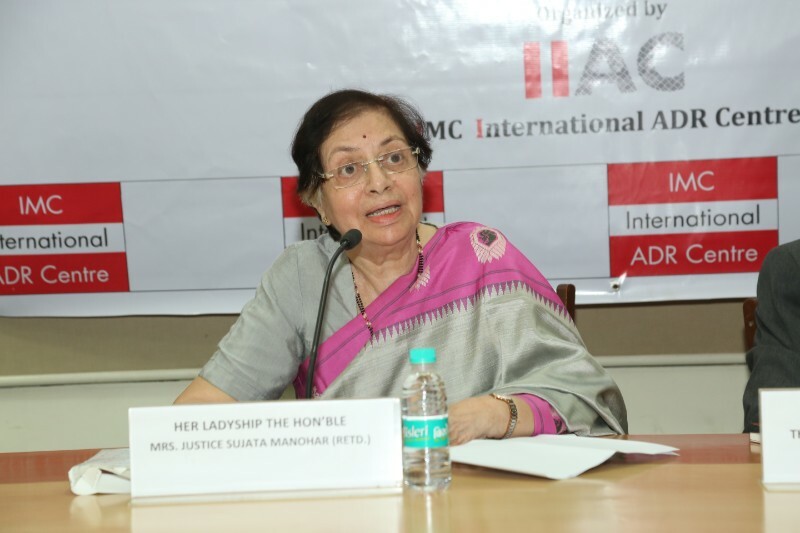 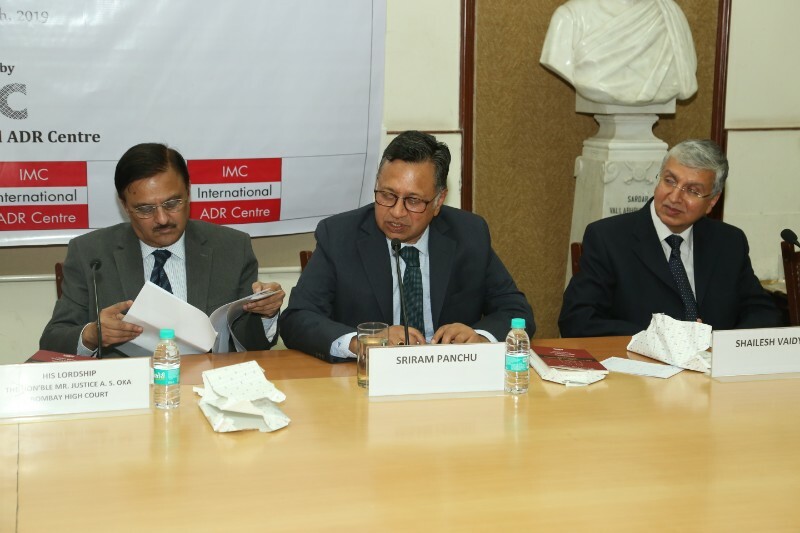 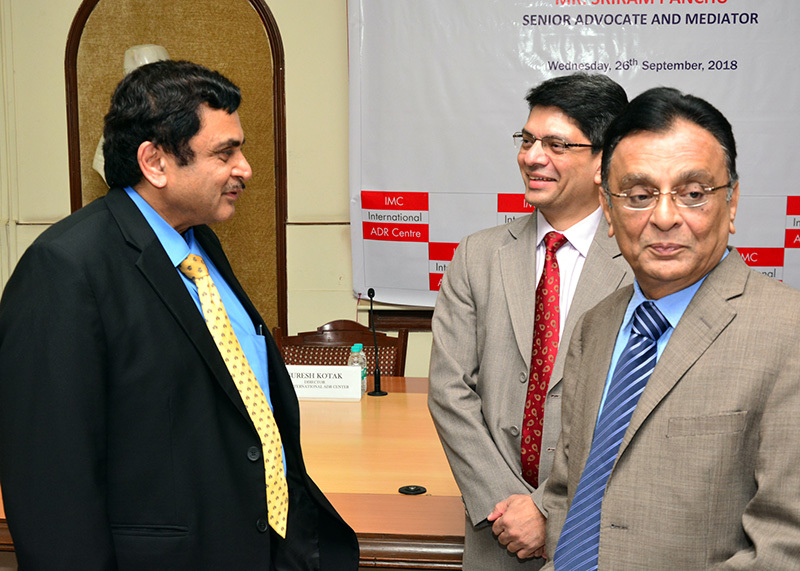 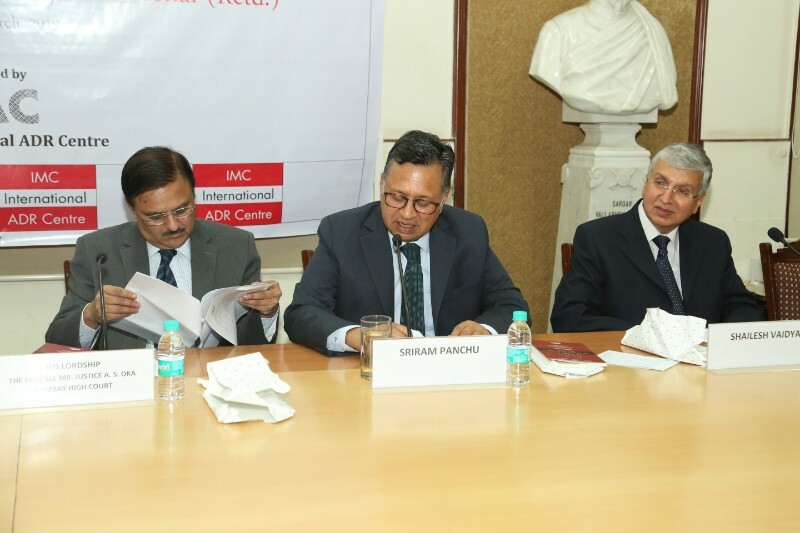 IMC International ADR Centre (IIAC) organised a Seminar on ‘Institutional Arbitration – The Way Forward’ with a view to spread the culture of Alternate Dispute Resolution (ADR) mechanism and equip participants, blend from professionals and industry members, on advantages of its use. 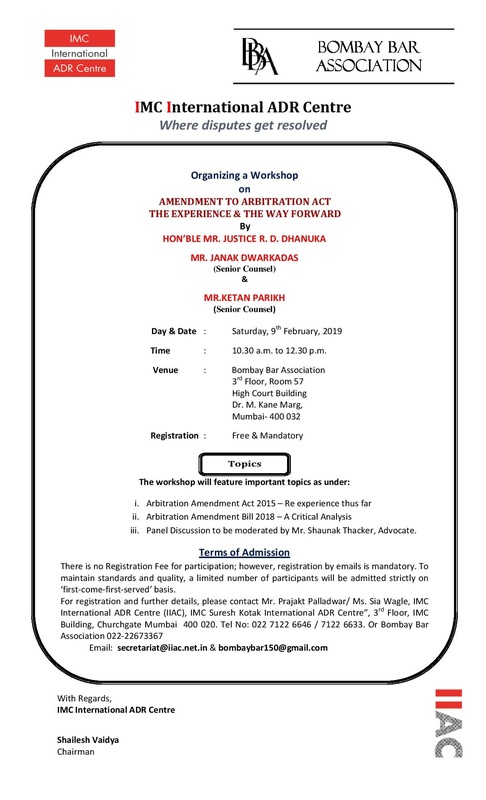 Unlike advanced jurisdictions where Institutional Arbitration has become the norm in commercial disputes, India continues with ad-hoc arbitration system; controlling costs and limiting intervention of courts are two major concerns in the ad-hoc system. 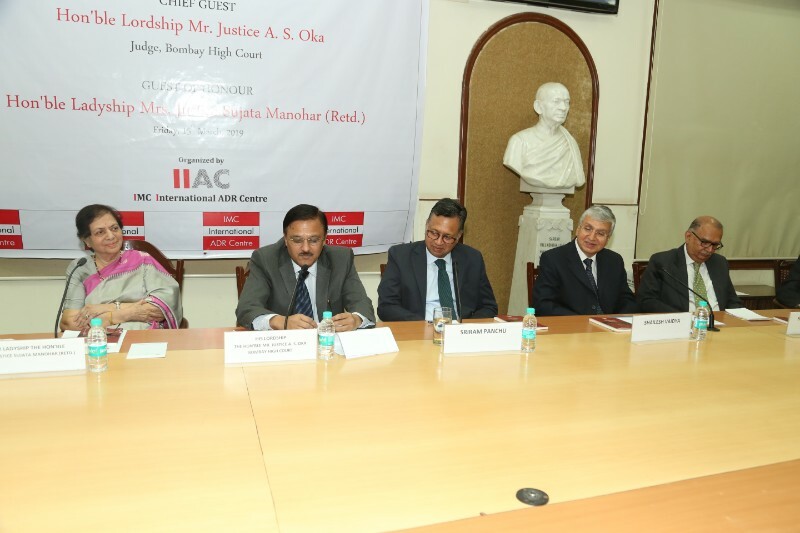 Accordingly, the theme of the seminar focused on ‘Institutional Arbitration – The Way Forward’ and two important advantages emerging thereof. 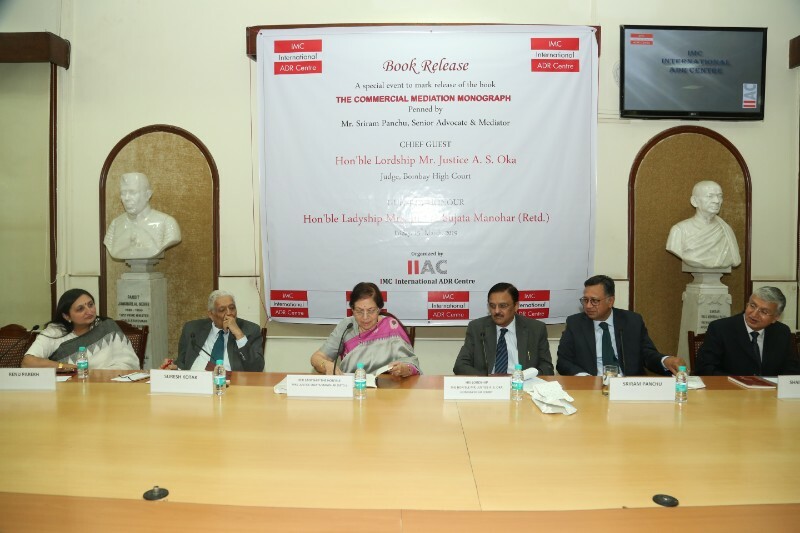 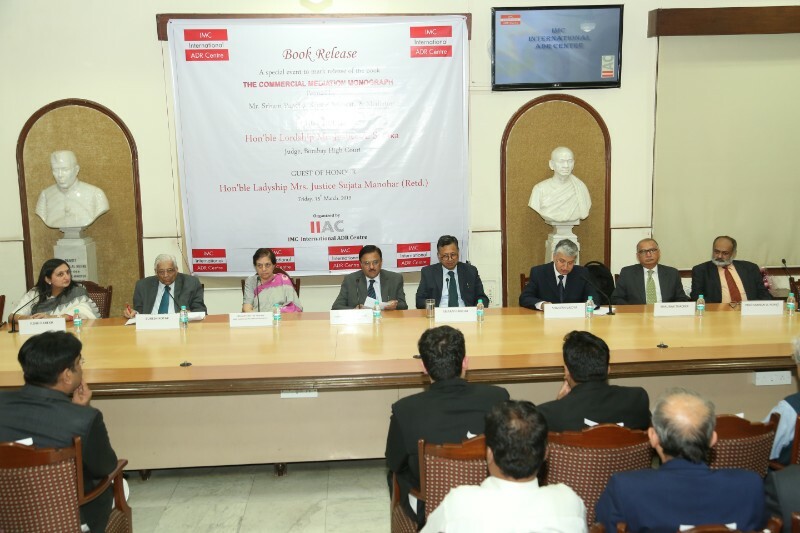 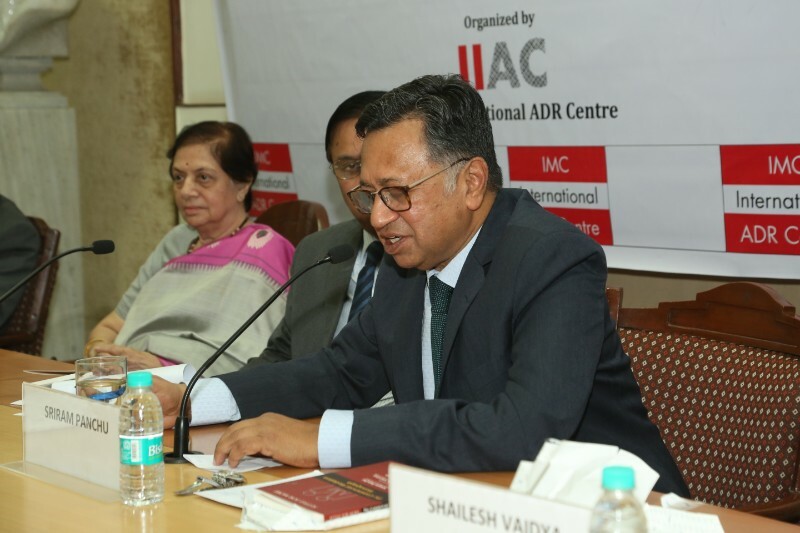 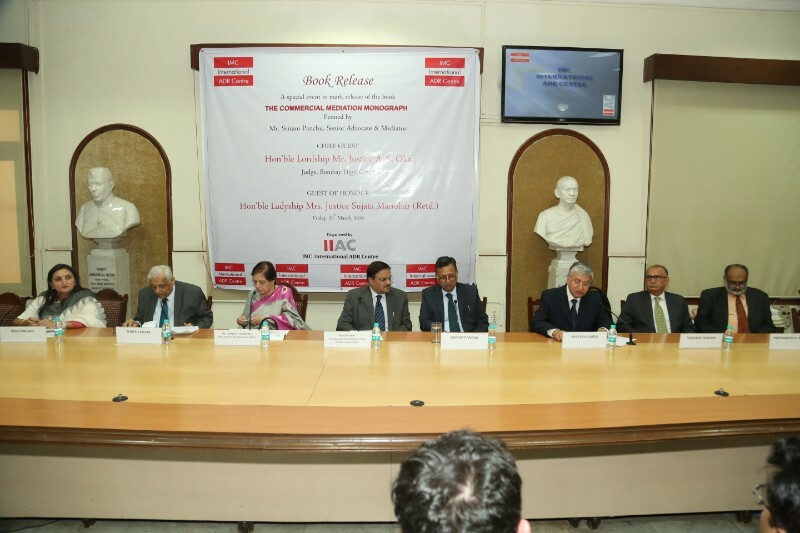 Seminar commenced with welcome remarks by IIAC Chairman, Mr. Shailesh Vaidya who also familiarized the participants as well the dignitaries of the rich past of the Chamber and its pioneering work in the field of ADR and unfolded the theme of the seminar. 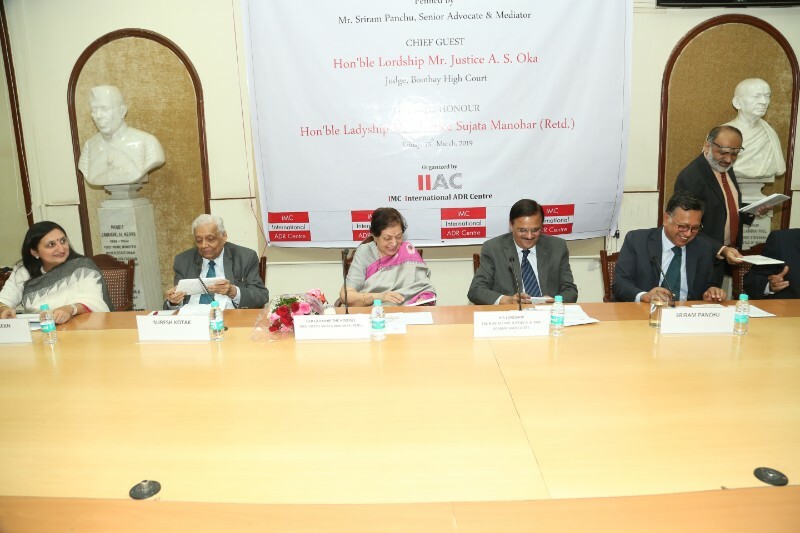 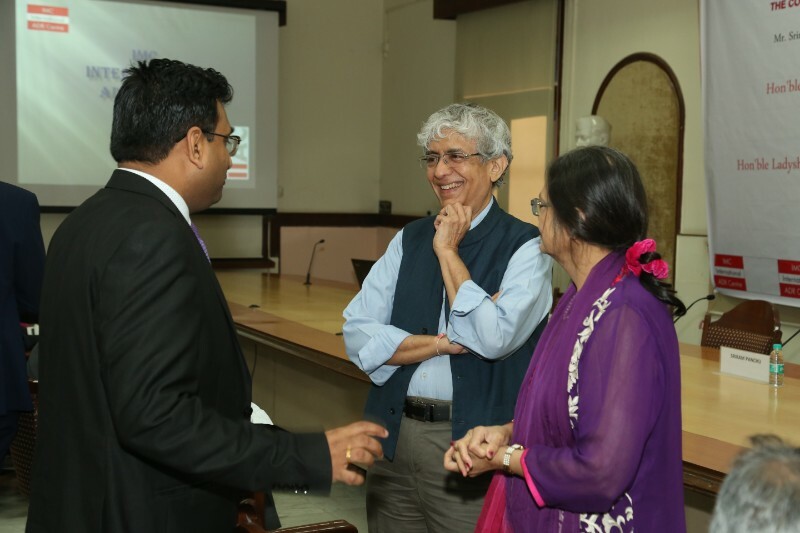 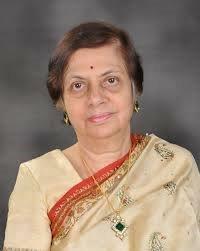 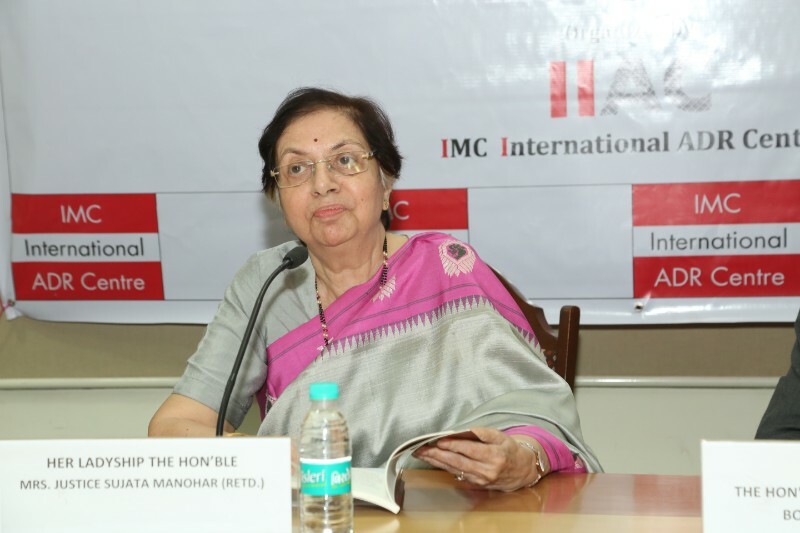 In a crisp presentation, Ms. Renu Parekh gave insights on the IIAC establishment and Rules. 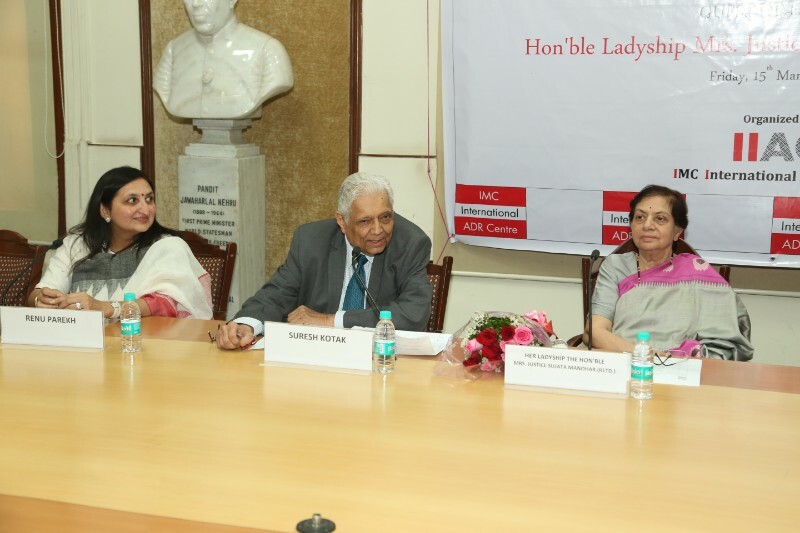 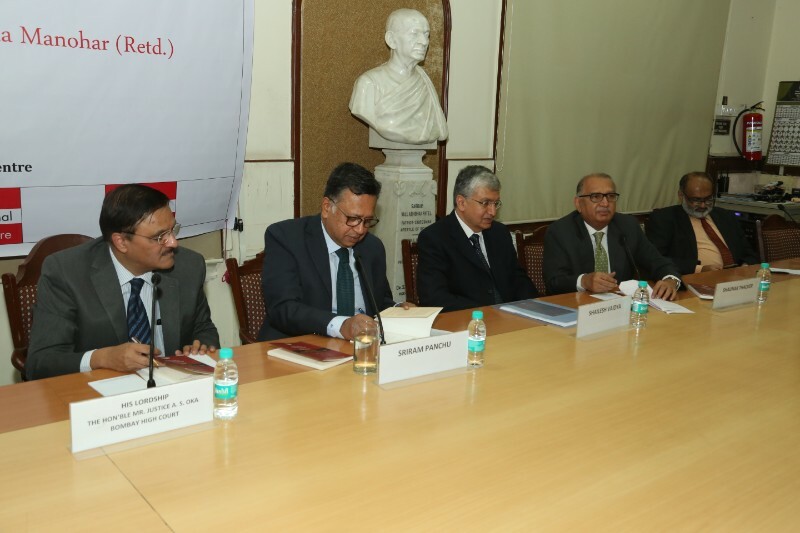 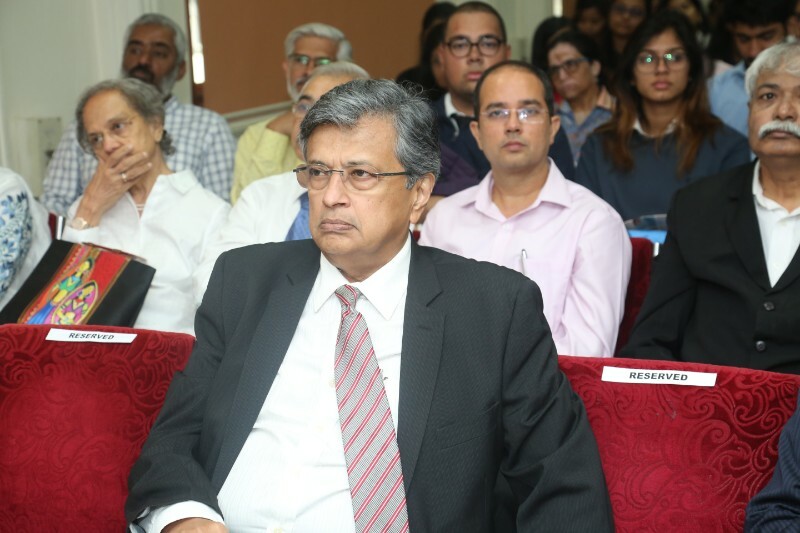 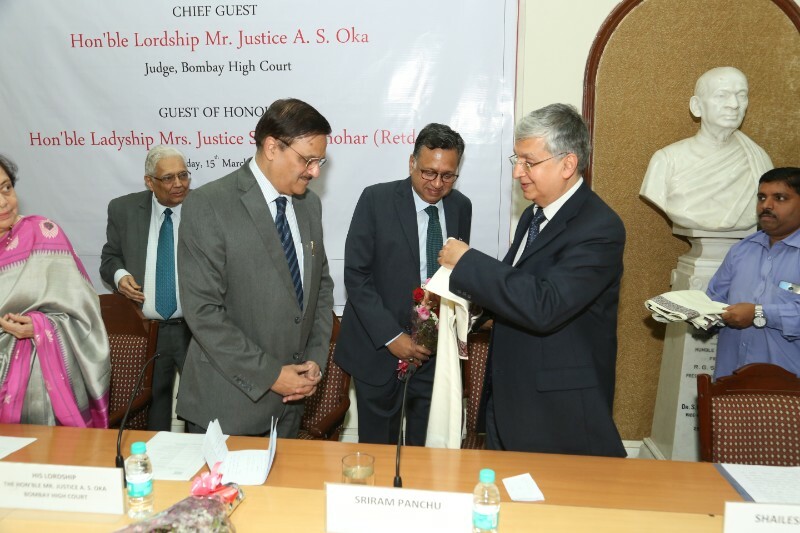 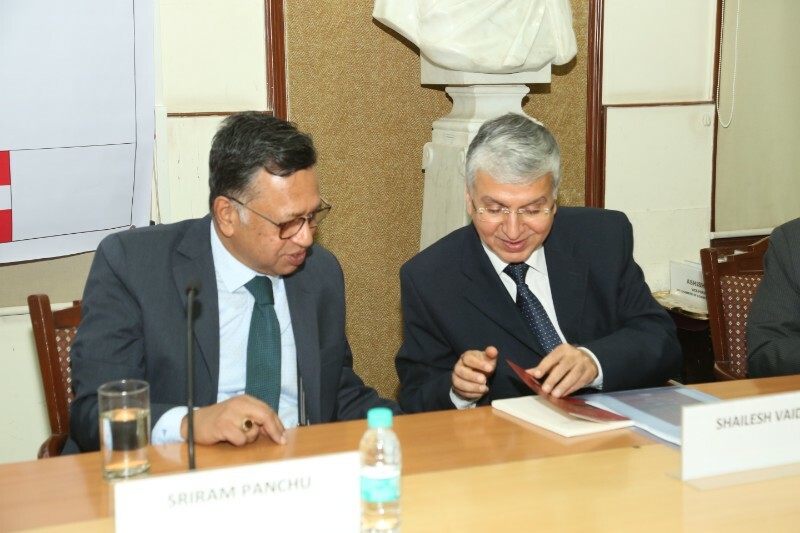 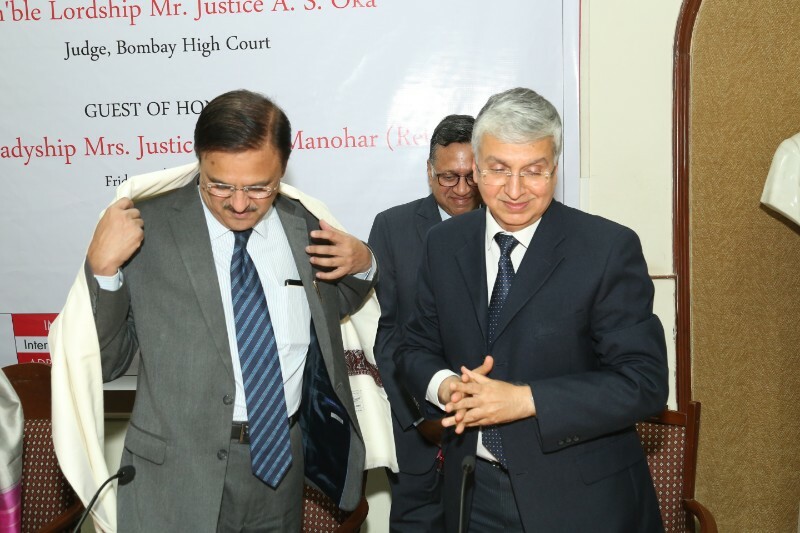 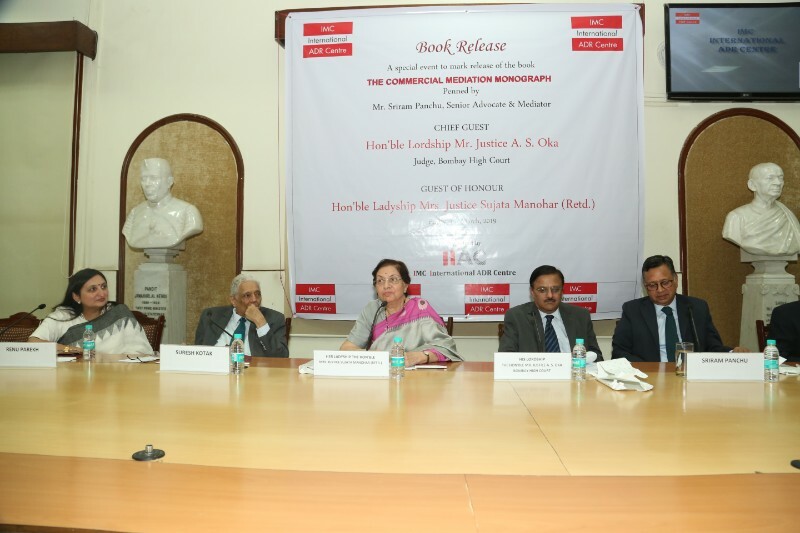 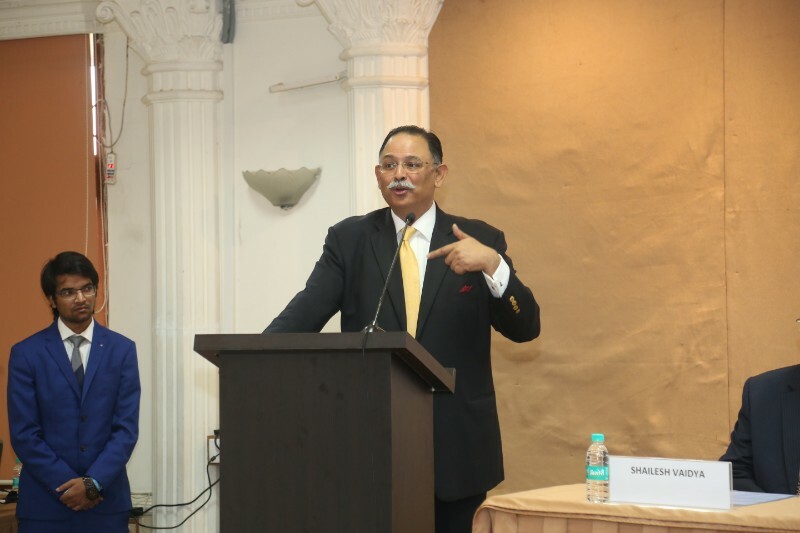 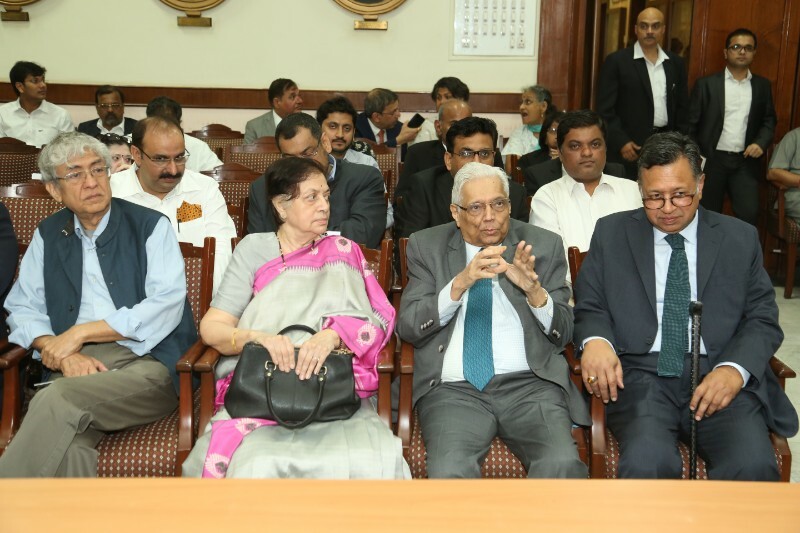 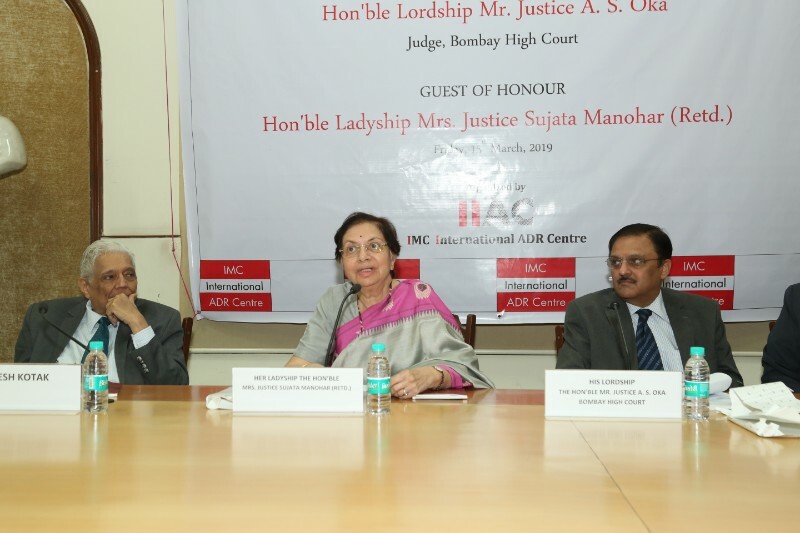 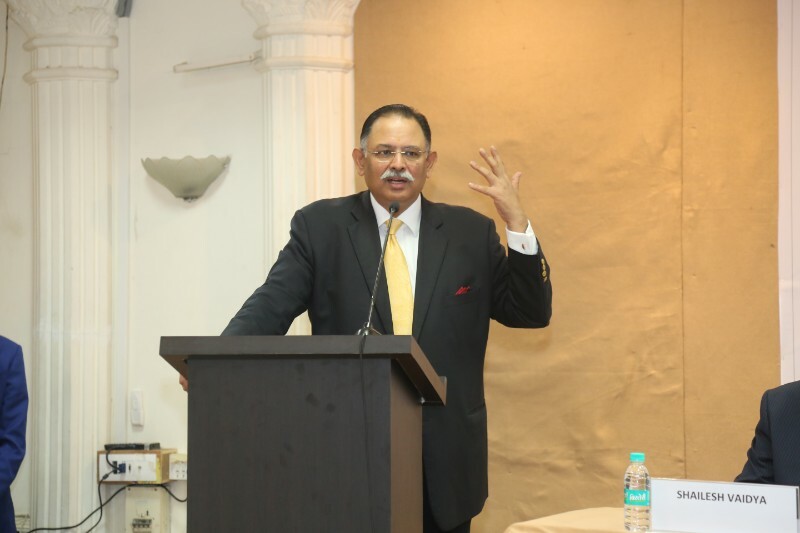 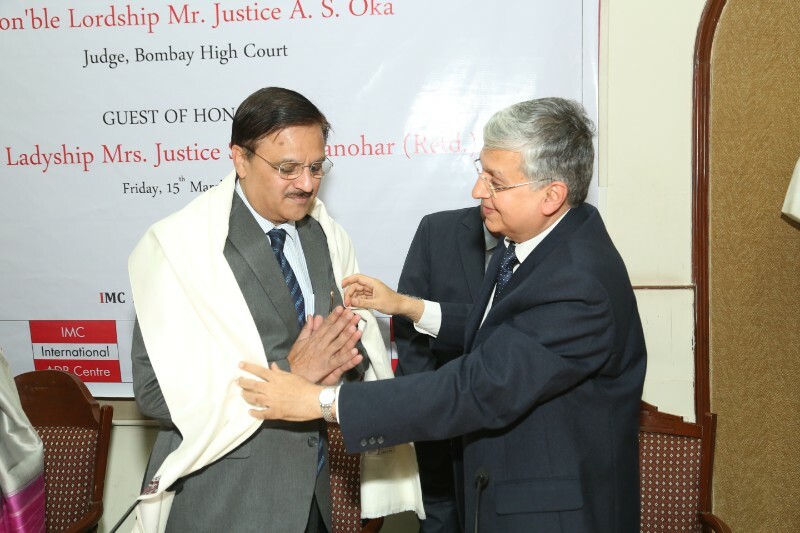 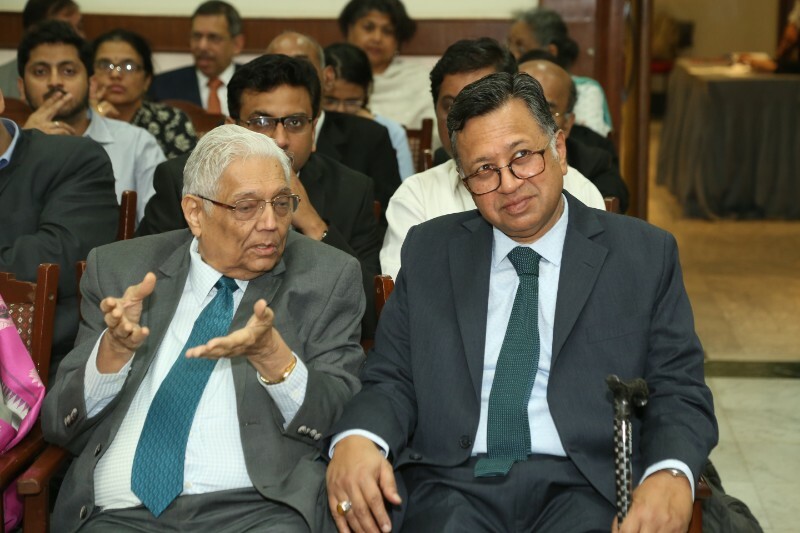 The Chief Guest of the seminar His Lordship The Hon’ble Mr. Justice R. D. Dhanuka, Sitting judge, High Court, Bombay addressed on the theme of the seminar citing various associations who have developed and are using institutional mechanism. 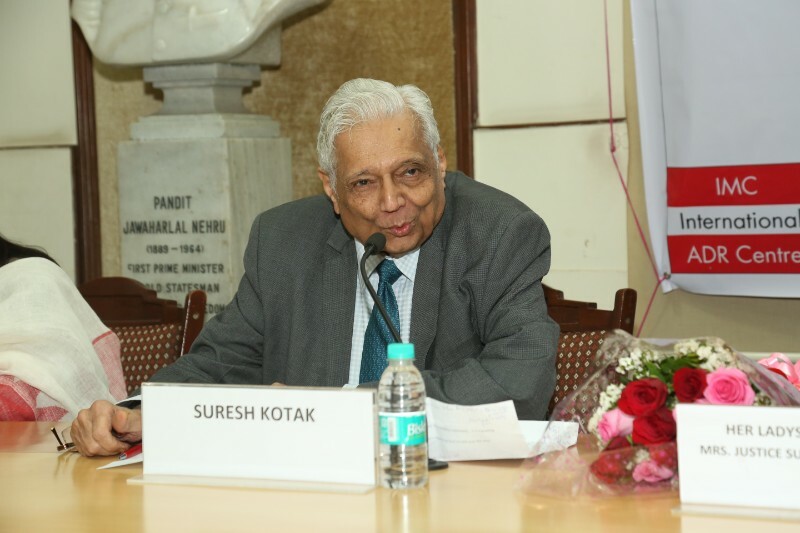 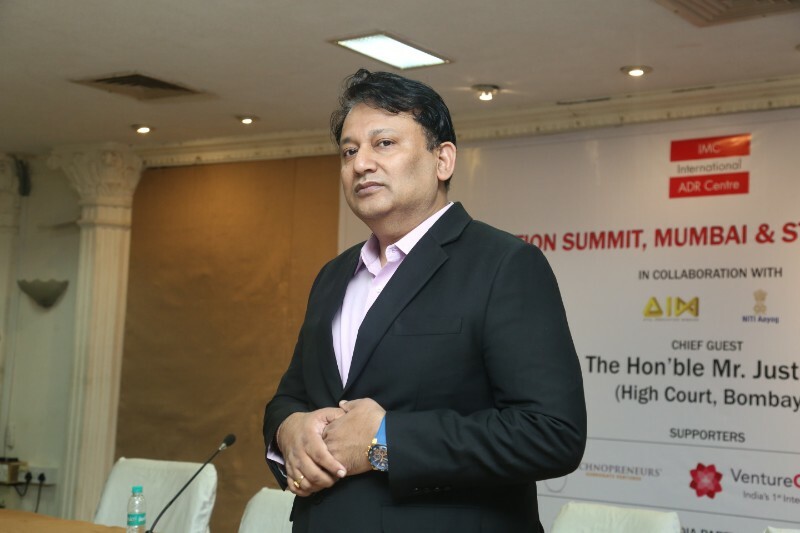 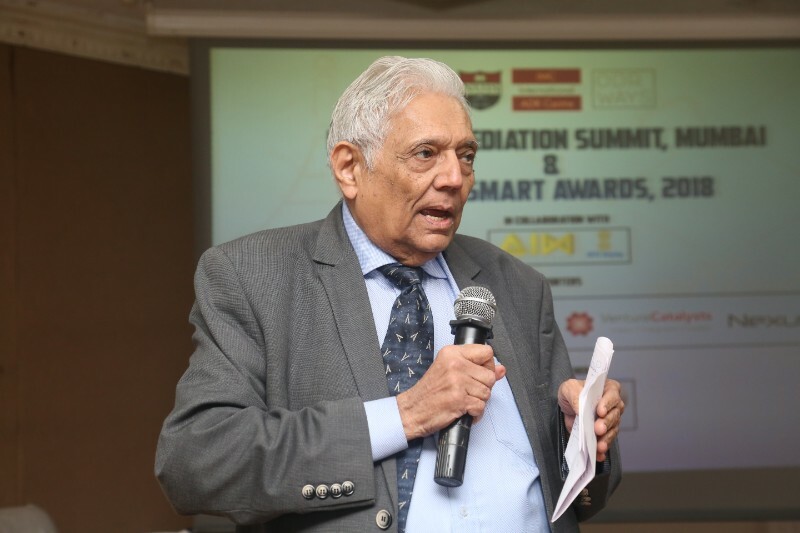 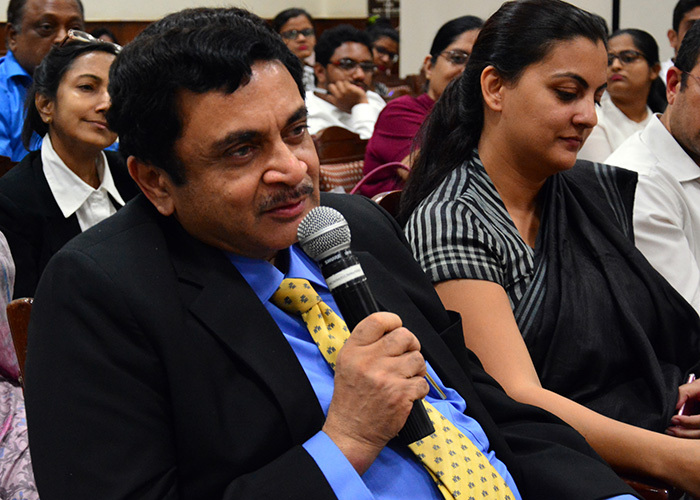 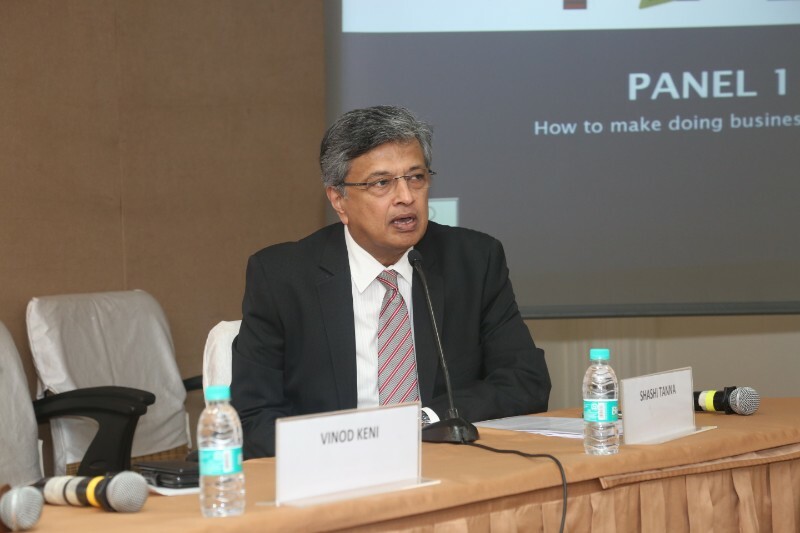 Other eminent speakers Mr. Ketan Parikh, Sr. 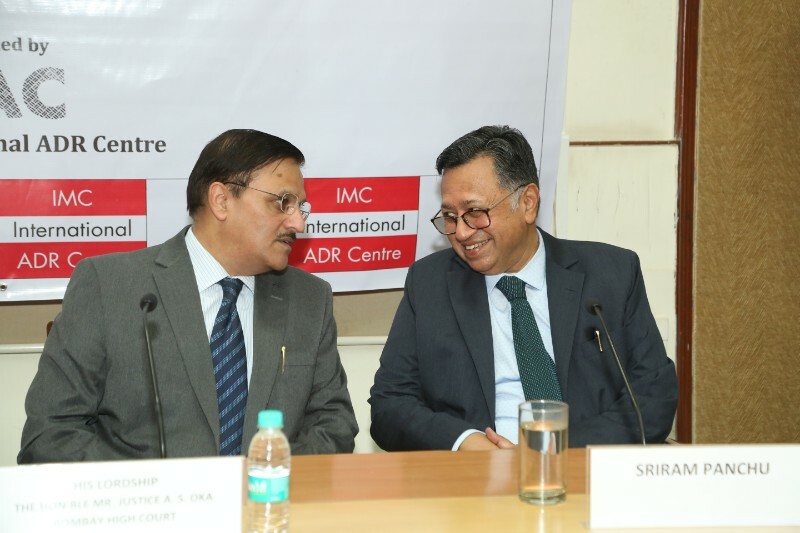 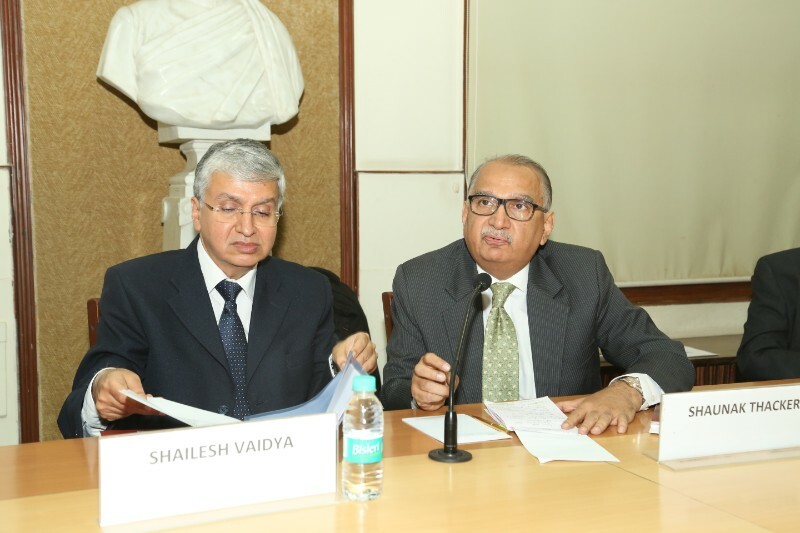 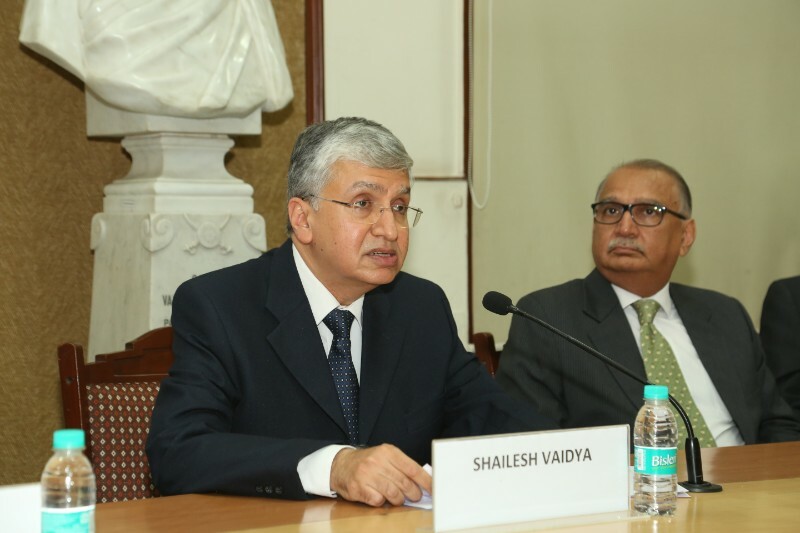 Counsel and Mr. Anand Desai, Managing Partner, DSK Legal addressed on topics ‘Court's Role in ADR Process (Intervention and Support)’ and ‘Controlling Costs in Indian Arbitrations’ respectively. 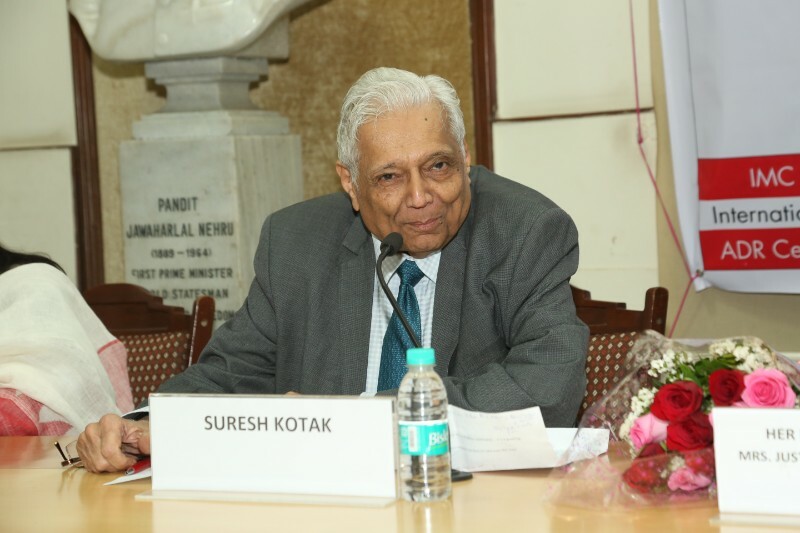 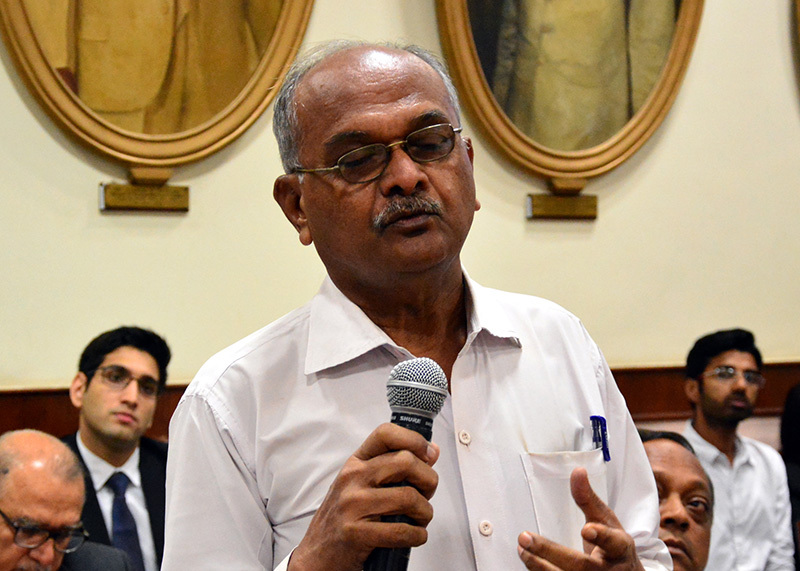 Mr. Ketan Parikh, Sr. 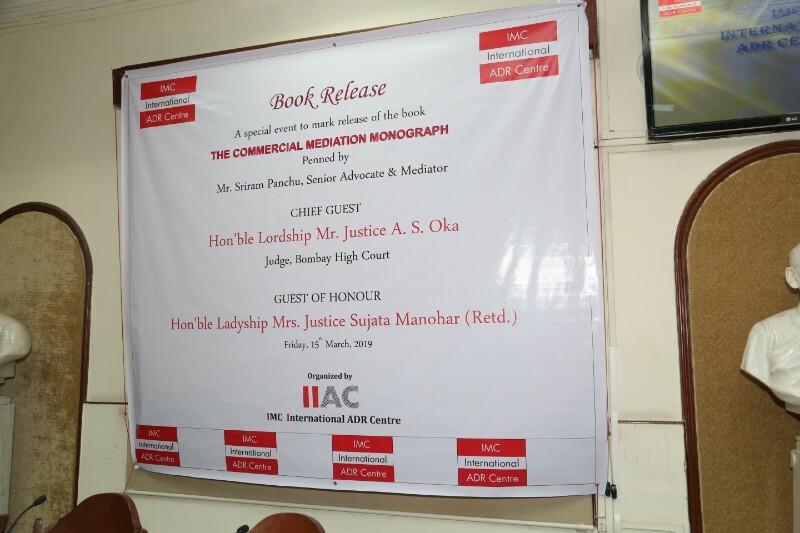 Counsel pointed out various stages and sections under the Arbitration and Conciliation Act, 1996 where under intervention of courts was possible and in the process he also collated and compared IIAC Rules and how advantageous they are in minimizing this intervention. 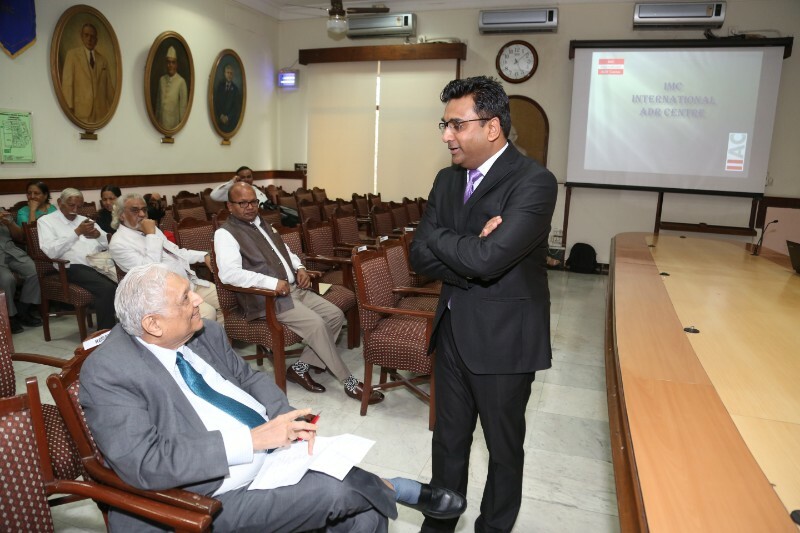 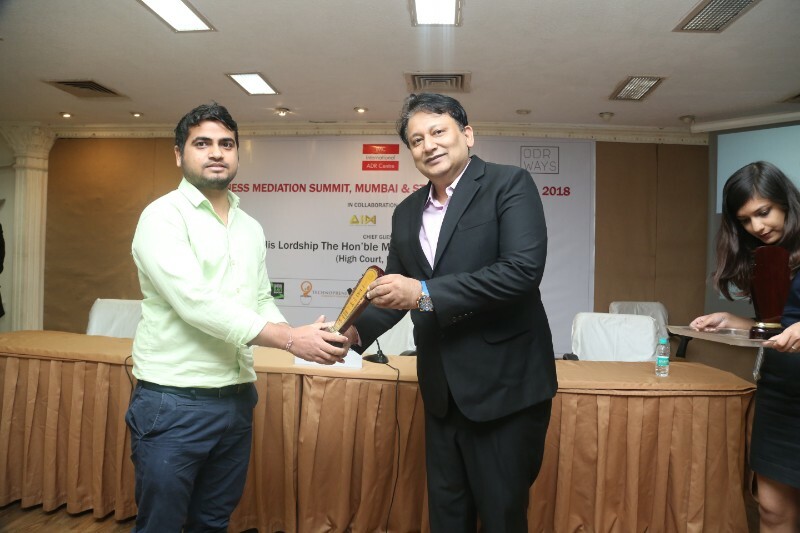 Mr. Anand Desai suggested ways of controlling costs, ‘budgeting’ and acknowledged ‘IIAC pool of talent specially Mr. Suresh Kotak’. 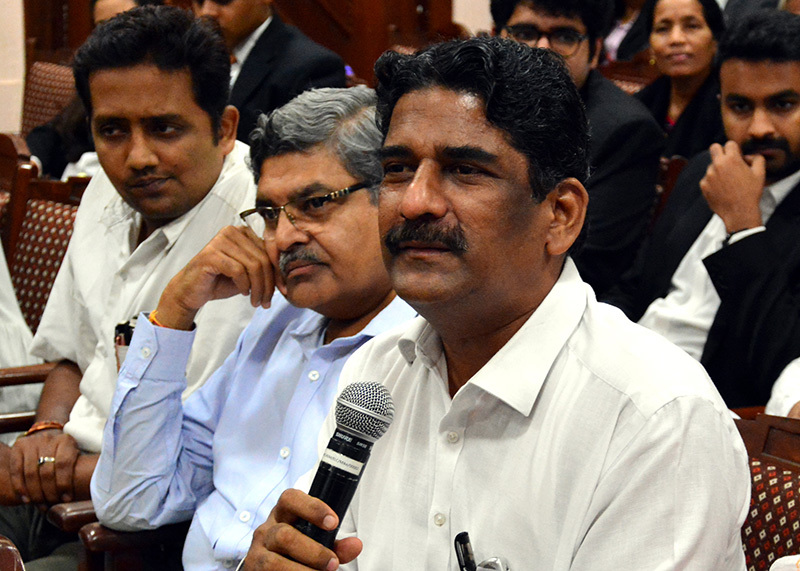 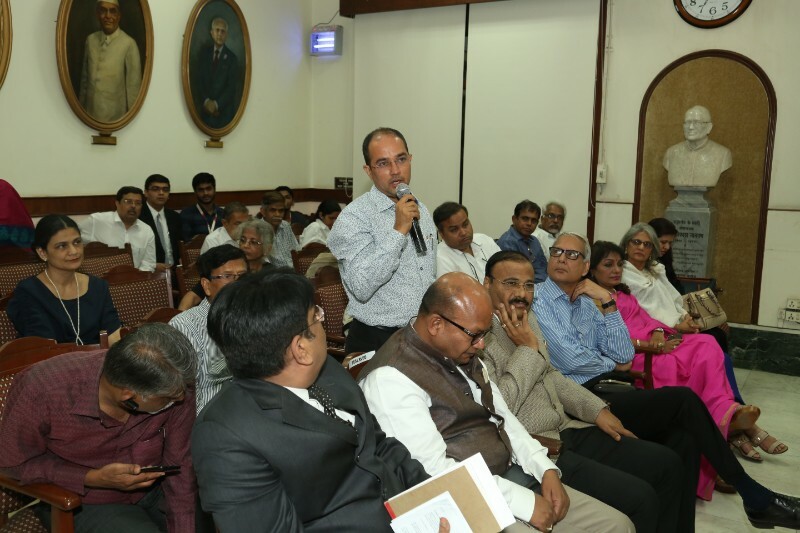 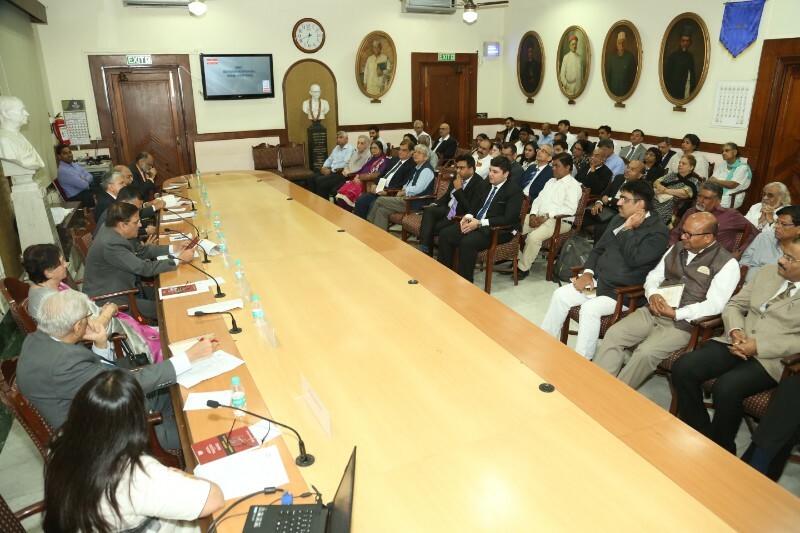 An interactive Q & R session followed and Questions were put forth to each of speakers. 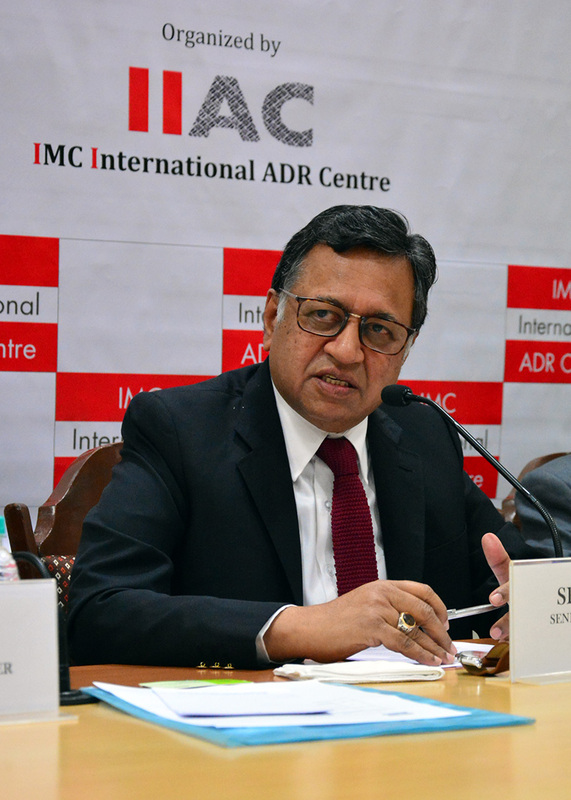 Mr. Gautam Mehta, Chairman, ADR Committee of IMC Chamber & Industry gave impromptu remarks on arbitration and mediation. 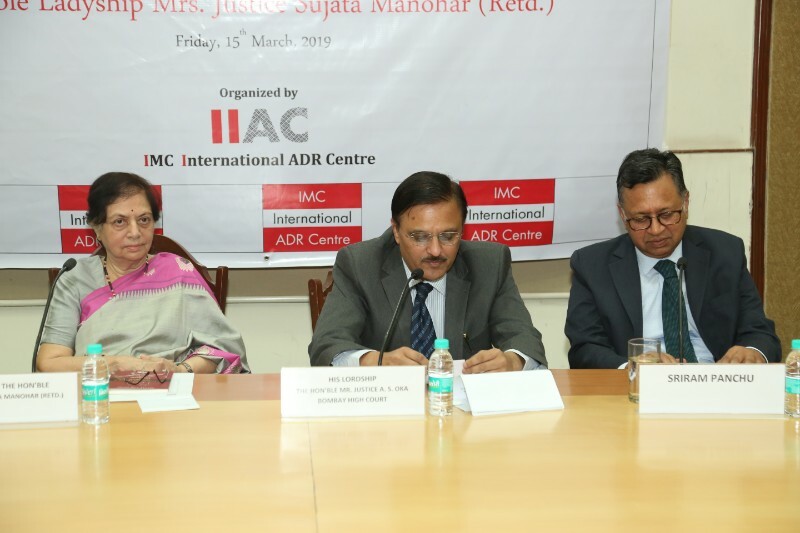 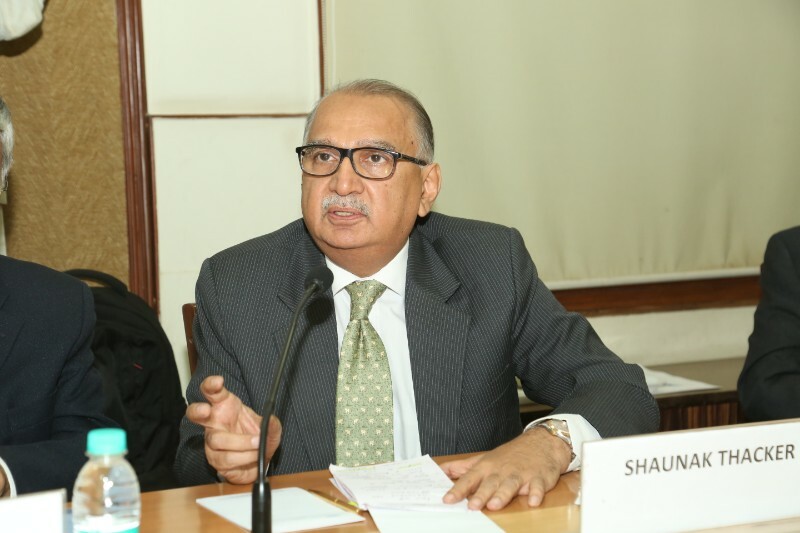 Mr. Shaunak Thakkar, Chairman, Law & Justice Committee of IMC Chamber & Industry gave concluding remarks of the entire seminar and proposed the vote of thanks to the speakers, organizers and the august gathering and acknowledged presence of one of IIAC’s domain base specialized arbitrator -Captain Mr. Vinod Gupta in the audience. 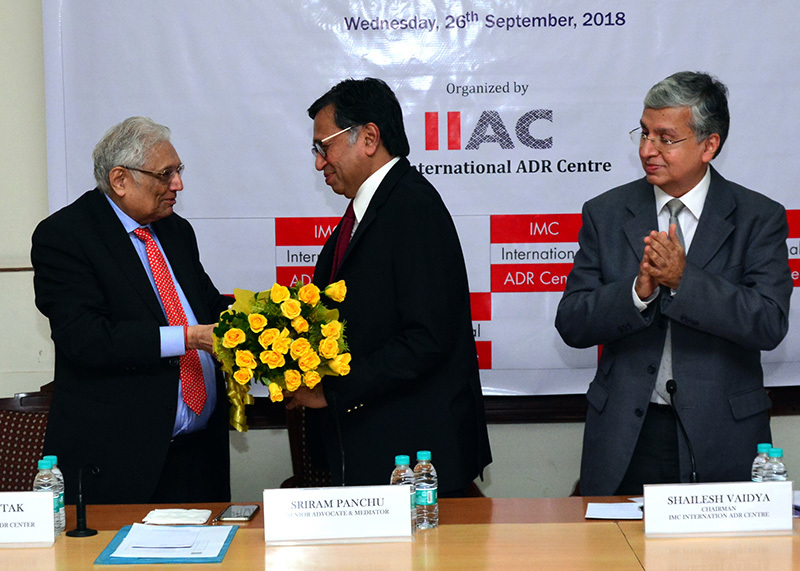 The man behind IIAC, Mr. Suresh Kotak who personally saw venue and event arrangements, as a true patriarch took a low-key keeping focus on the members present on the dais. 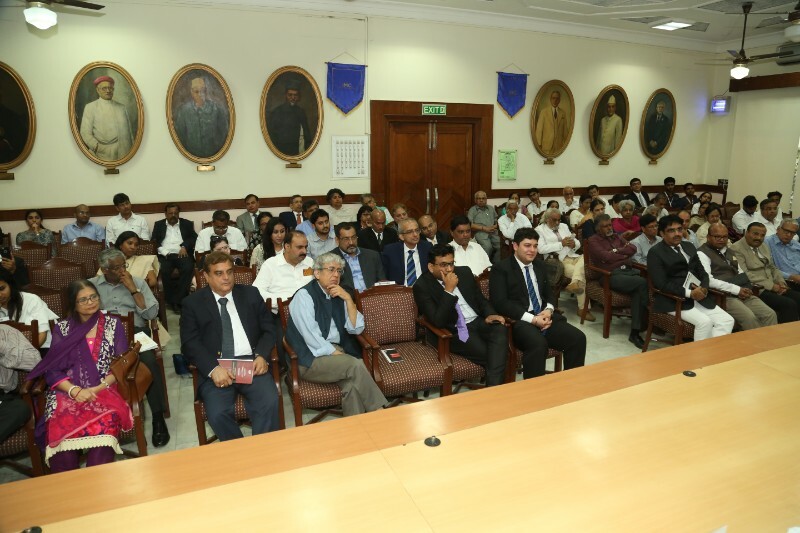 The audience applauded the program and the feedback forms showed keen interest to attend the next event and requested for a ‘larger venue’ confirming seminar’s success and outreach. 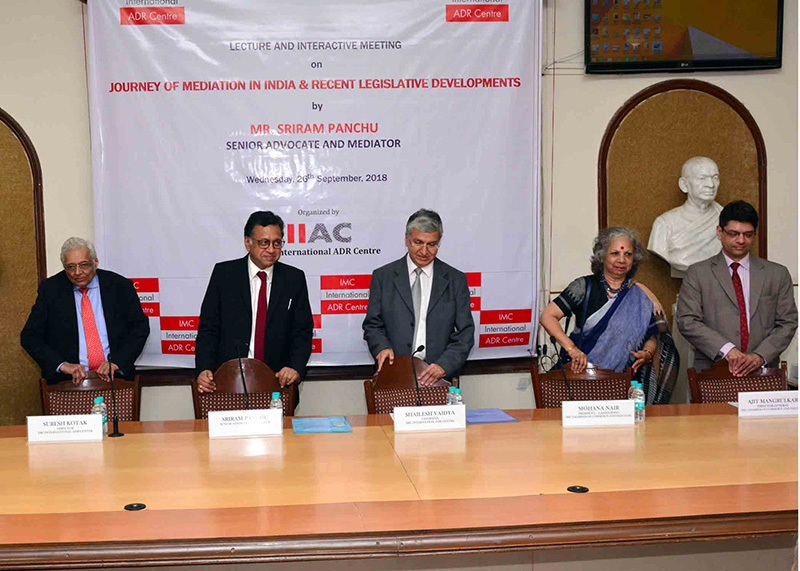 IIAC expresses its gratitude to the Chief Guest and the speakers. 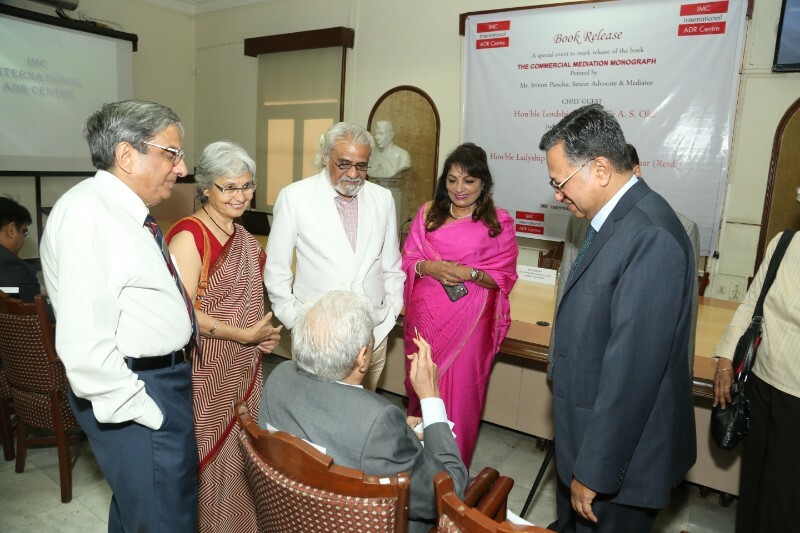 For few memories of the event please click here. 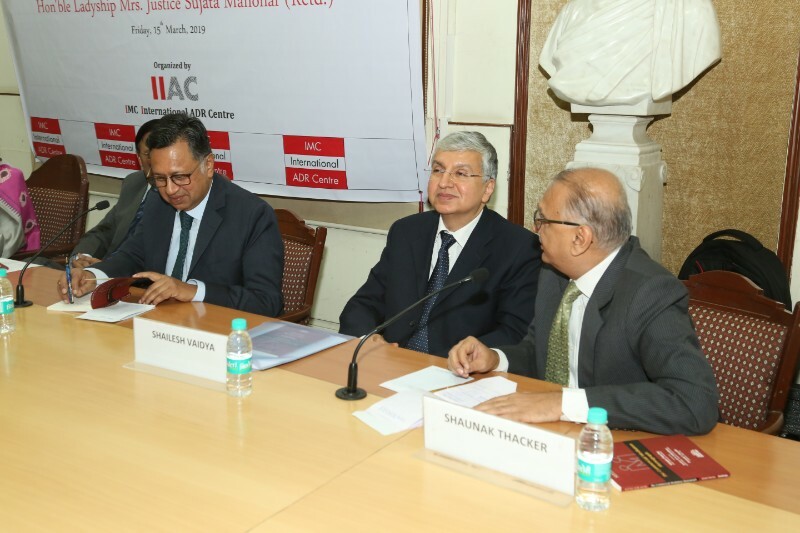 The Hon’ble Mr. Justice Arjan Kumar Sikri visited IIAC on 31 May 2017. 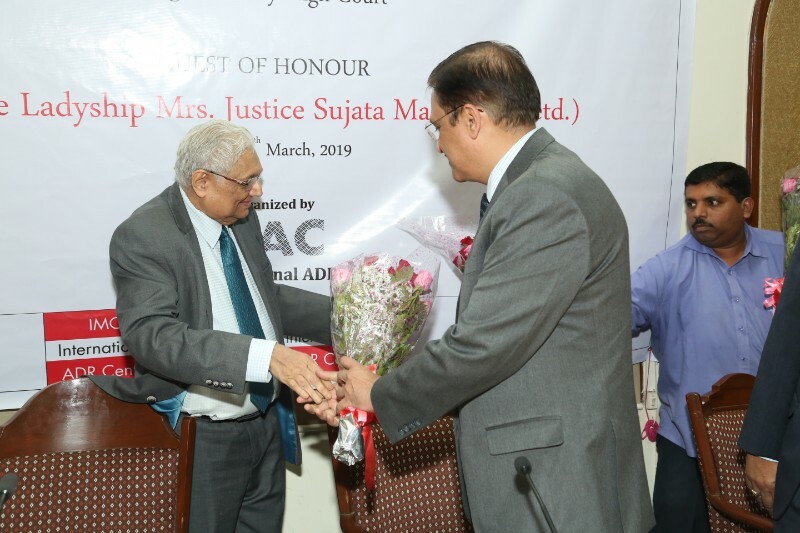 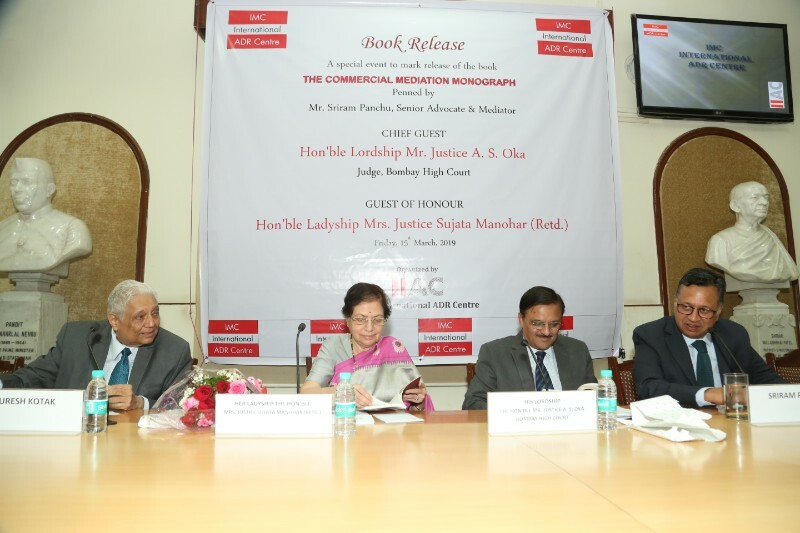 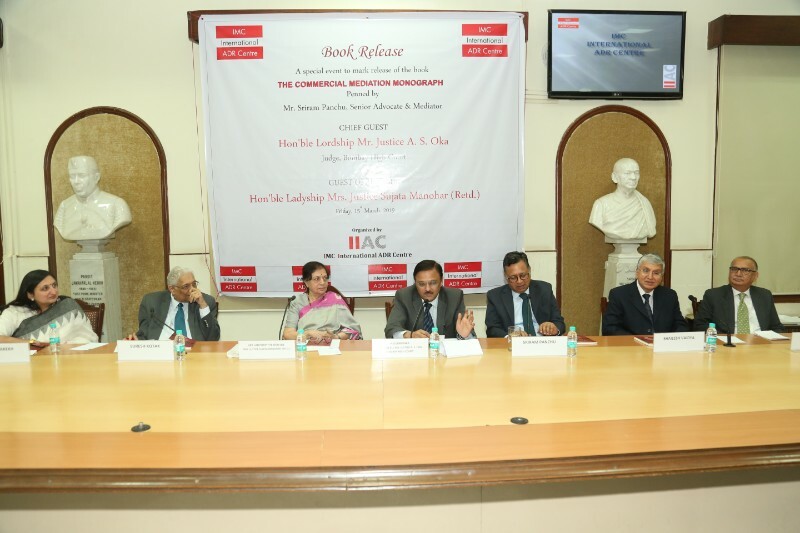 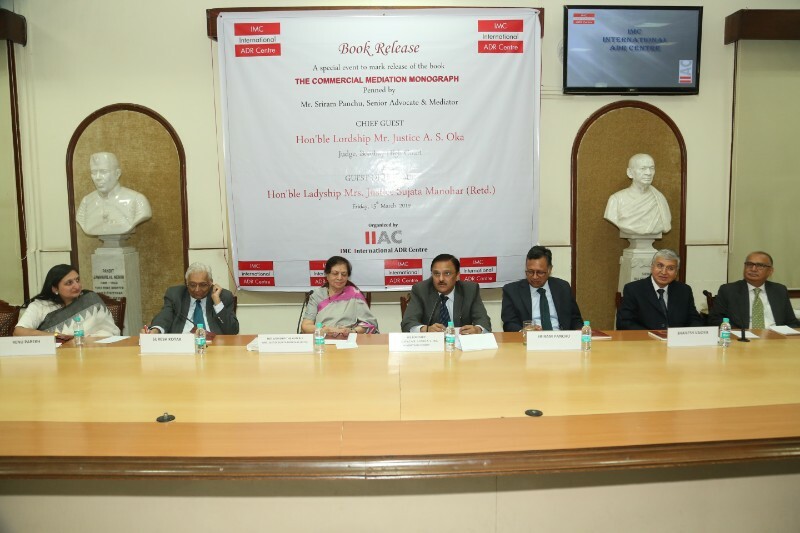 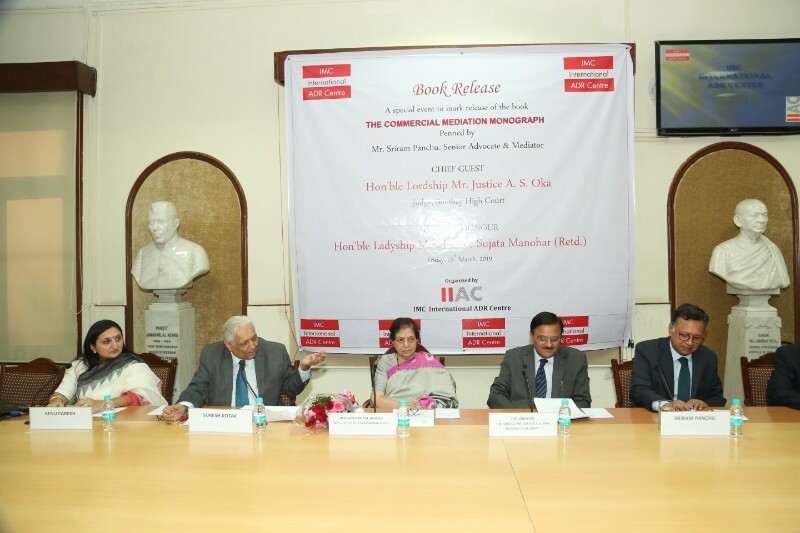 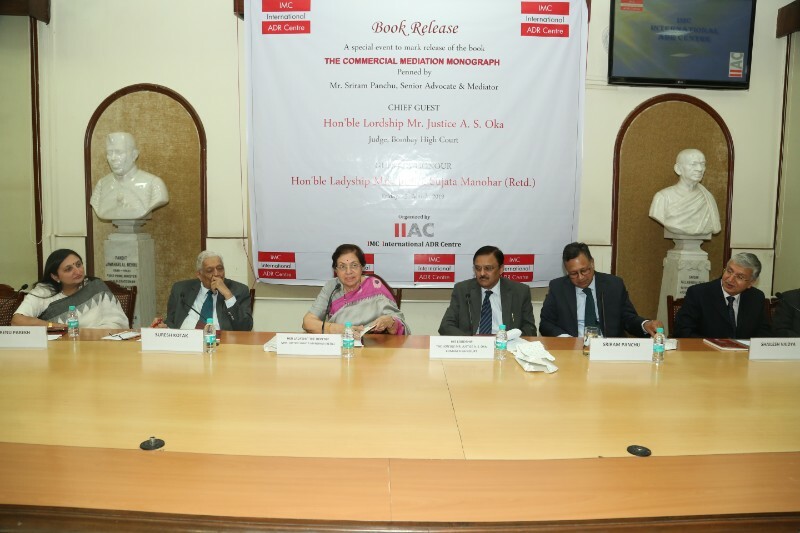 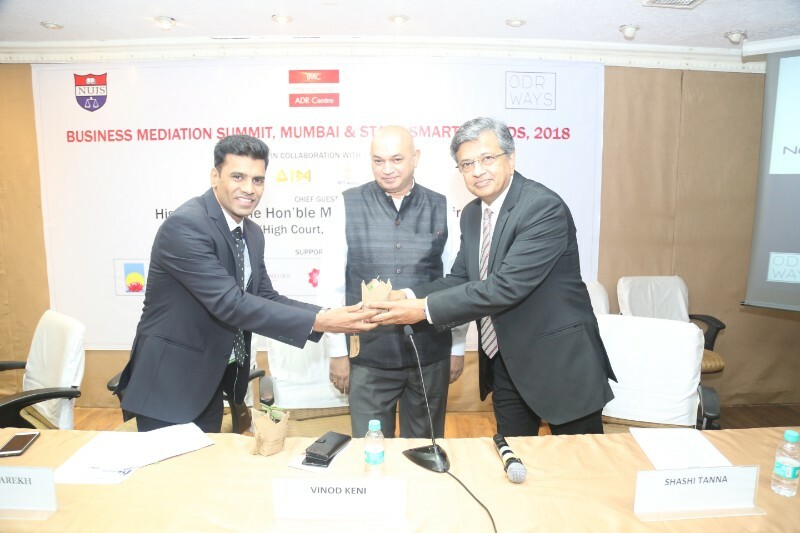 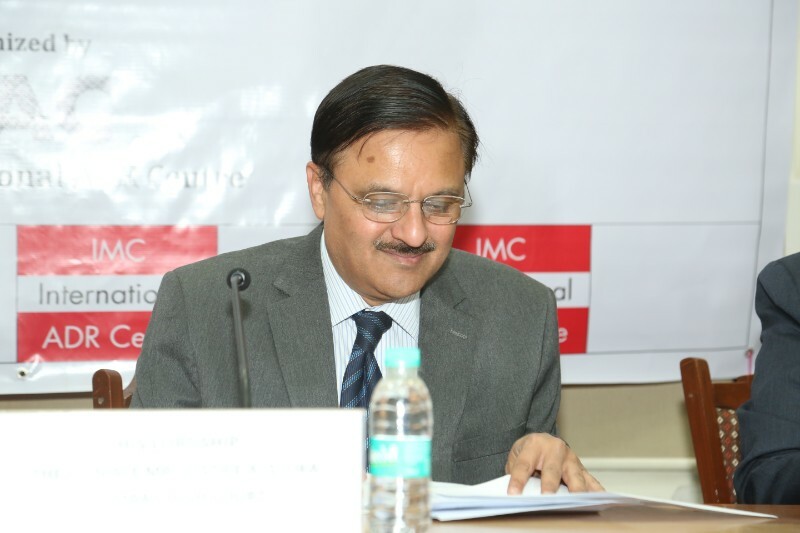 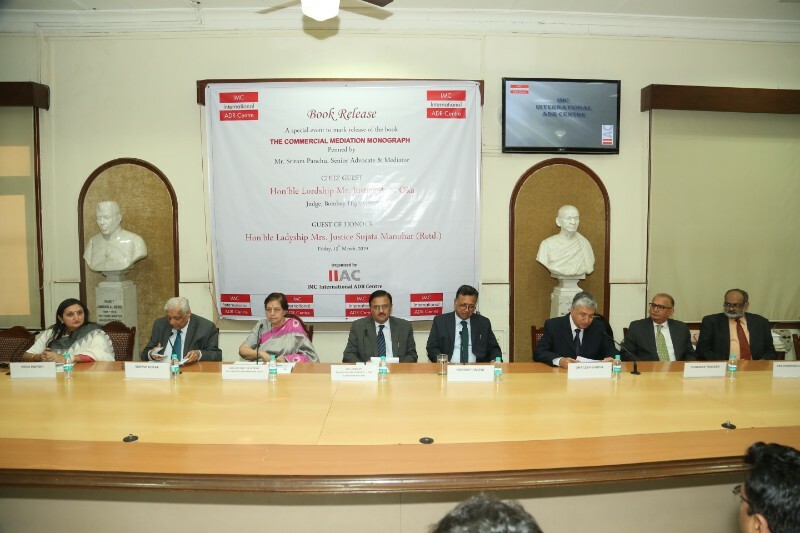 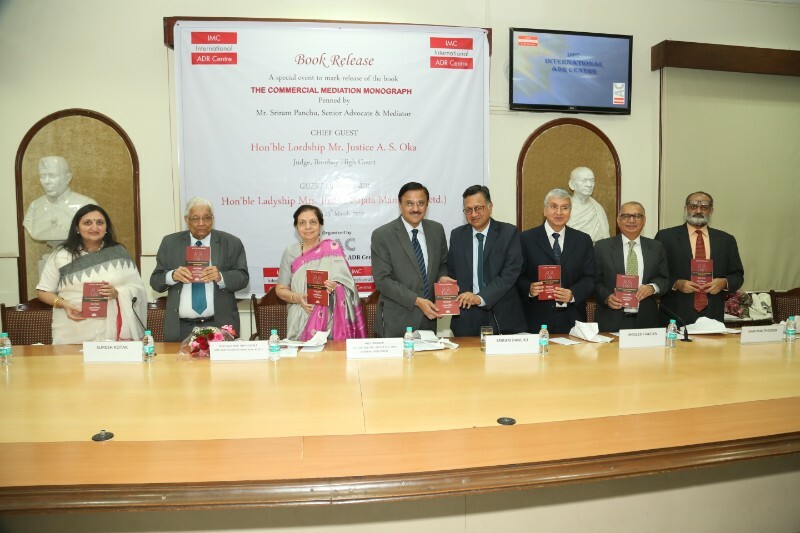 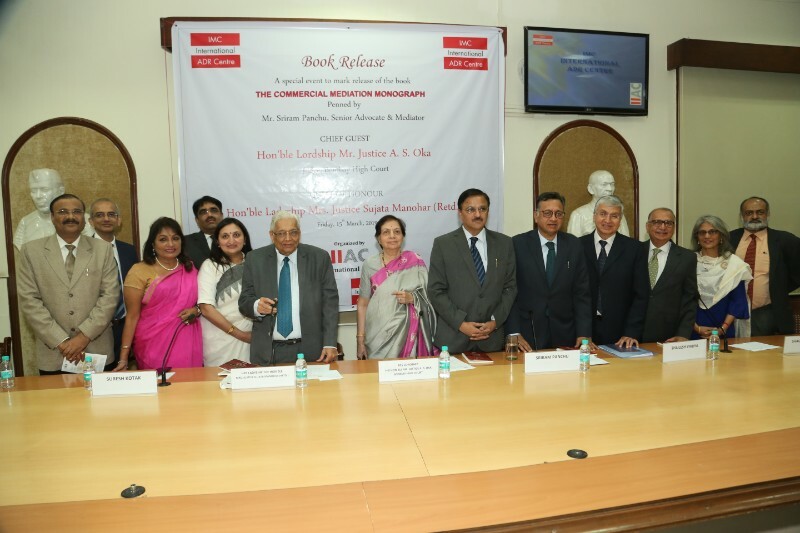 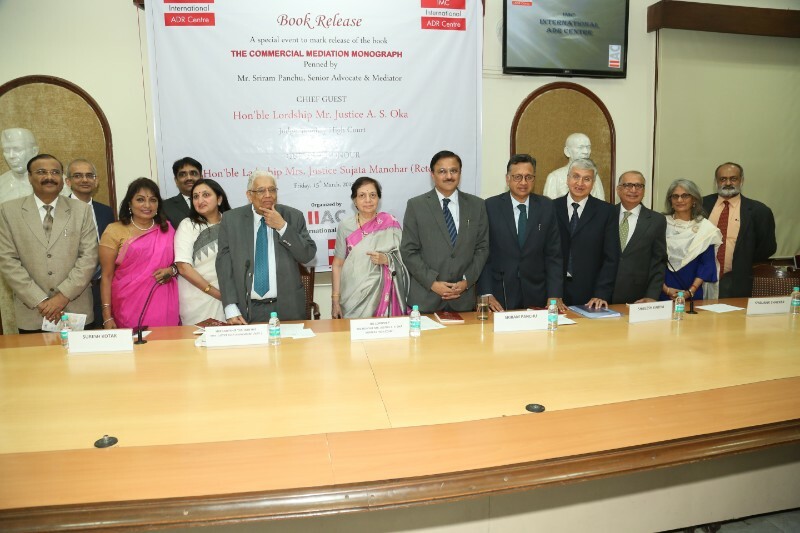 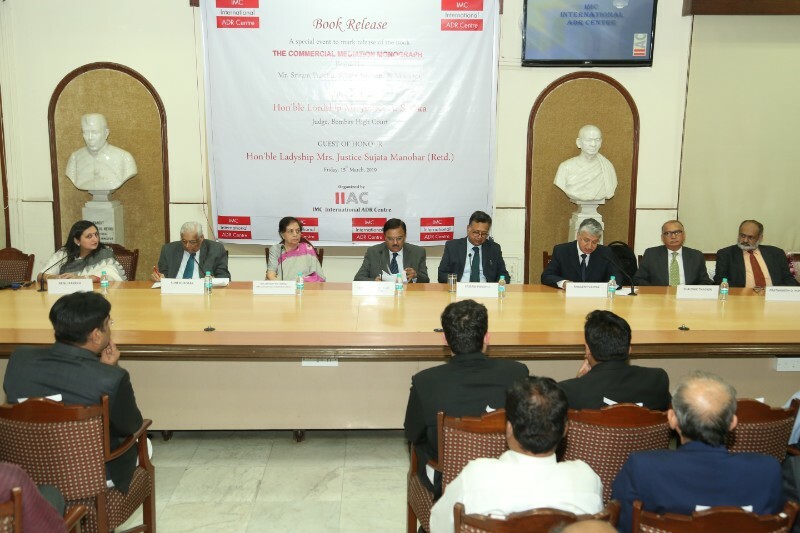 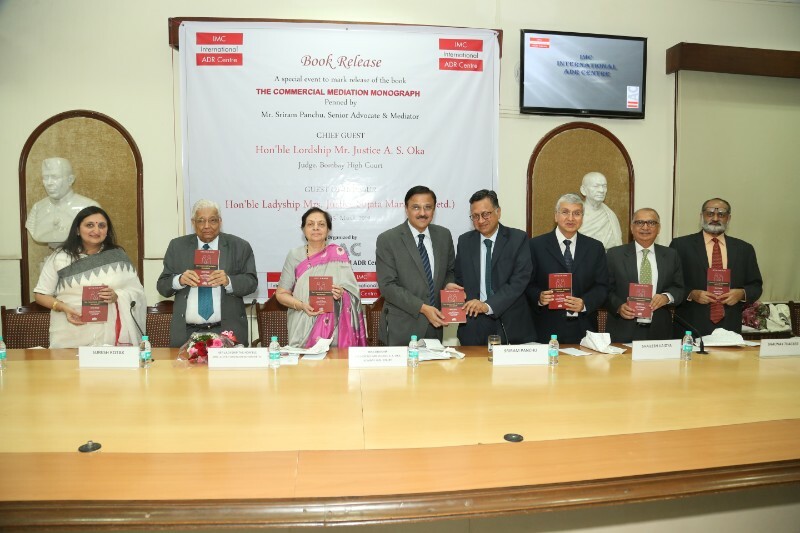 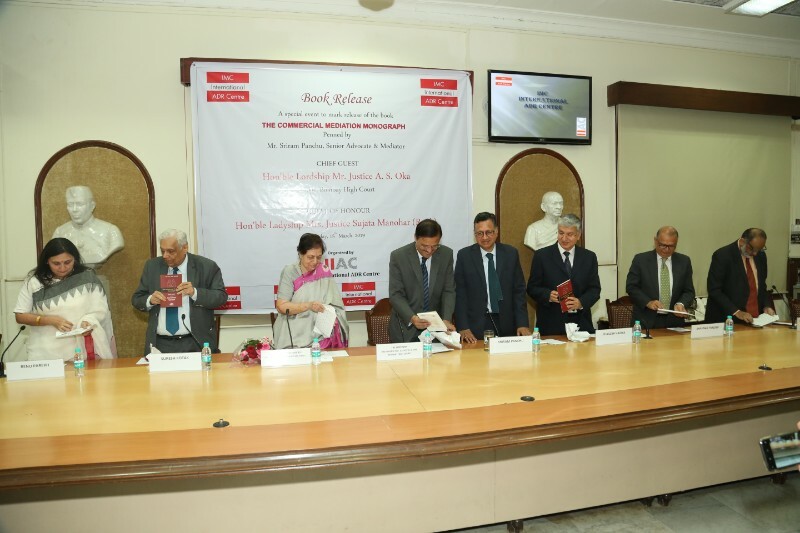 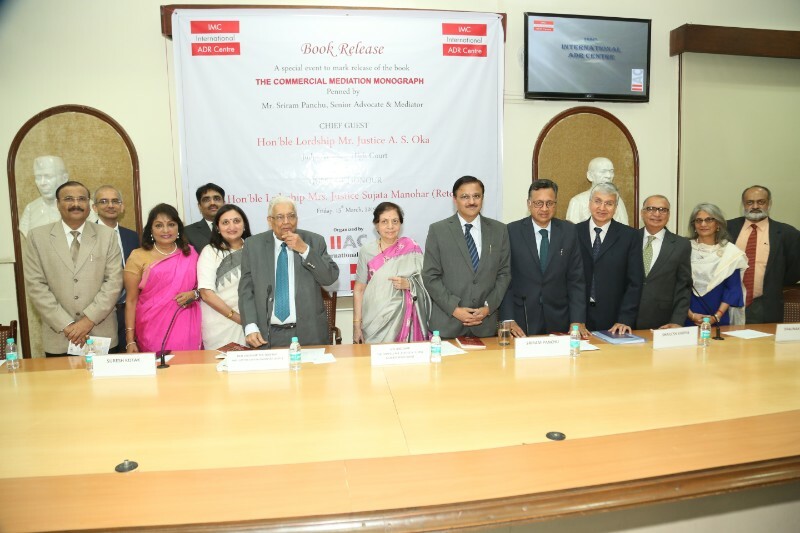 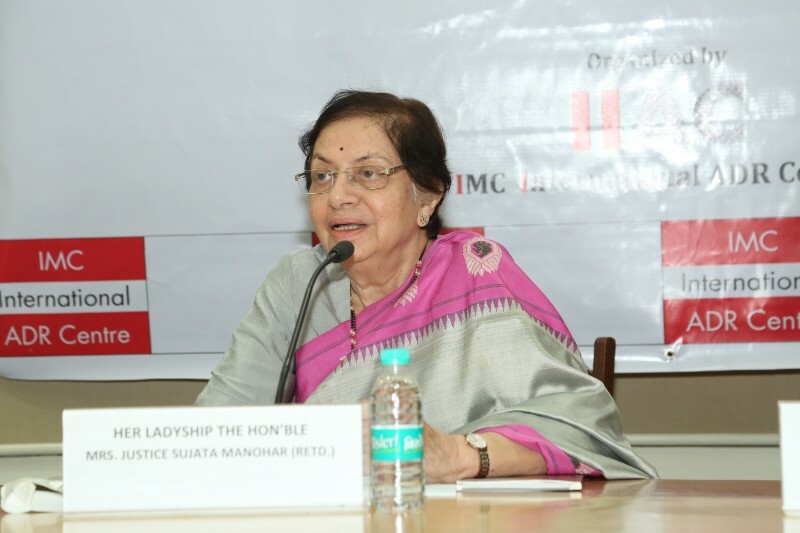 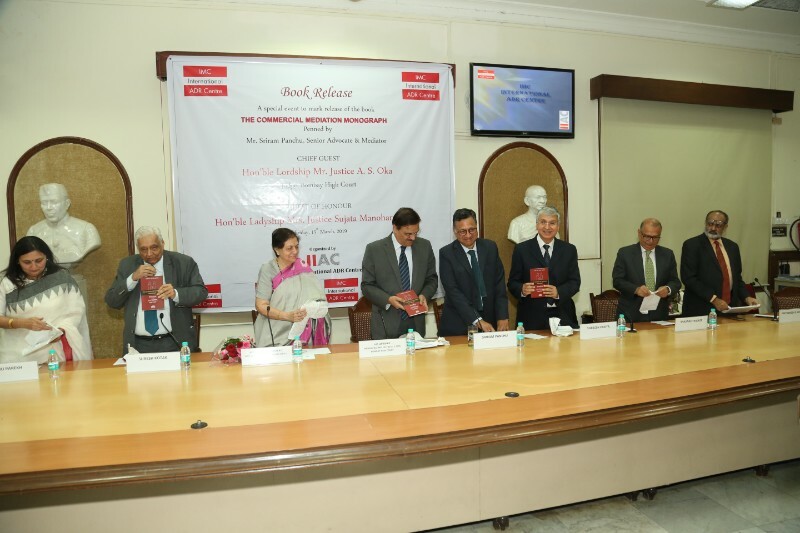 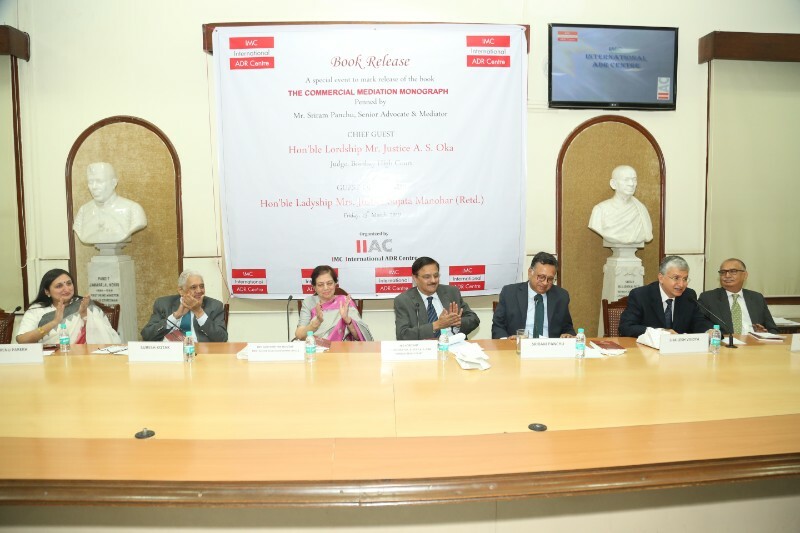 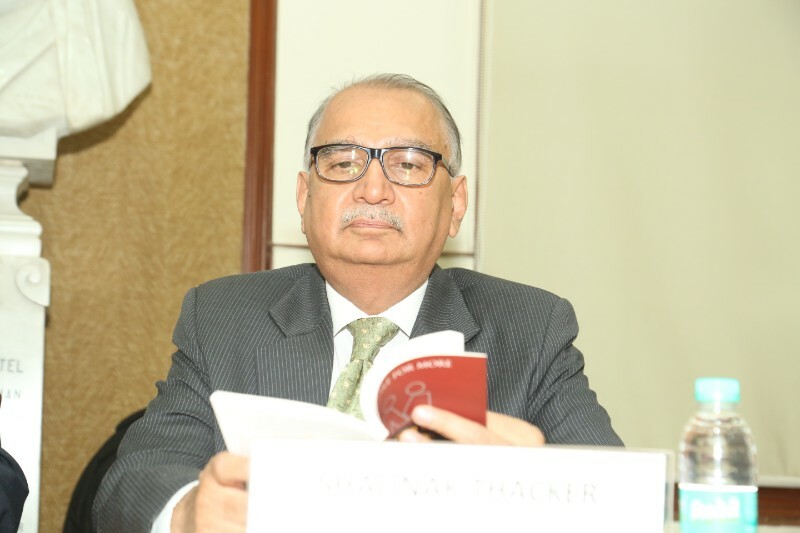 In a select gathering of arbitrators, experts, lawyers and businessmen alike, he congratulated both the IMC Chamber of Commerce and Industry for the commendable work initiated by it in setting up IIAC for furthering the cause of ADR mechanism in the country; and the IMC International ADR Centre at the range of services offered i.e. 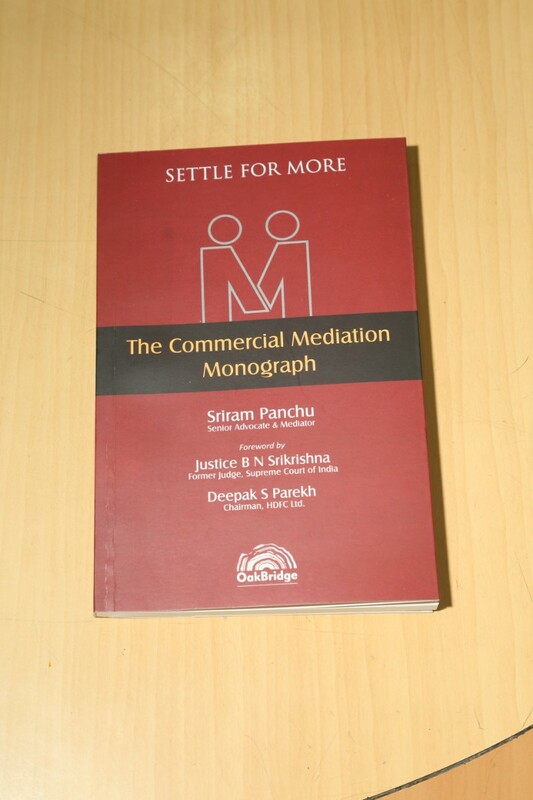 arbitrations, mediations and combinations such as Med-Arb- Med or Med-Arb or Arb-Med- Arb etc. 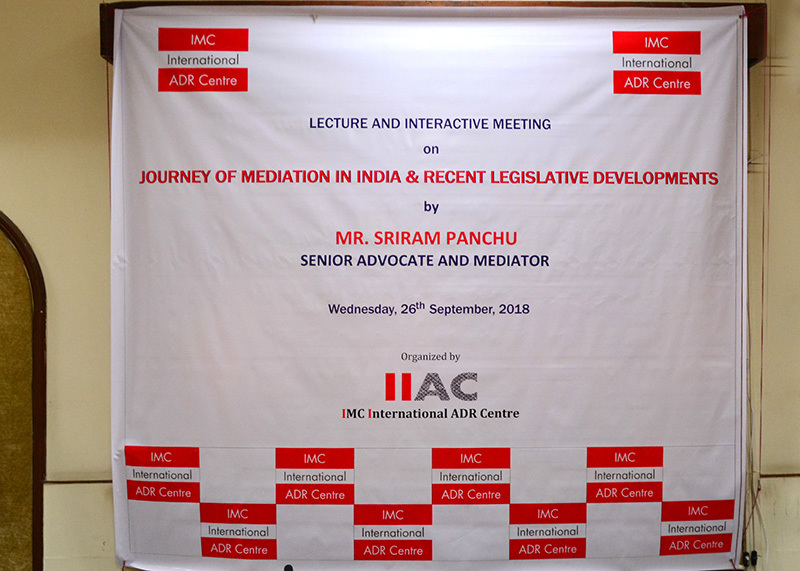 He elucidated the differences between an adjudicatory process like arbitration and the collaborative and win-win nature of a mediation process. 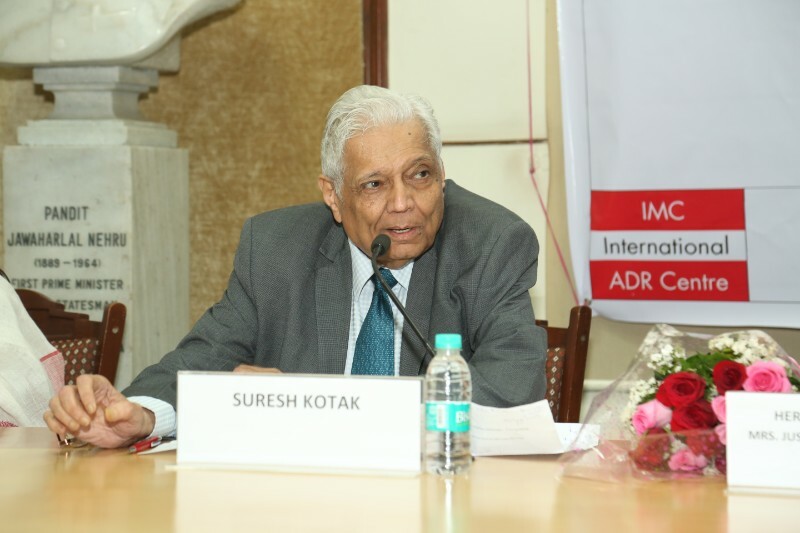 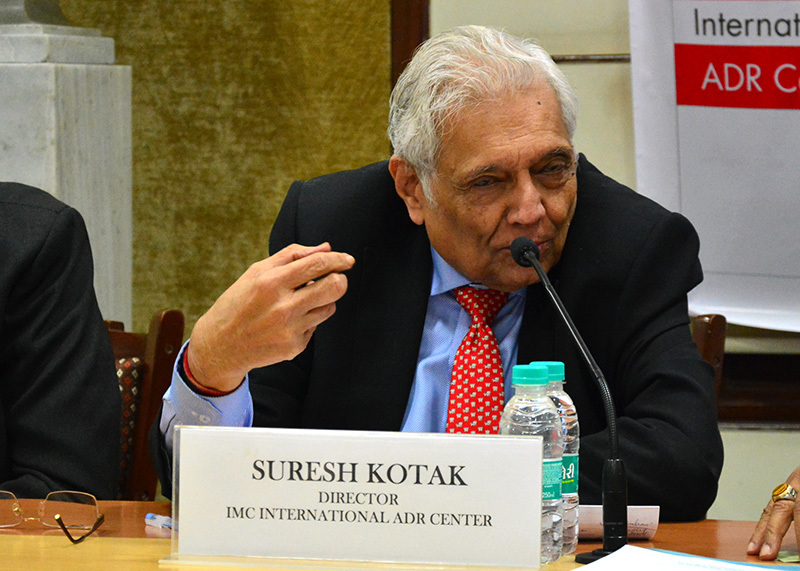 Sharing his valuable insights on the practical experiences in court annexed arbitrations and mediations; in matters ranging from intense labour disputes to infringement of trademarks, he explained how ADR can be used in an advantageous manner in cases where they may be limitations in issues put forth before a court. 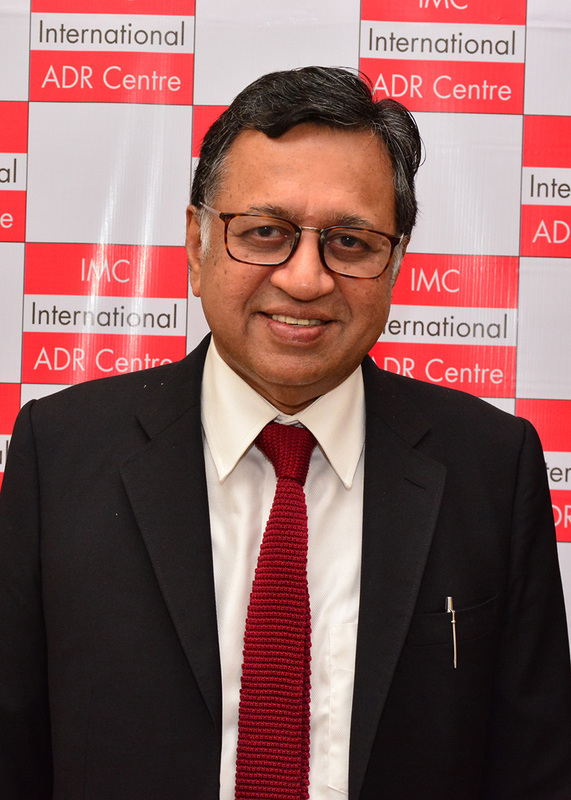 His commitment to the ADR culture is evident in many articles he has penned. 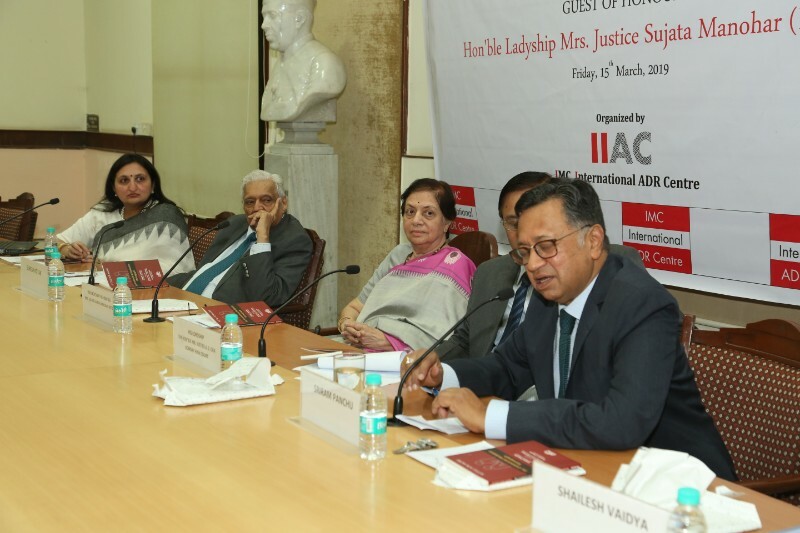 J. Sikri also shared his thoughts on intermingling forces of how society influences judiciary and in turn judiciary influences society. 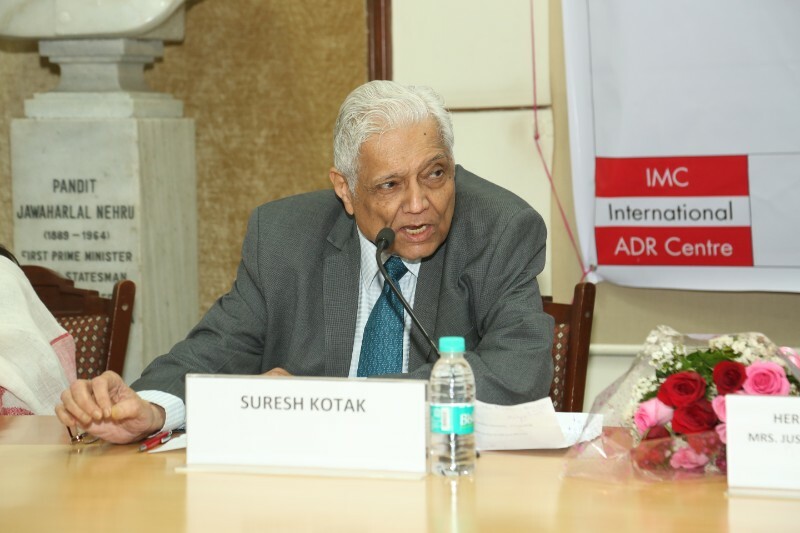 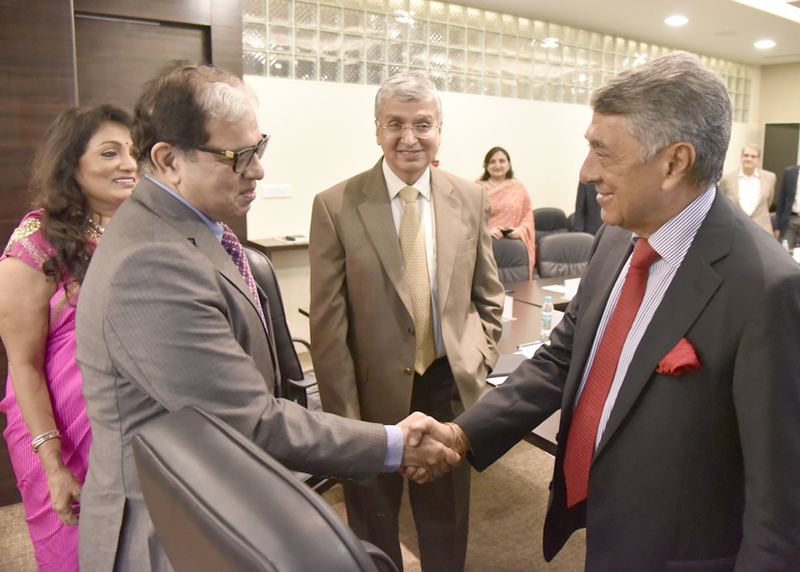 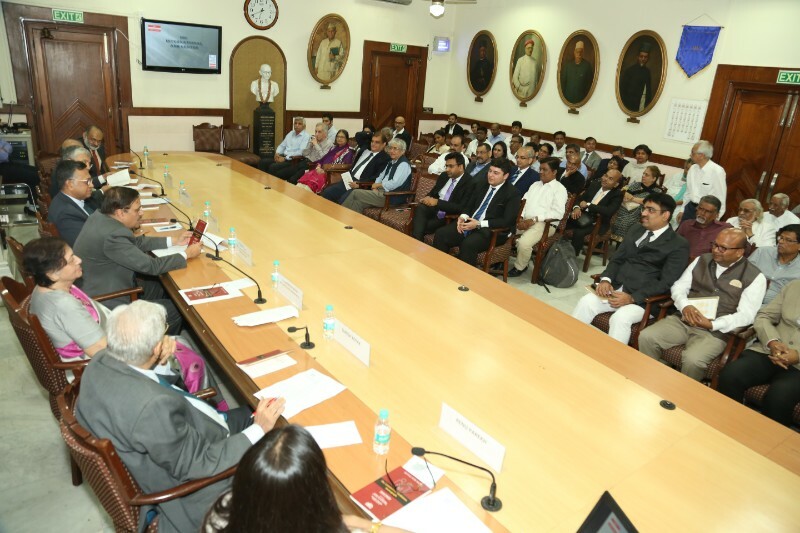 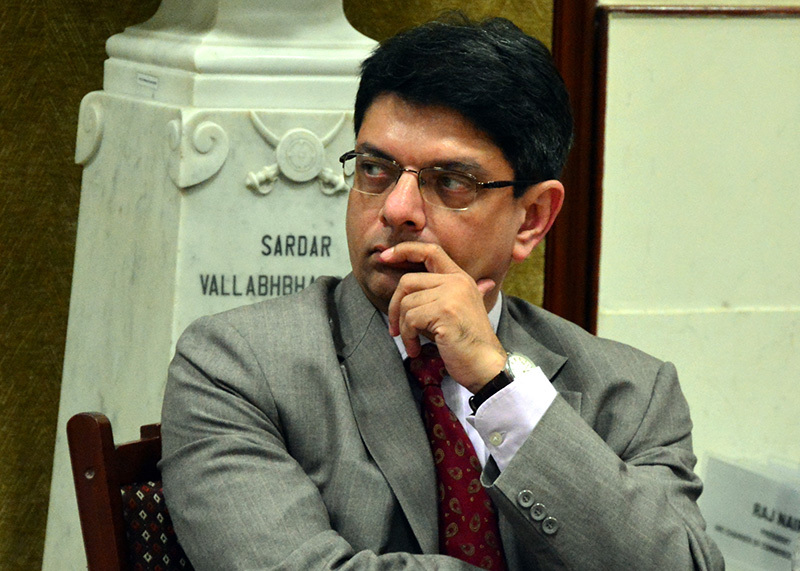 Concluding his talk with a walk-through of the sophisticated IMC Suresh Kotak International ADR Centre, he exclaimed that he was very impressed with the state of the art infrastructure facilities offered thereat and that the ADR culture in Indian was poised for a better change in the coming days.